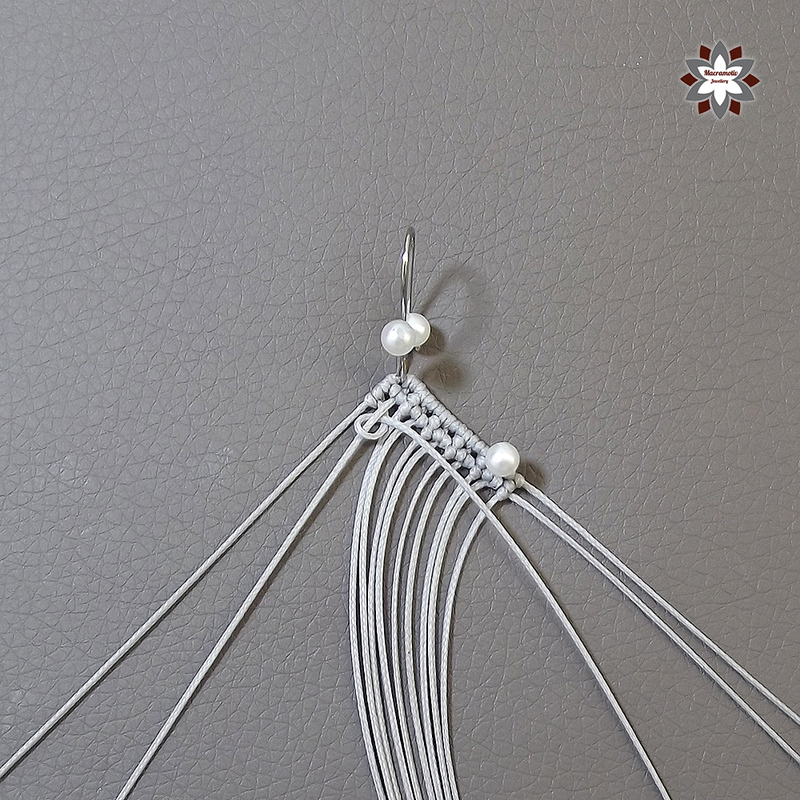 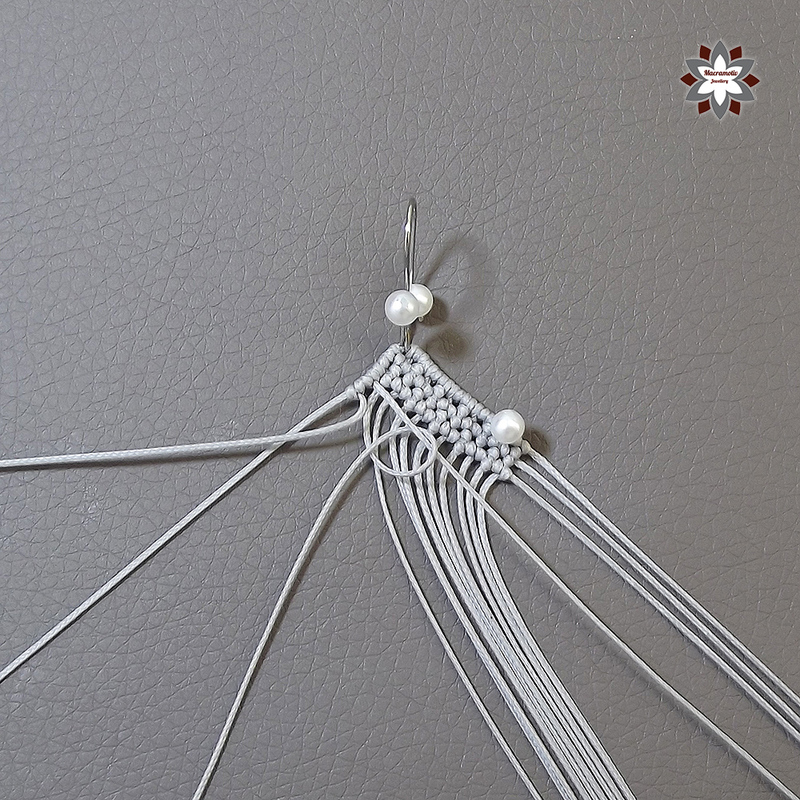 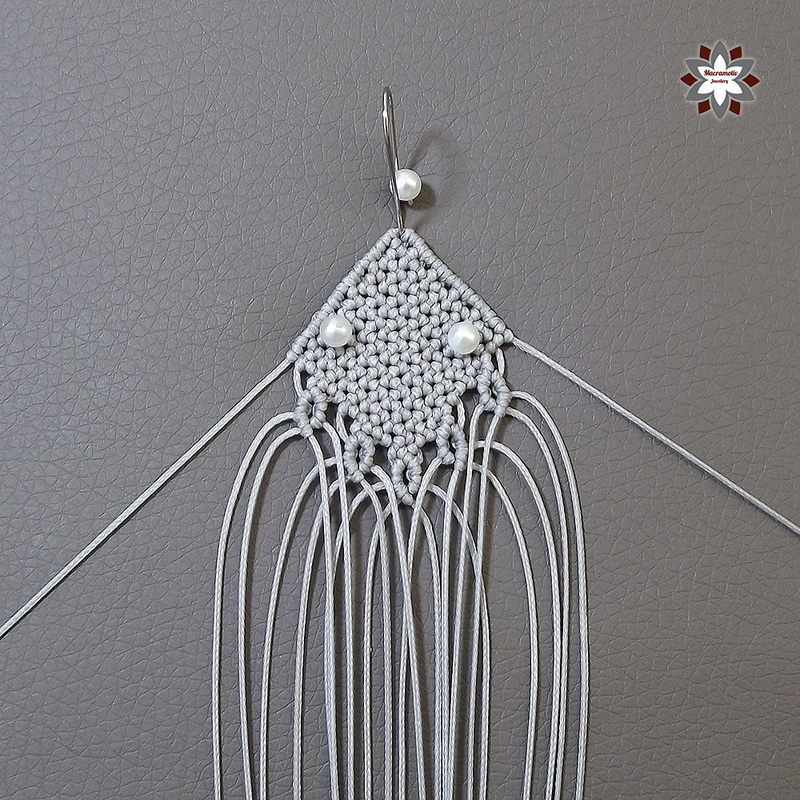 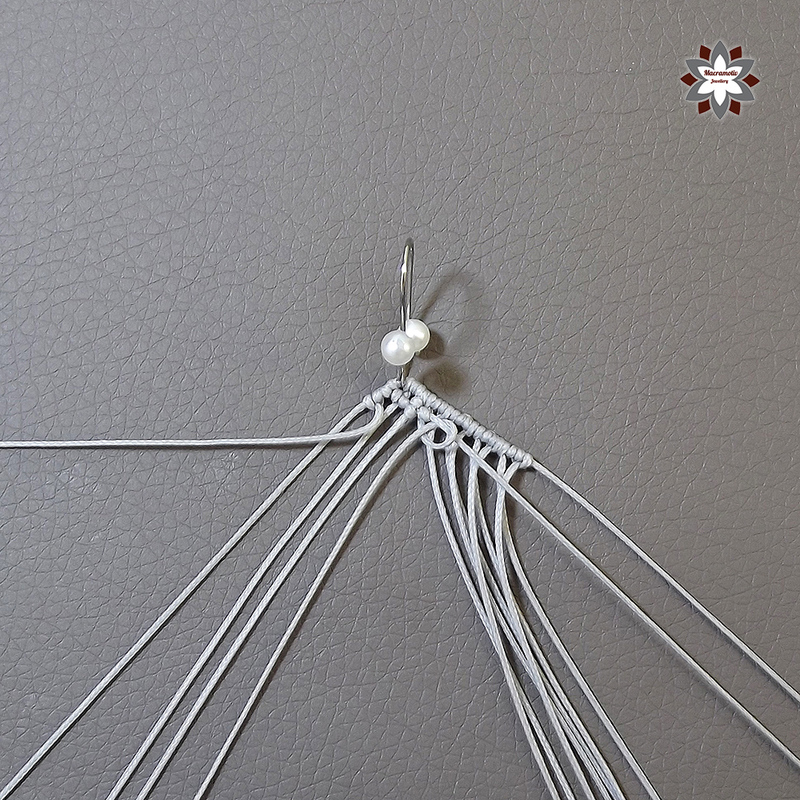 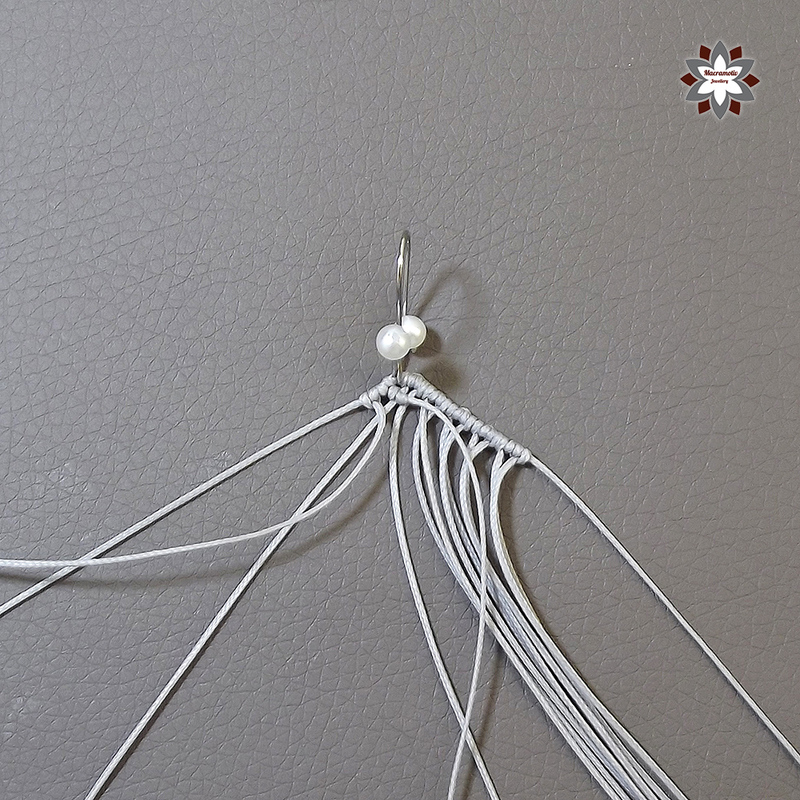 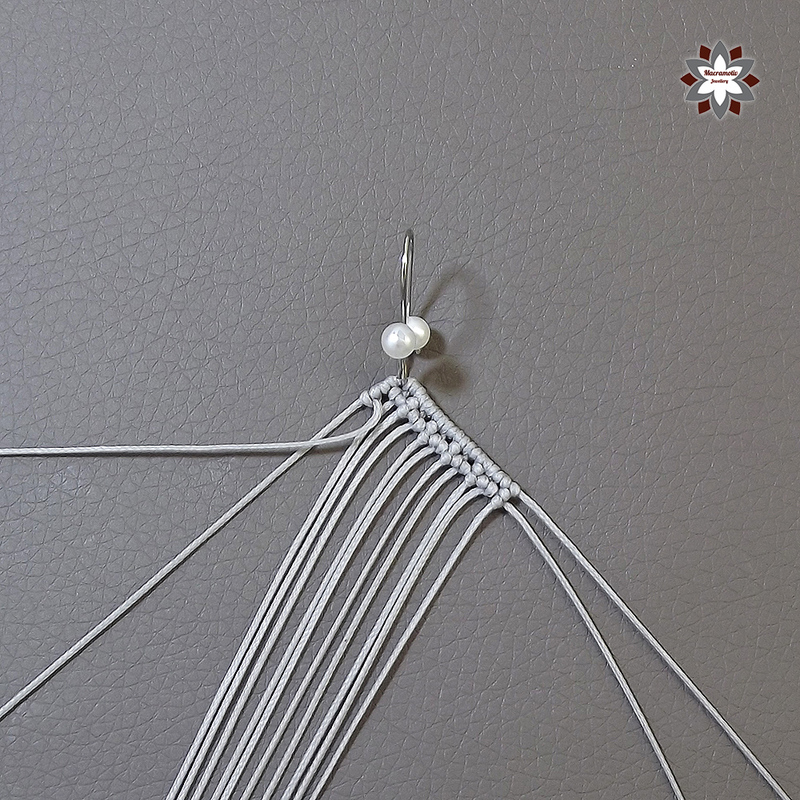 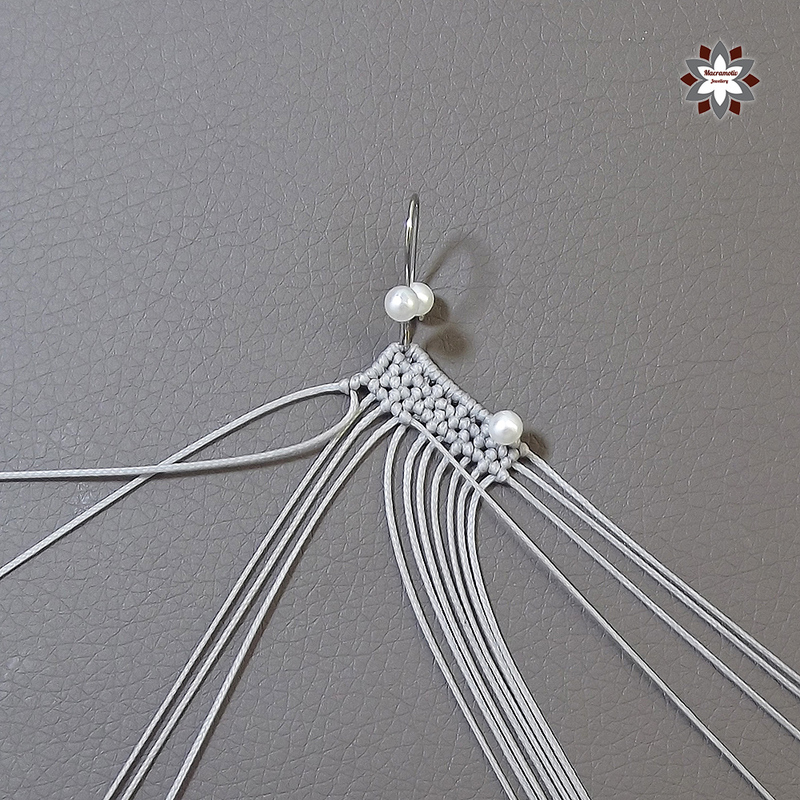 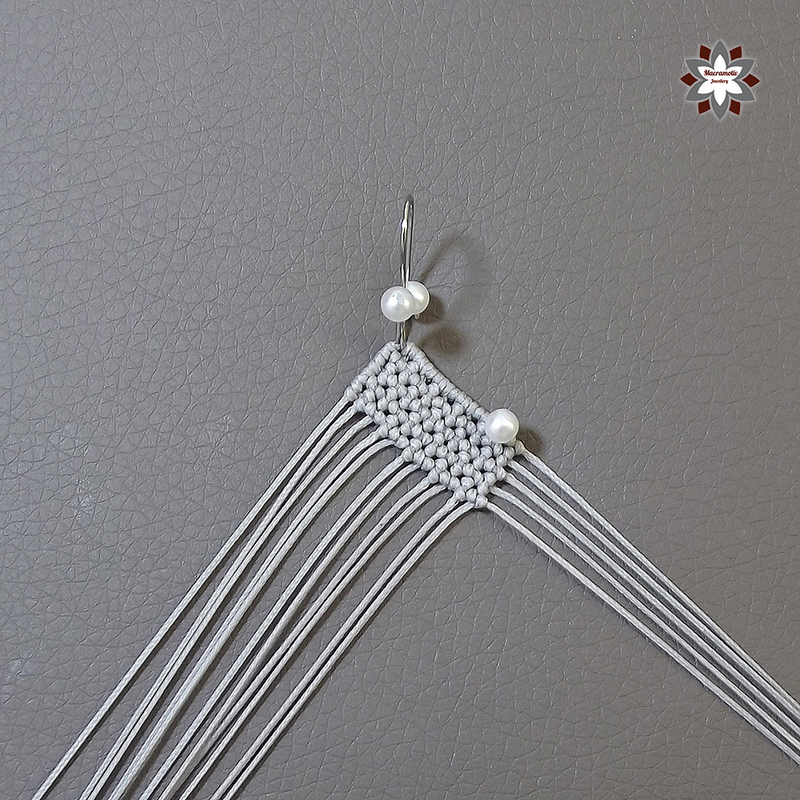 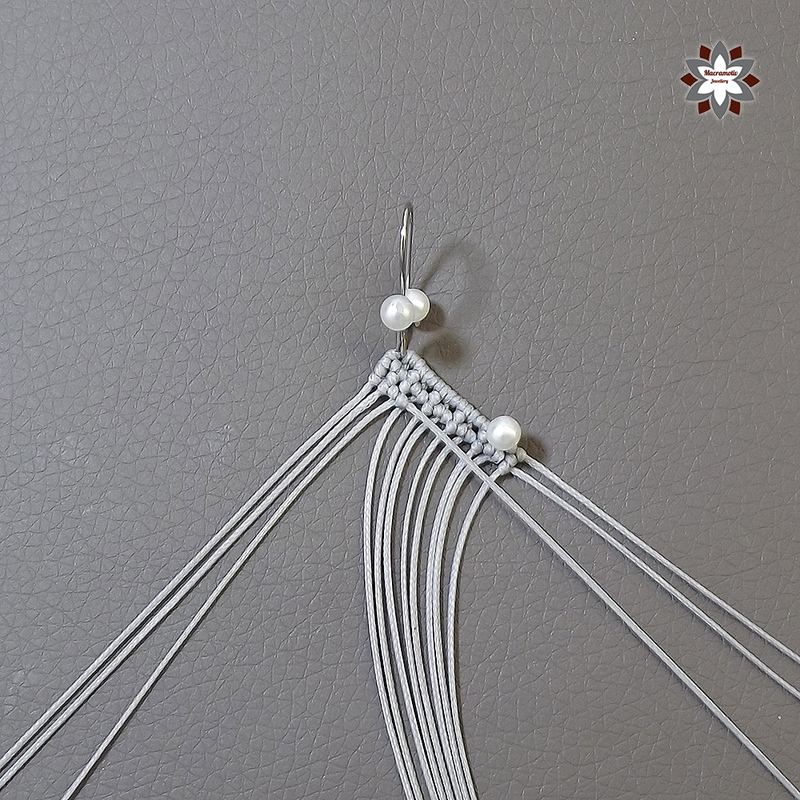 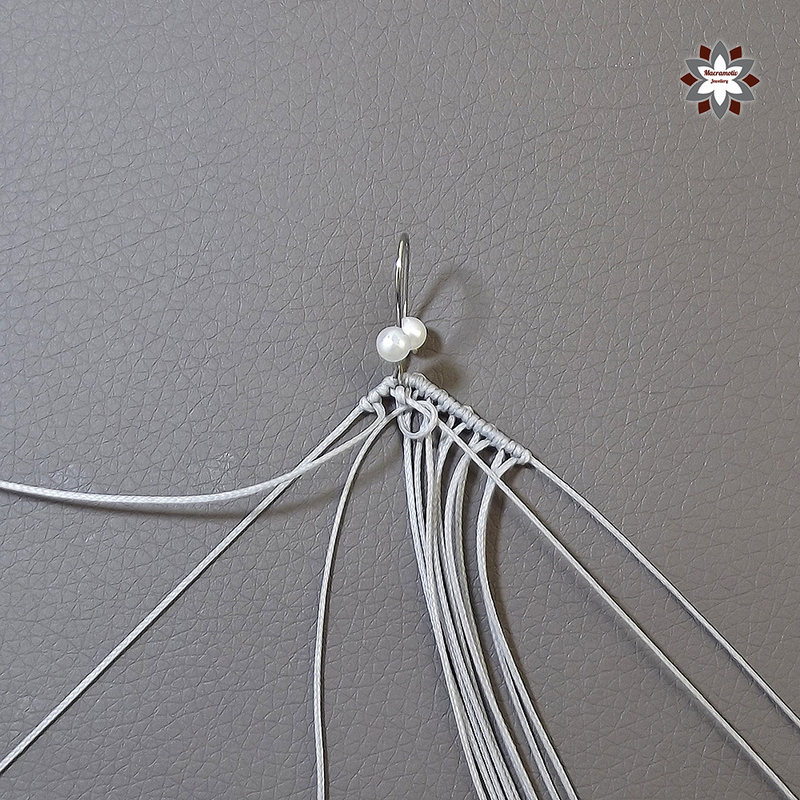 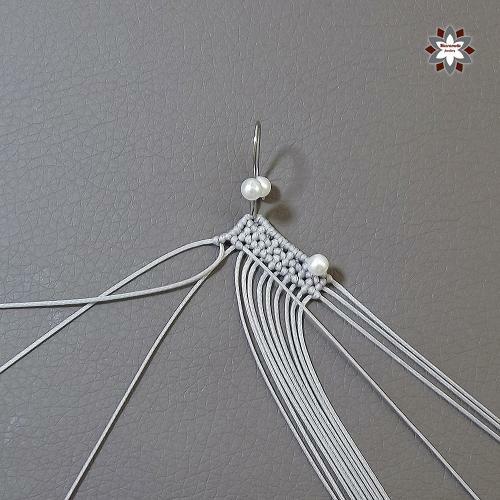 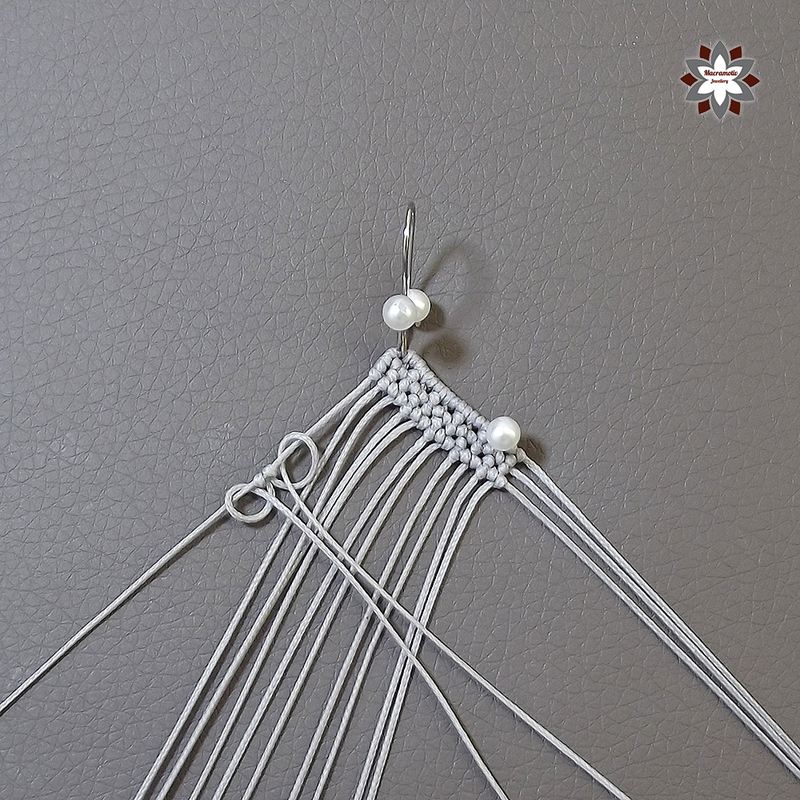 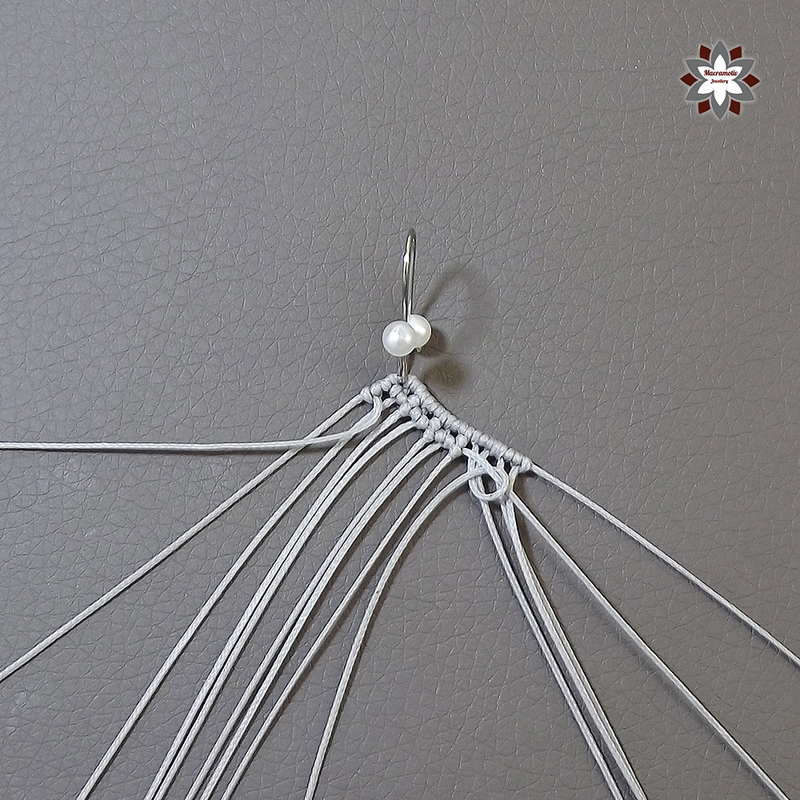 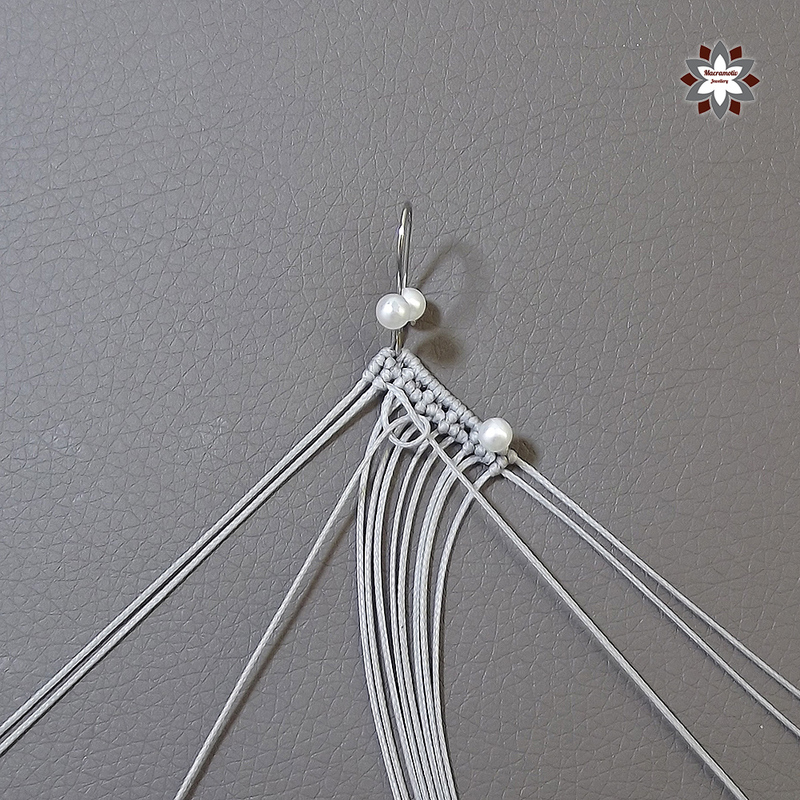 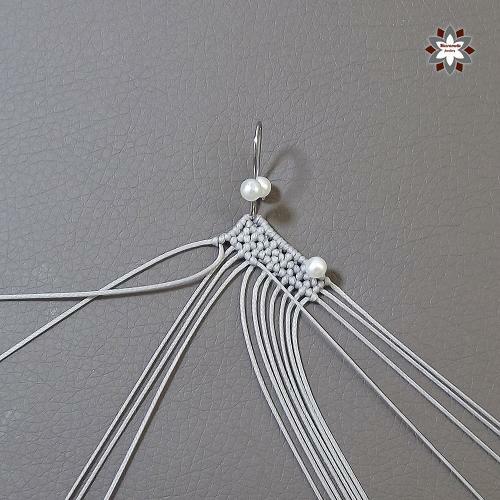 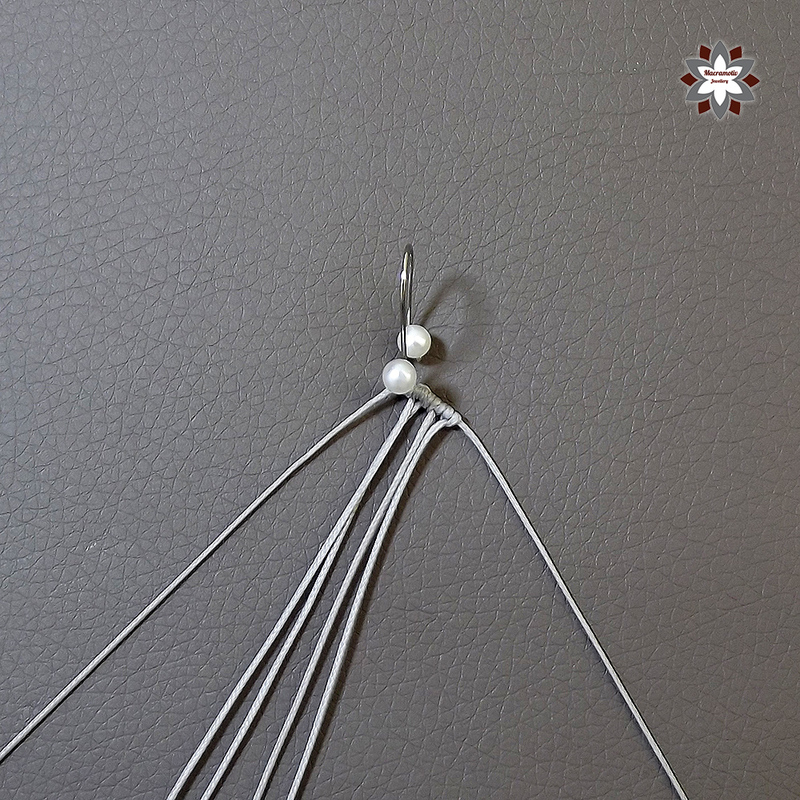 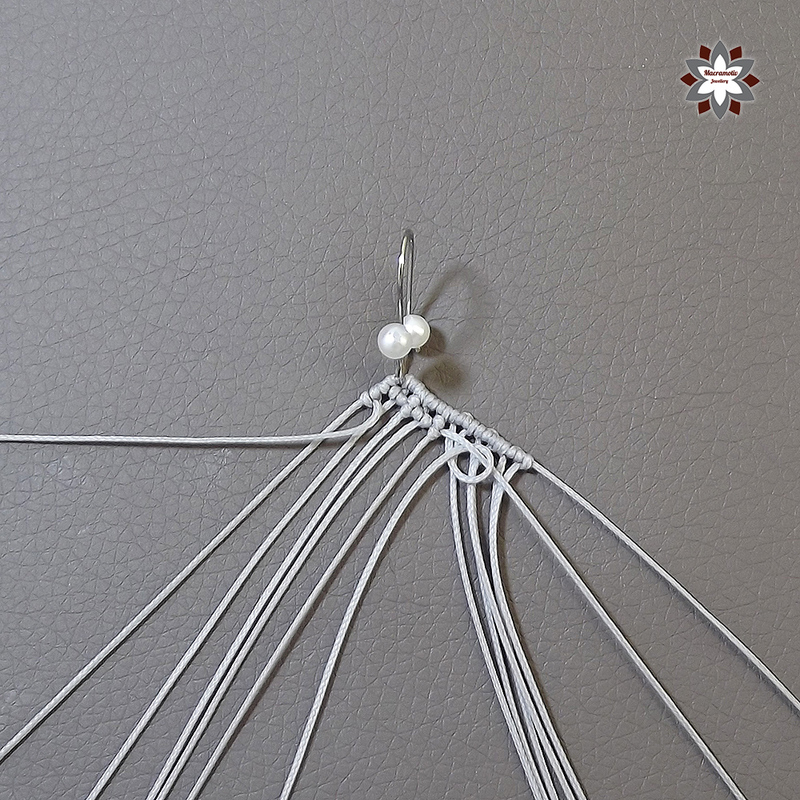 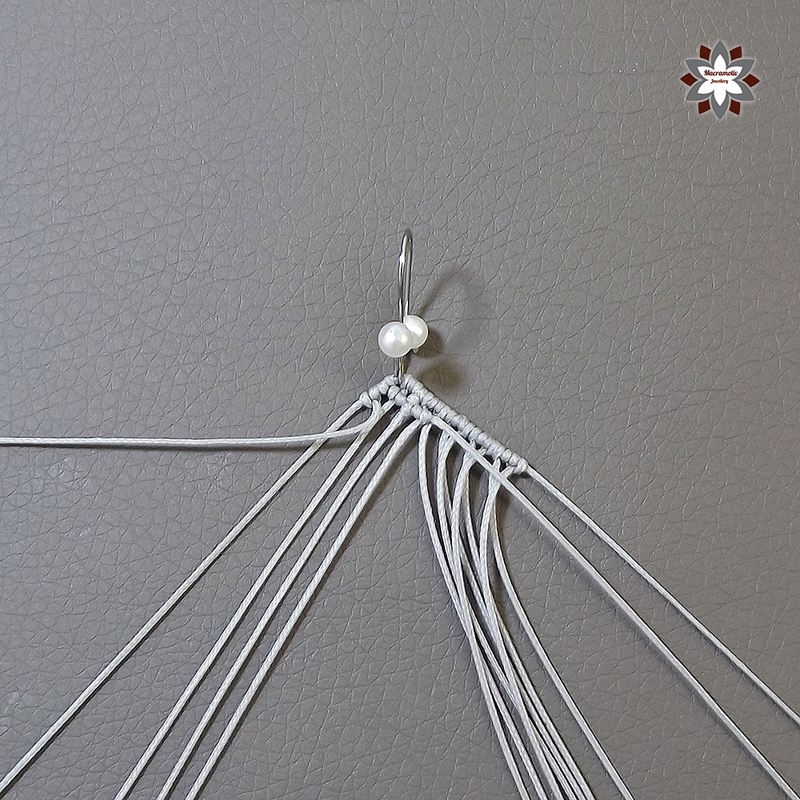 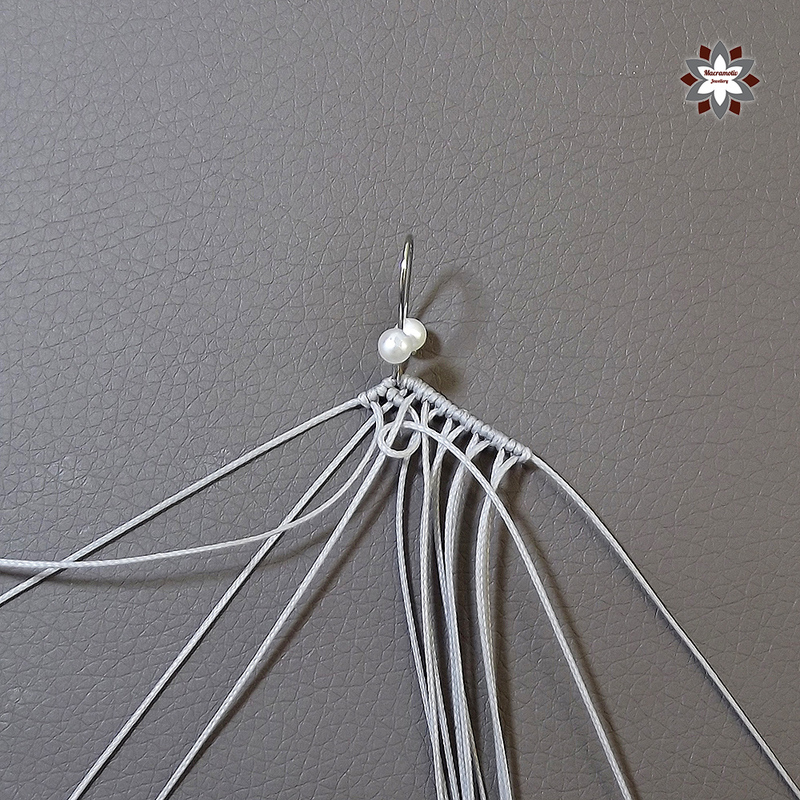 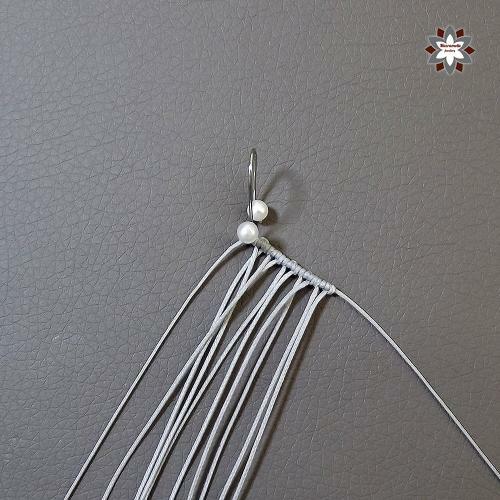 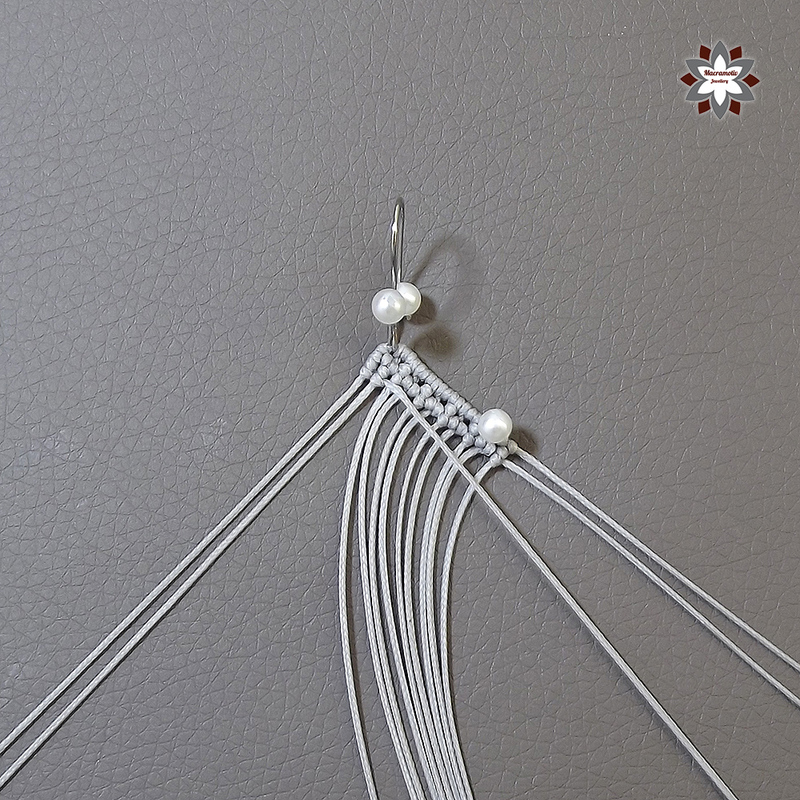 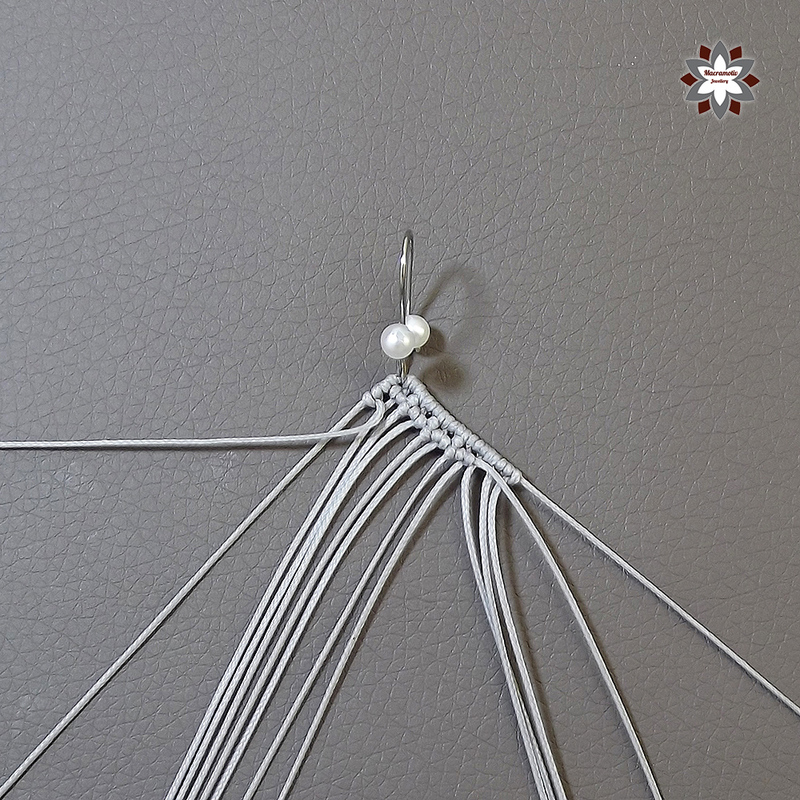 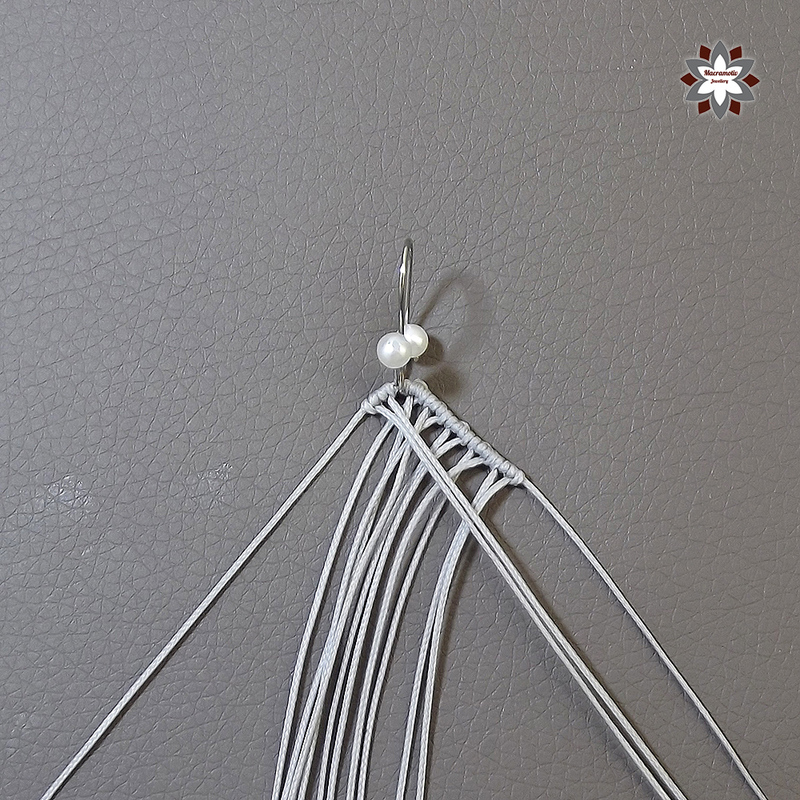 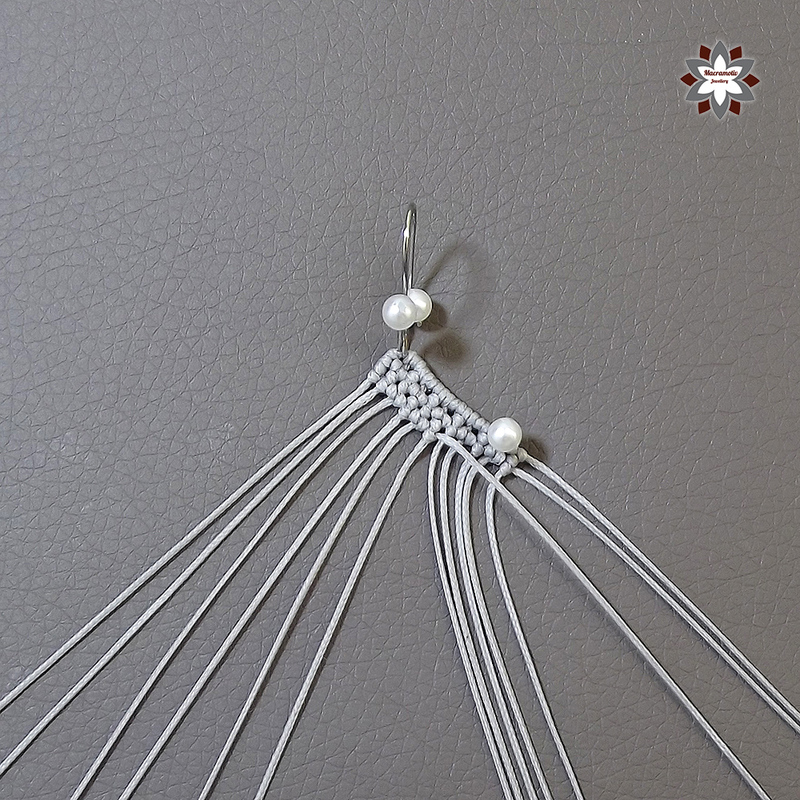 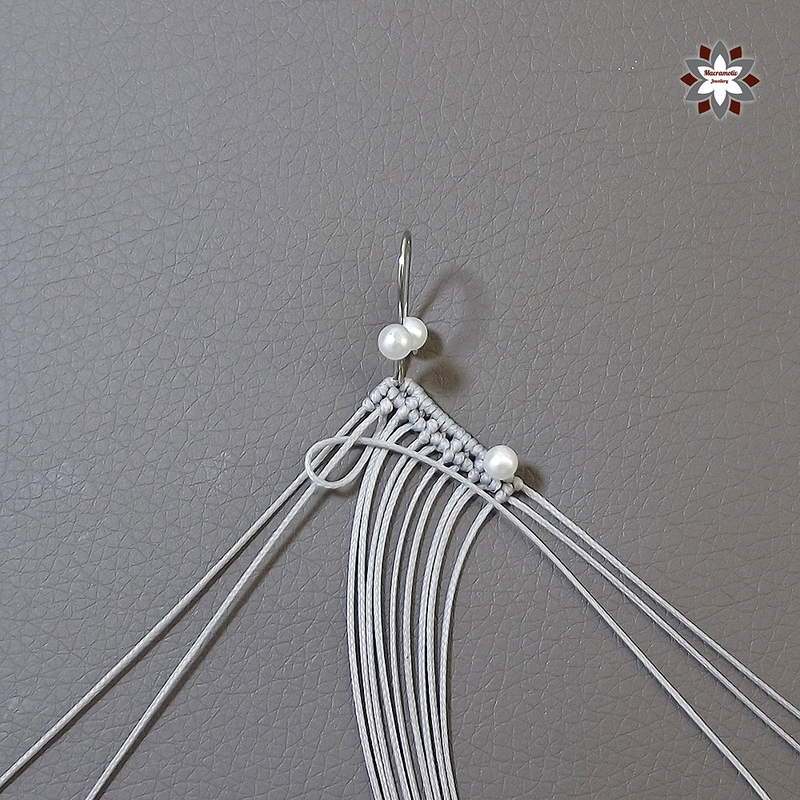 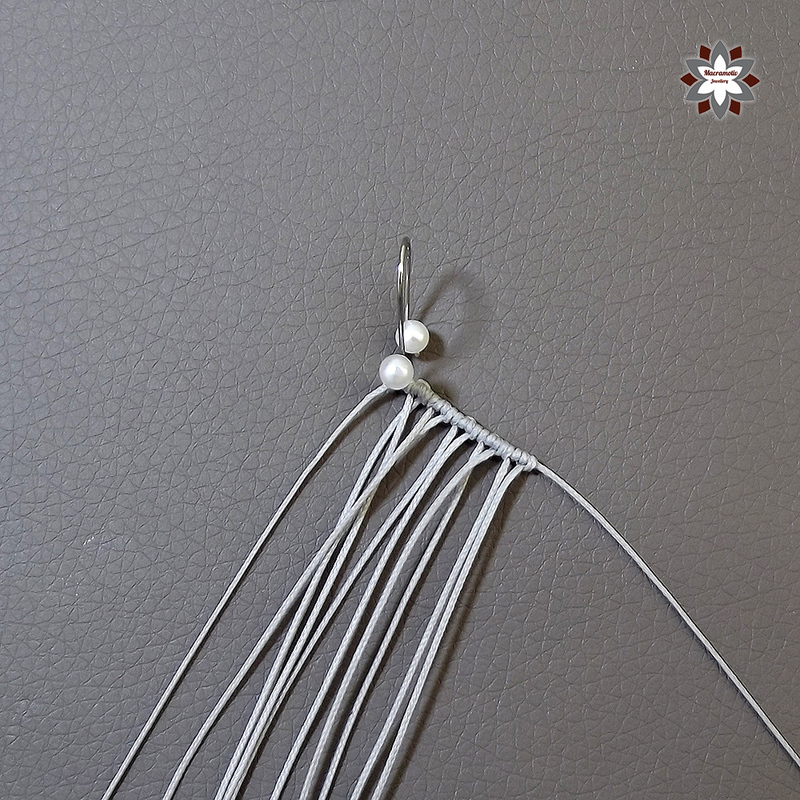 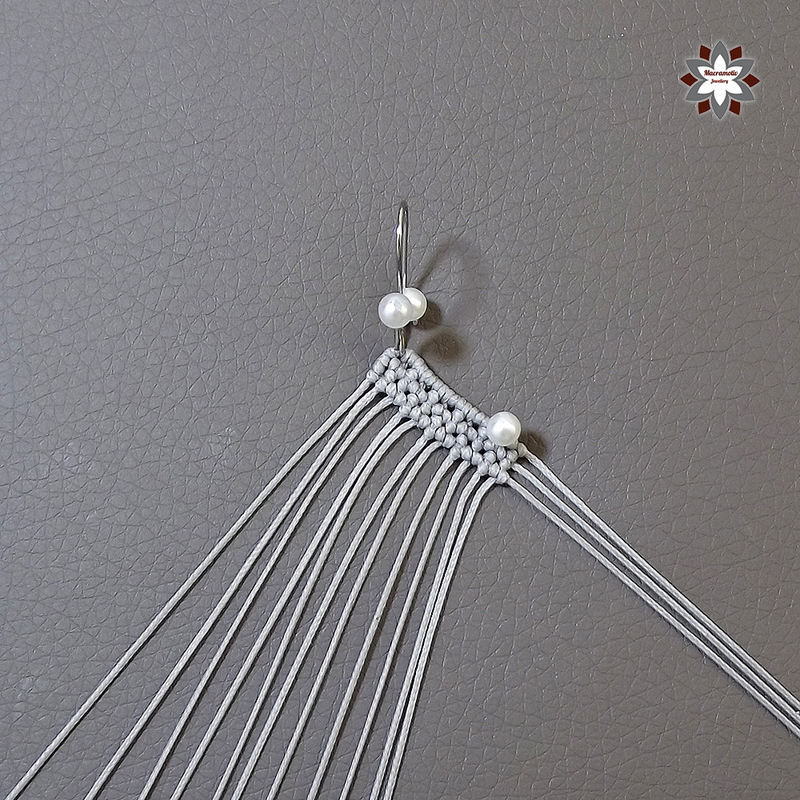 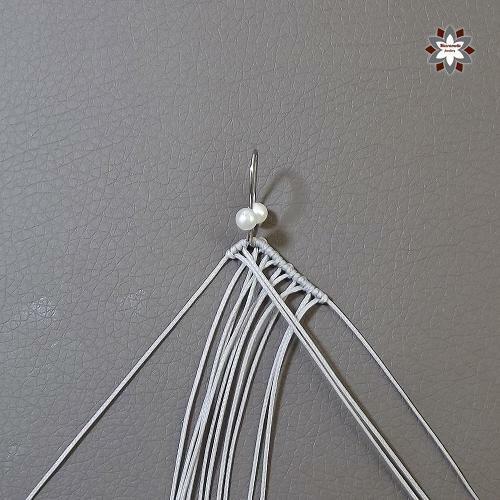 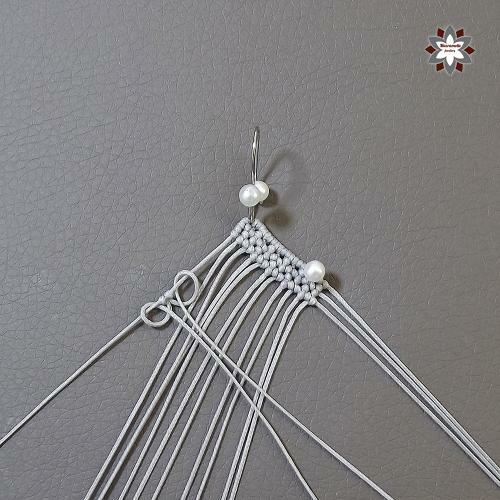 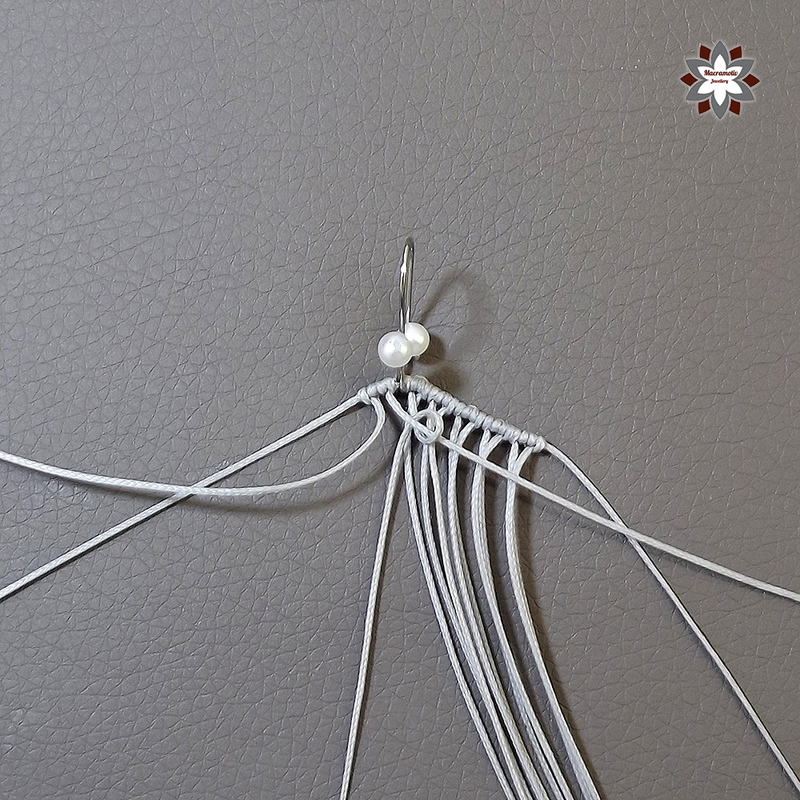 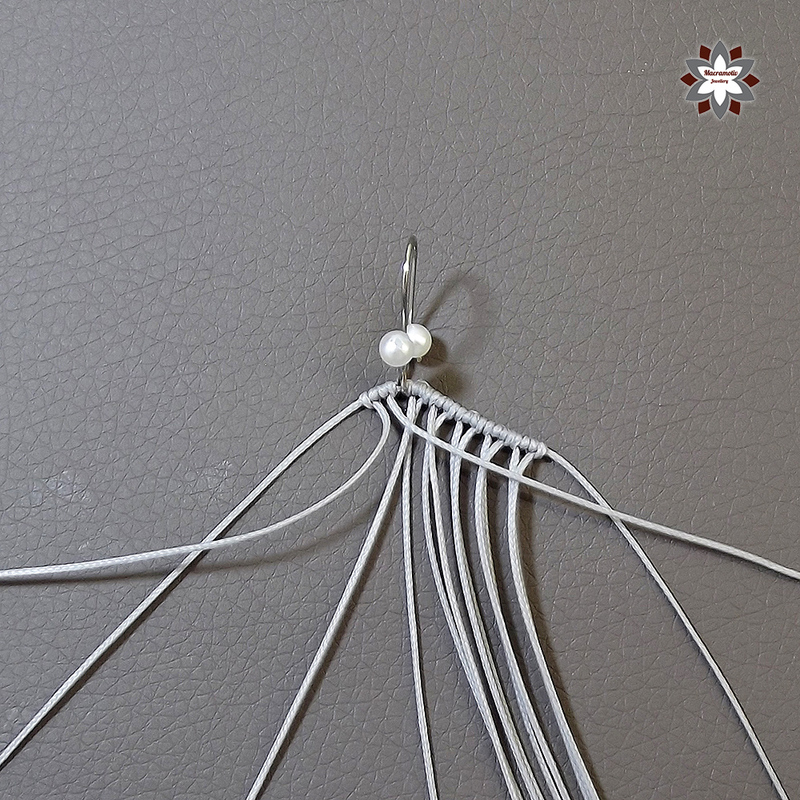 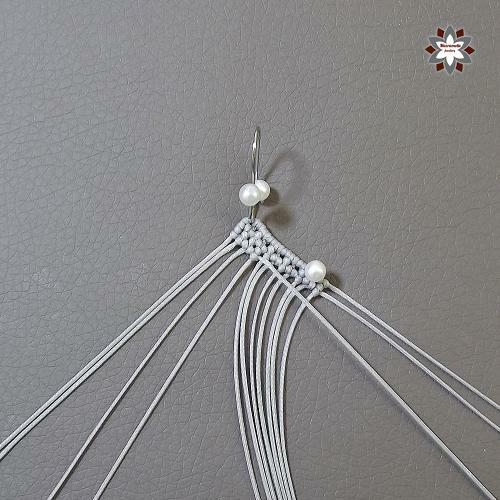 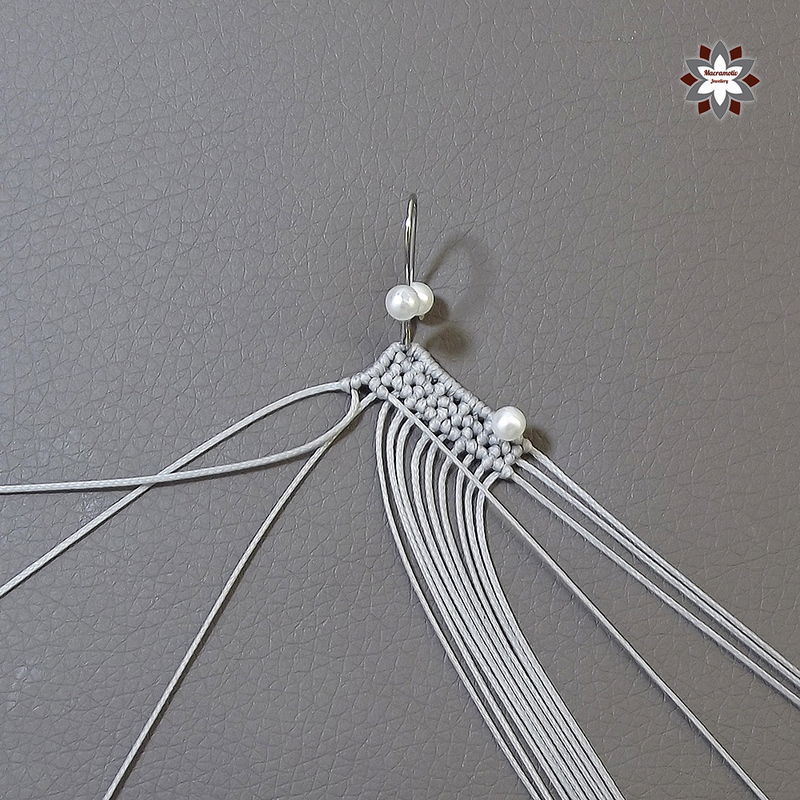 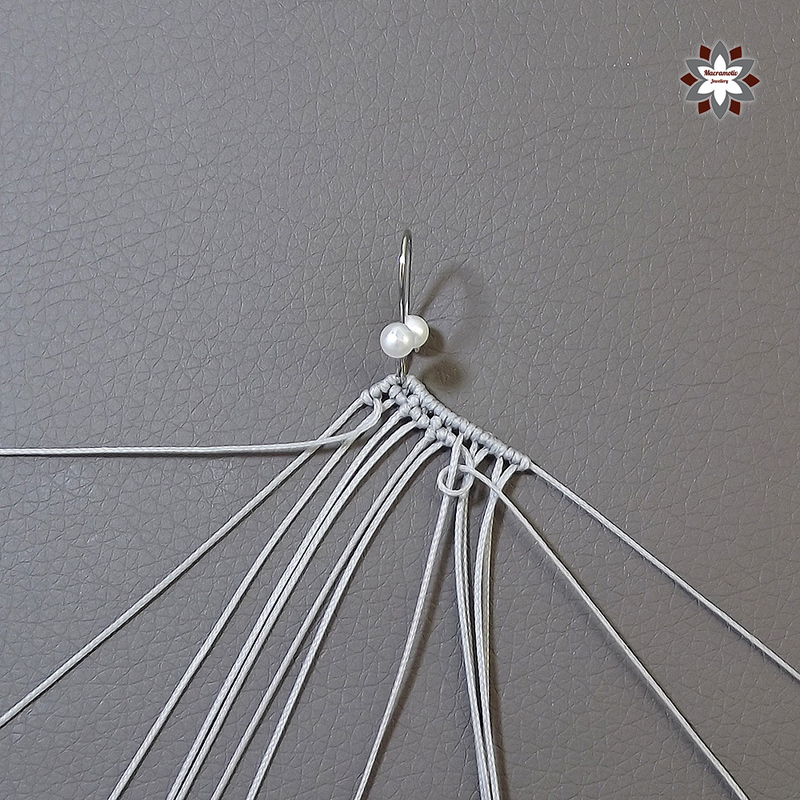 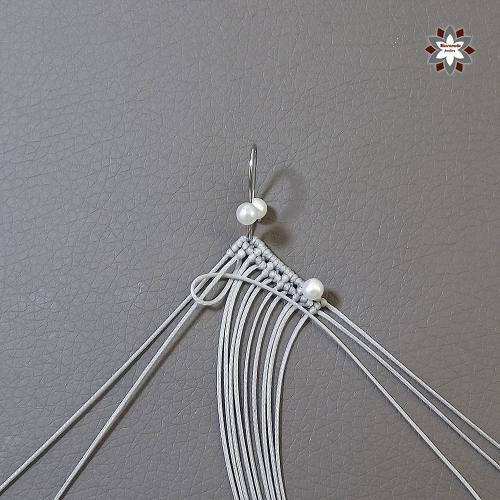 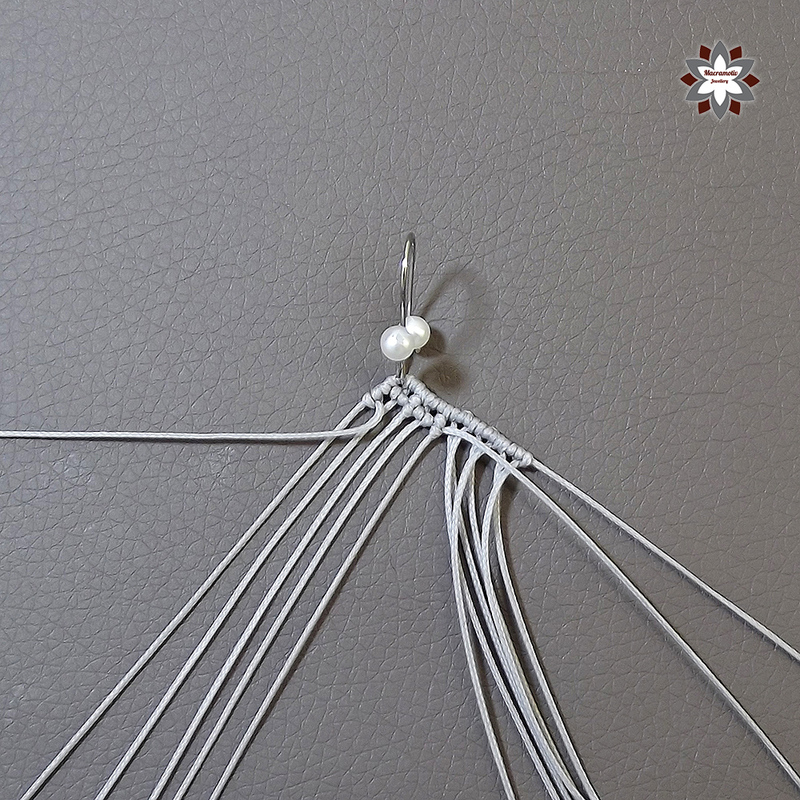 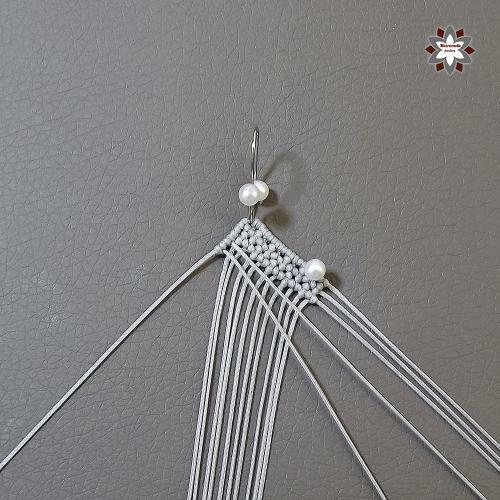 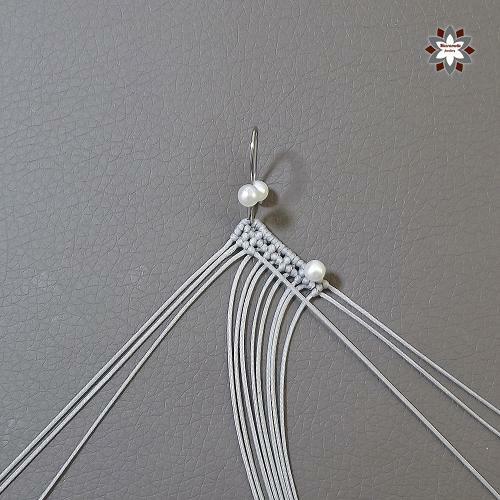 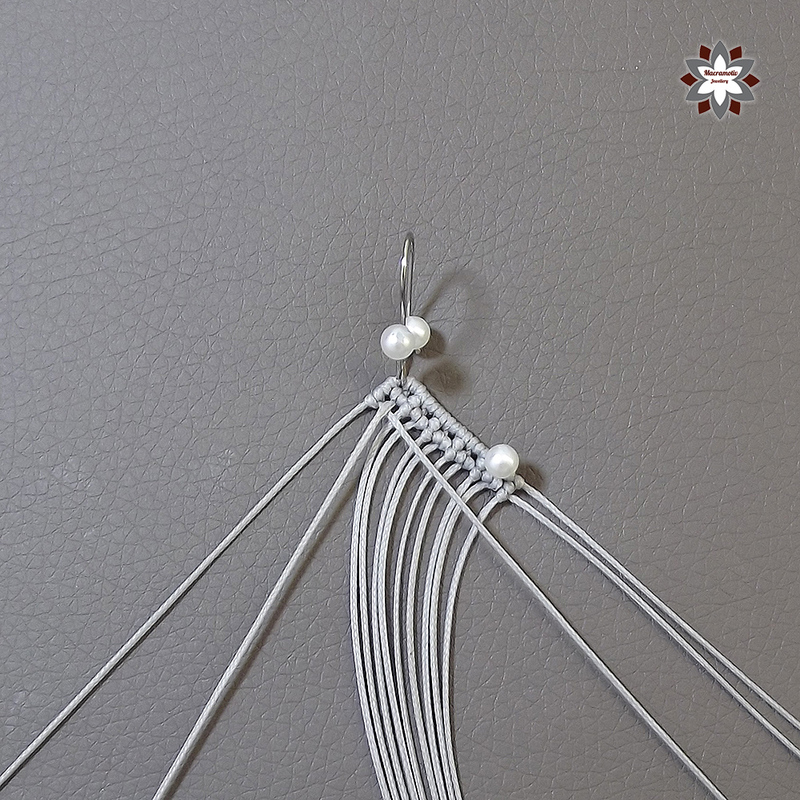 I started with one of the 30cm cords through the earring closure, then I added 5-5pcs 50cm long cords in half to both sides. 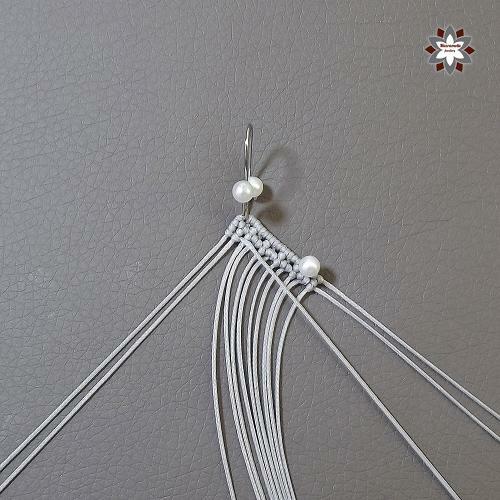 As you will see on the pictures: lastly I added two cords that are 30cm long again. 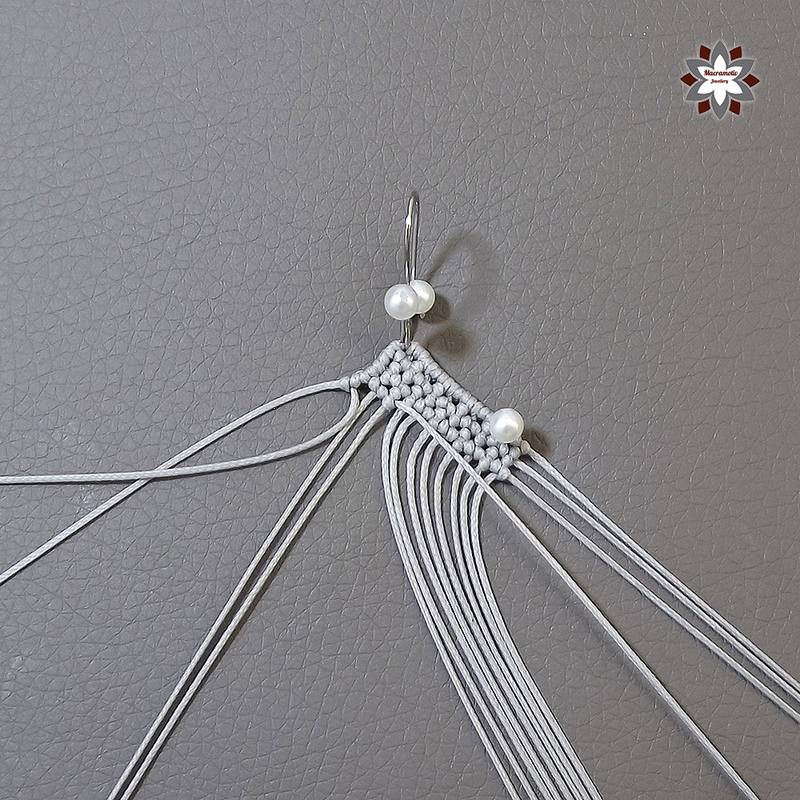 If you have any questions about the cords I use, or the board I work on, please visit FAQ first. 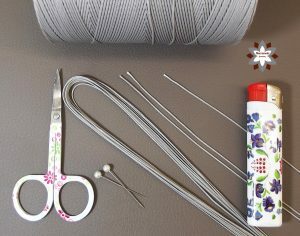 Is the cord you use 1mm or 0.5mm? 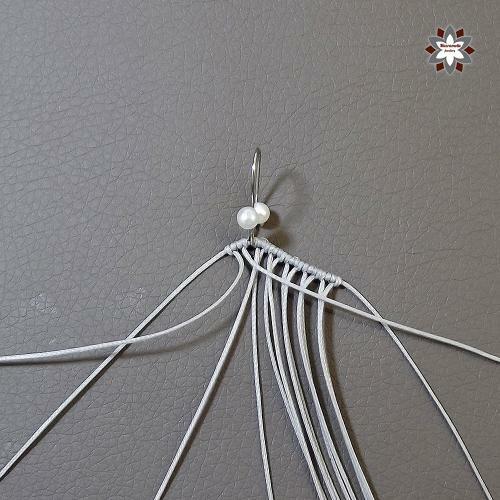 What brand of cord do you use? 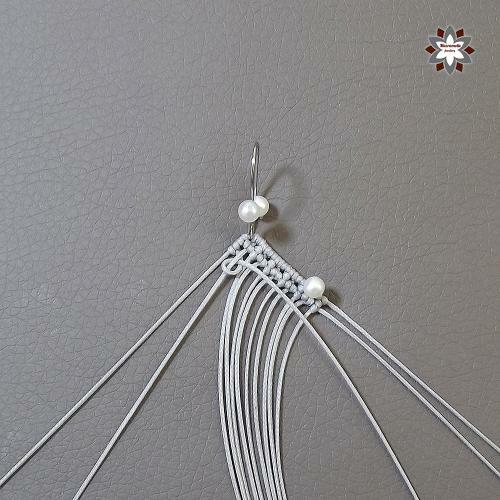 I used Amann Serabraid T90 thread 0,9mm. 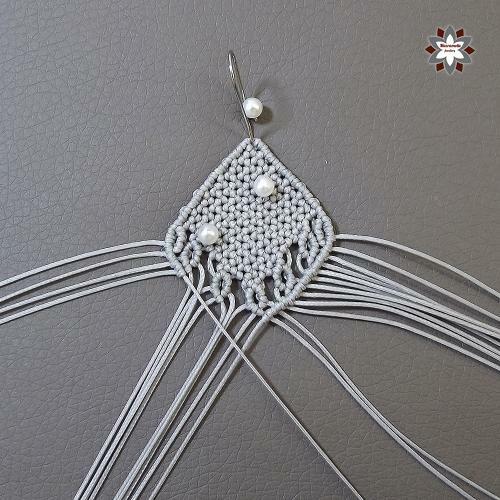 thanks a lot for your tutorial, it was the reason why I decided to take up the hobby. 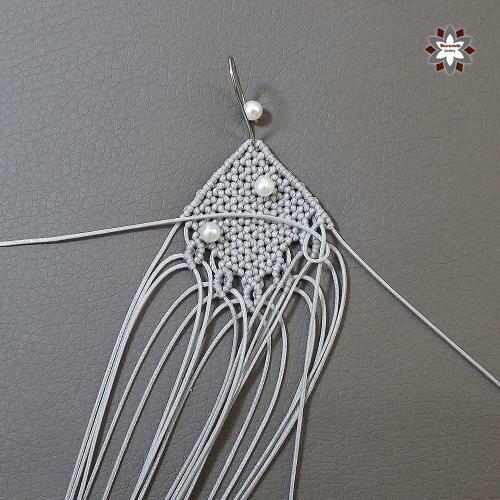 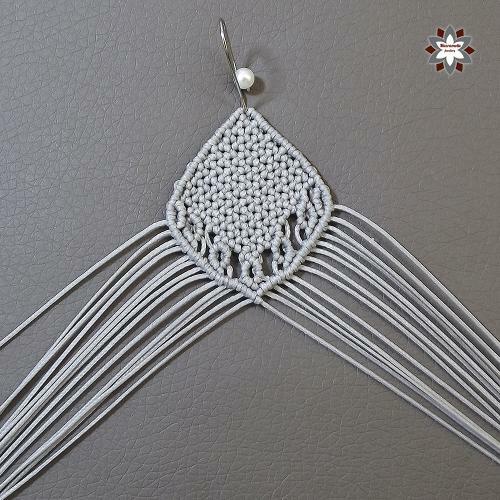 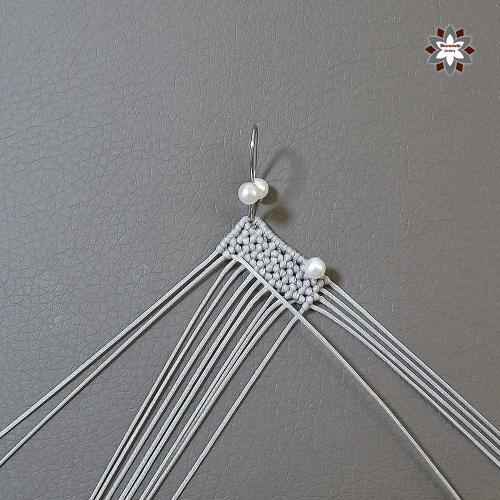 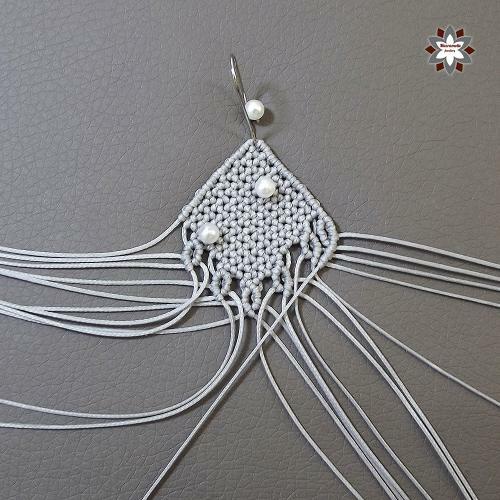 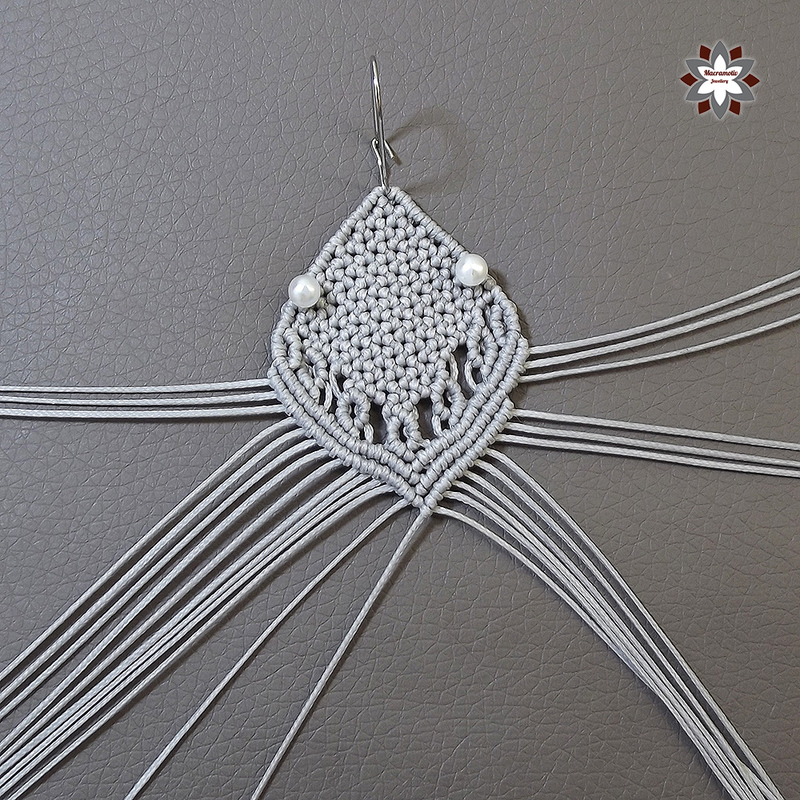 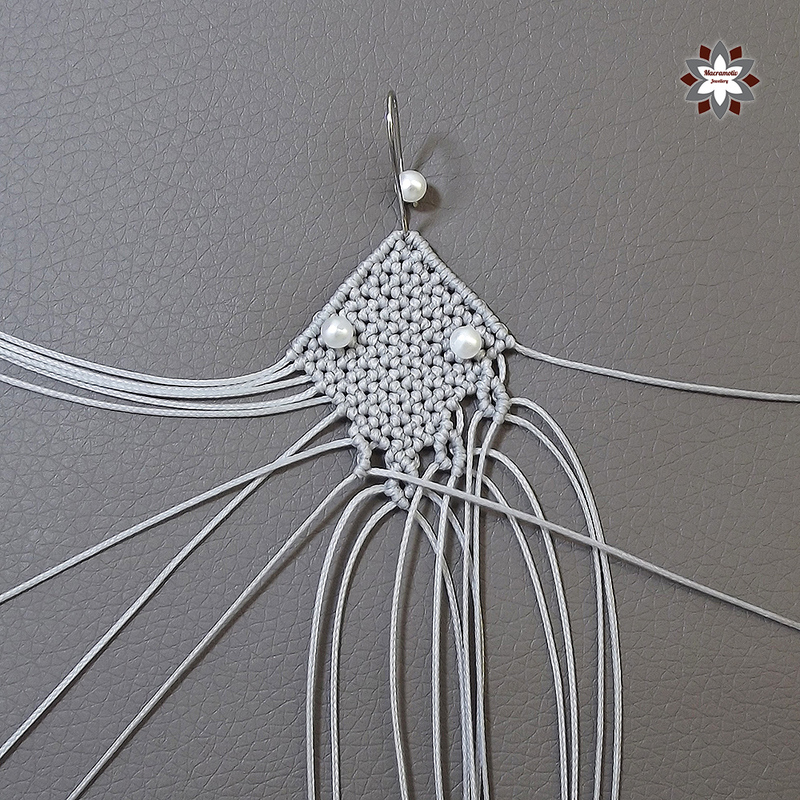 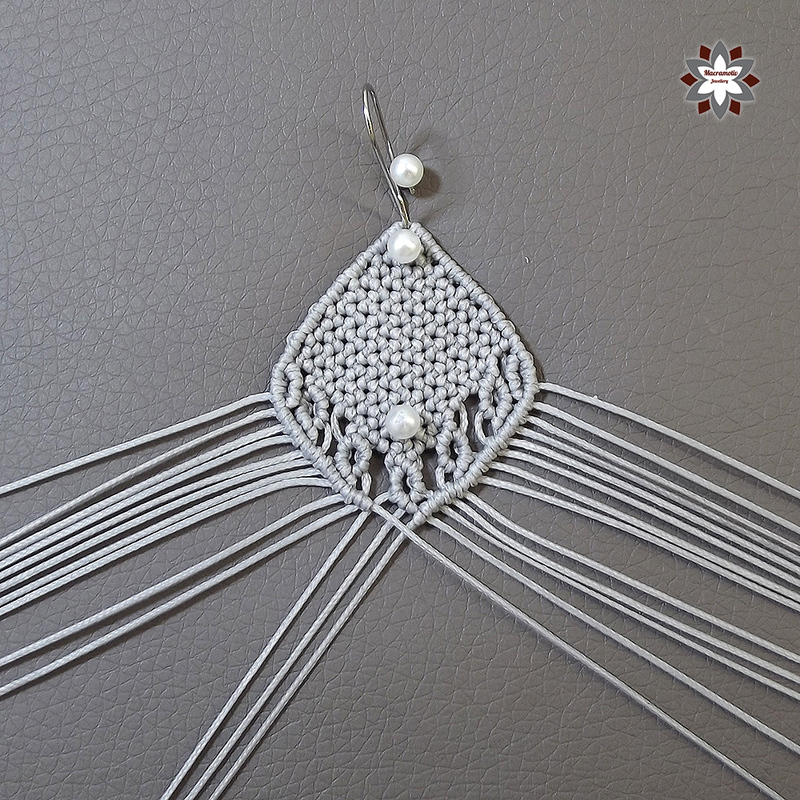 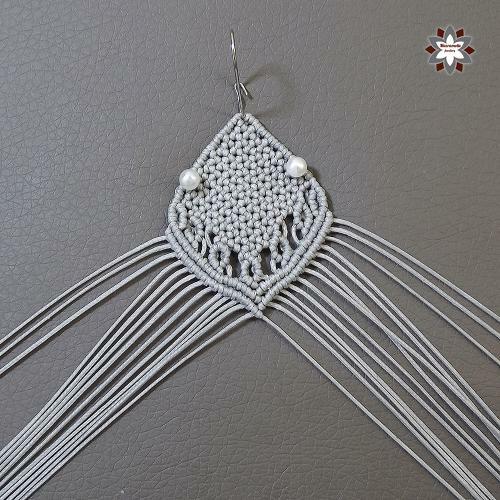 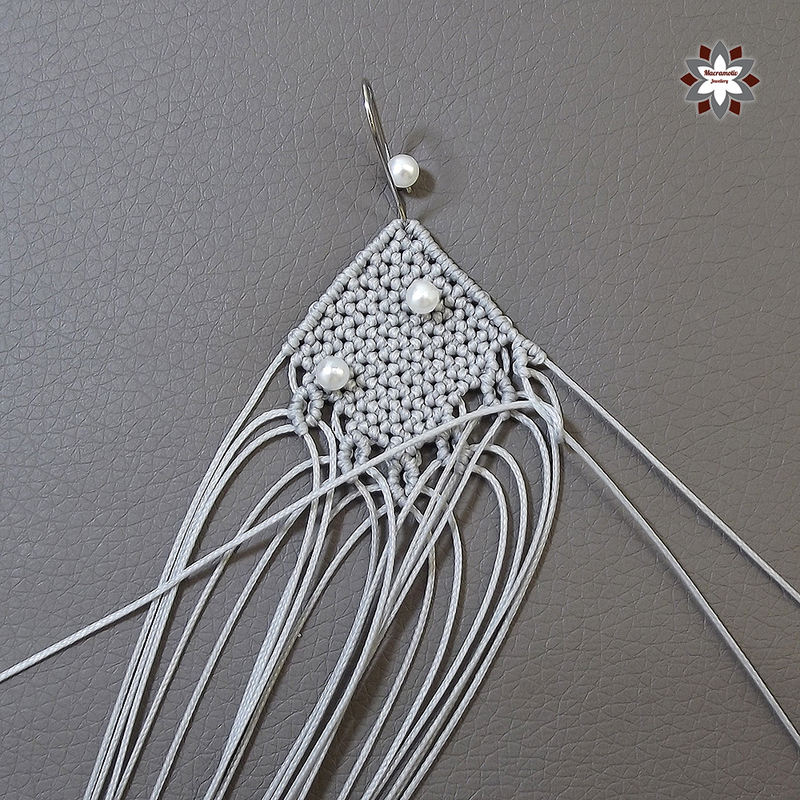 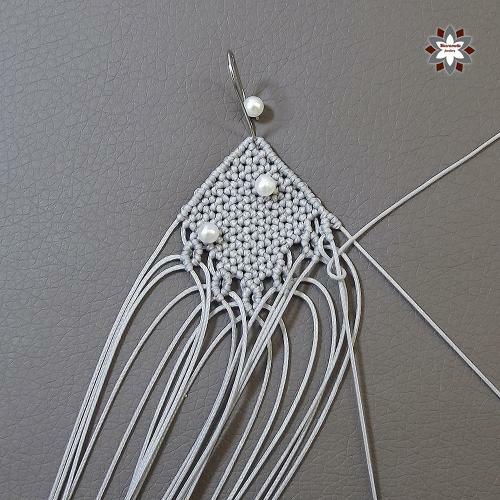 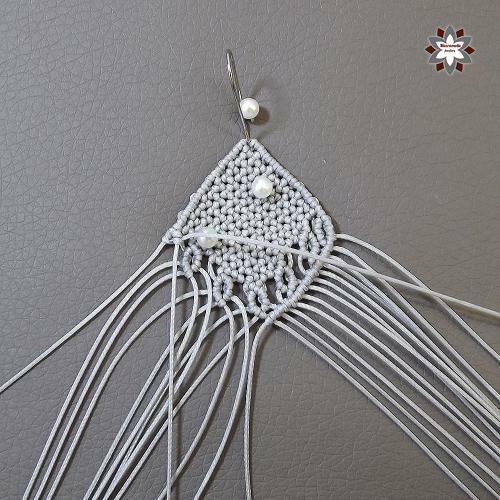 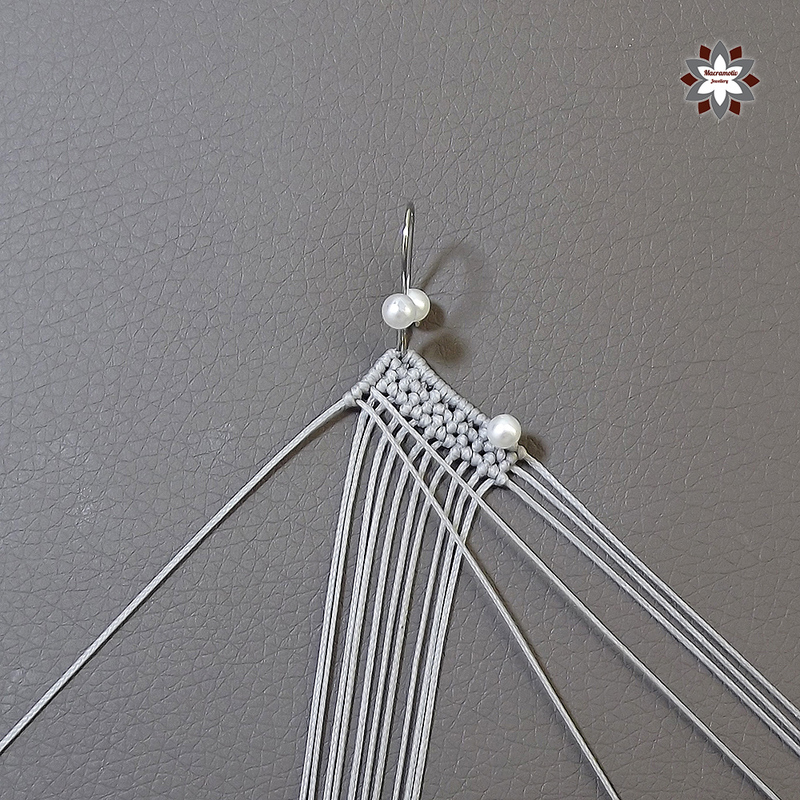 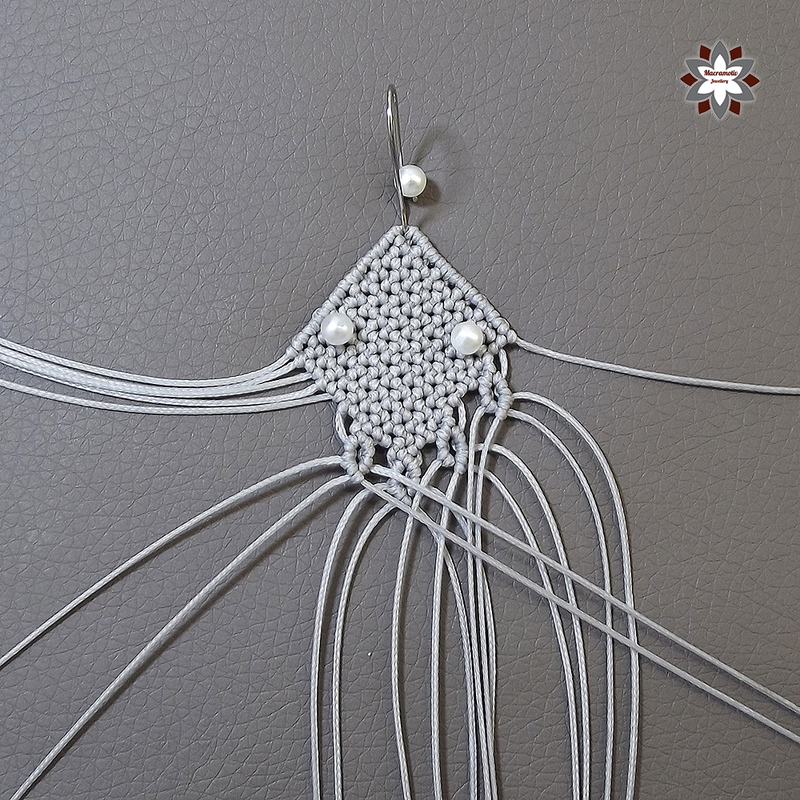 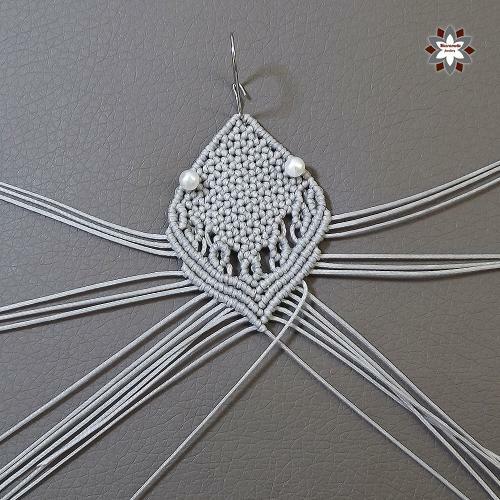 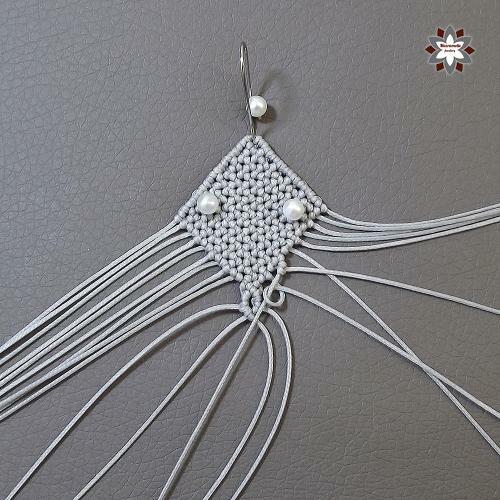 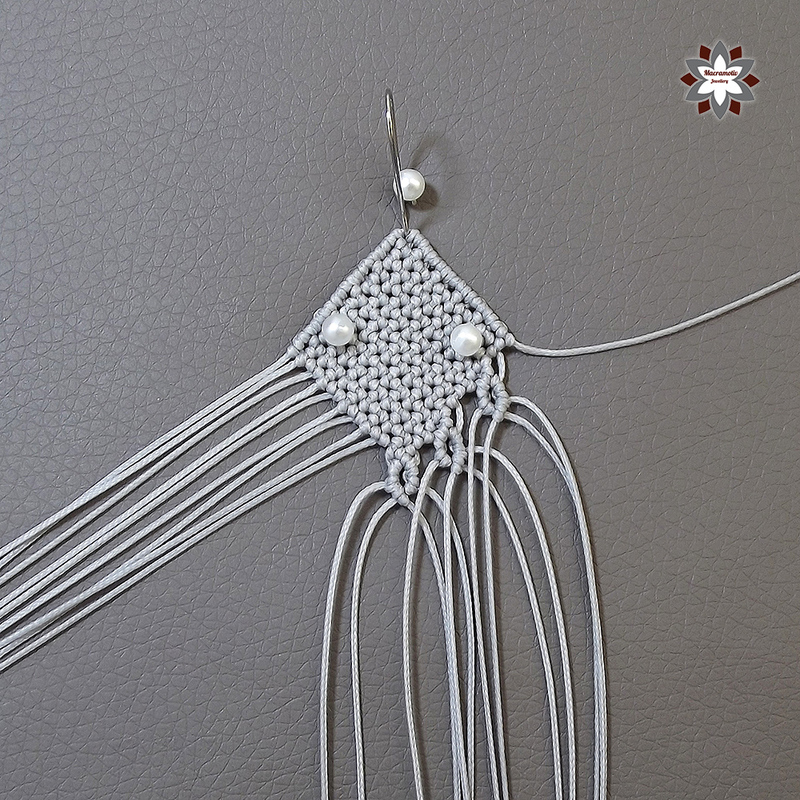 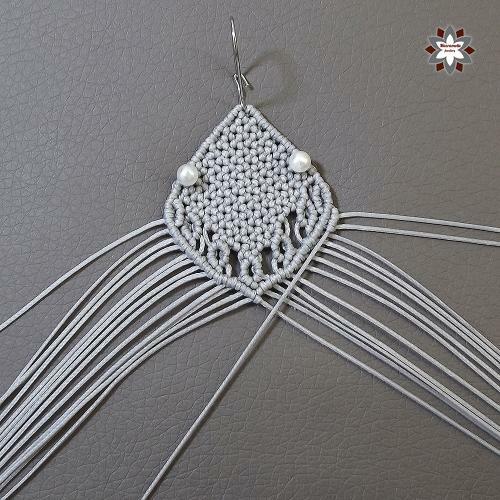 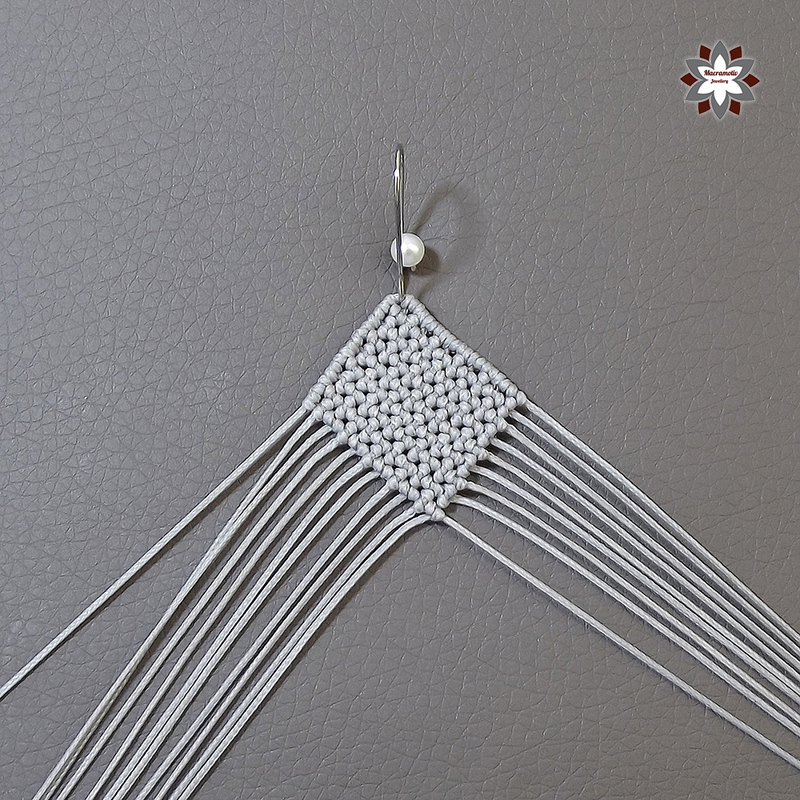 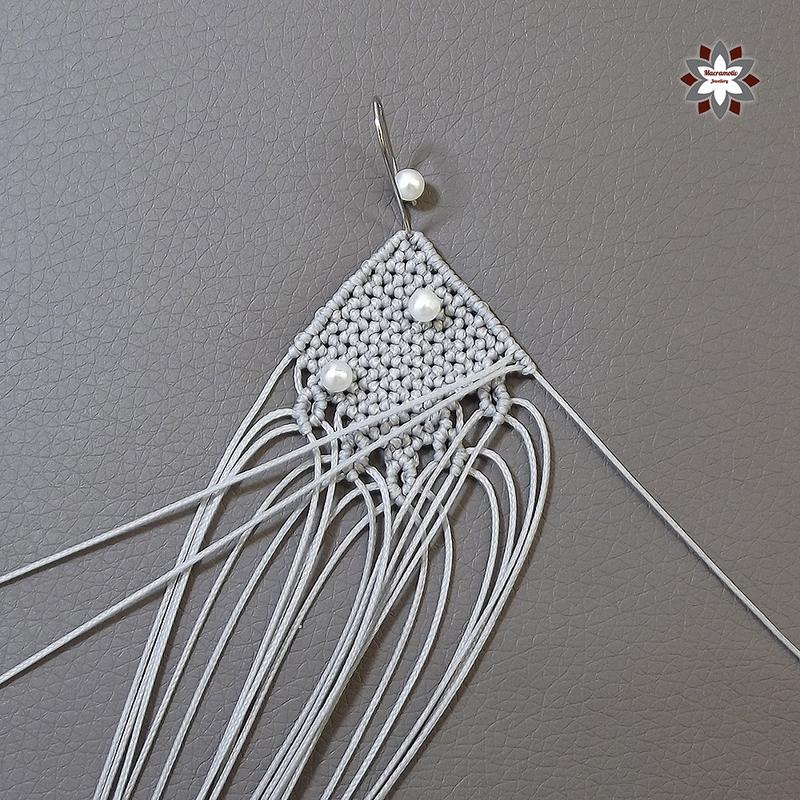 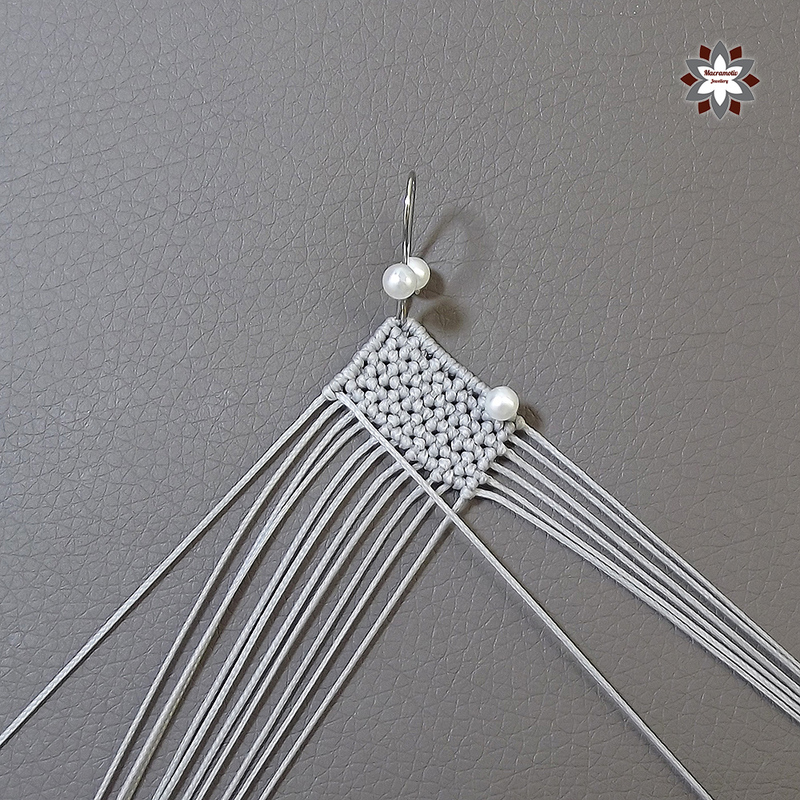 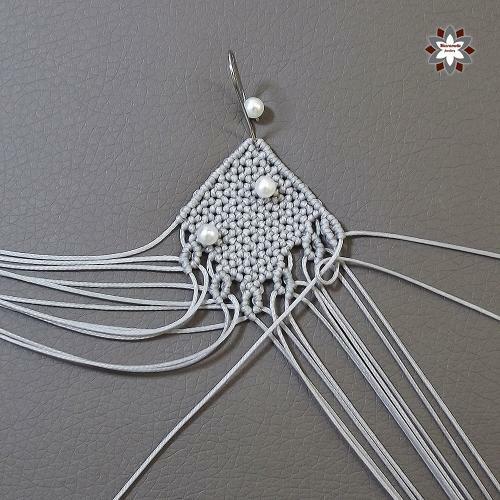 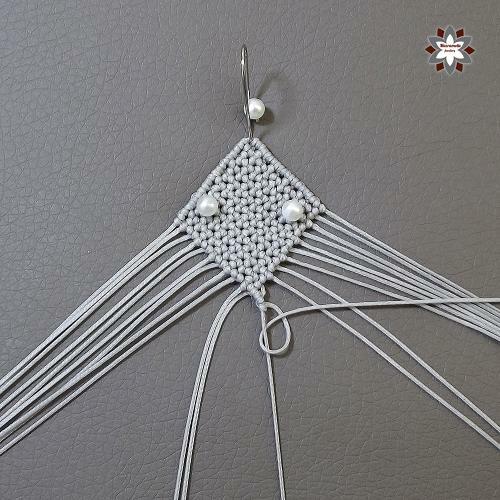 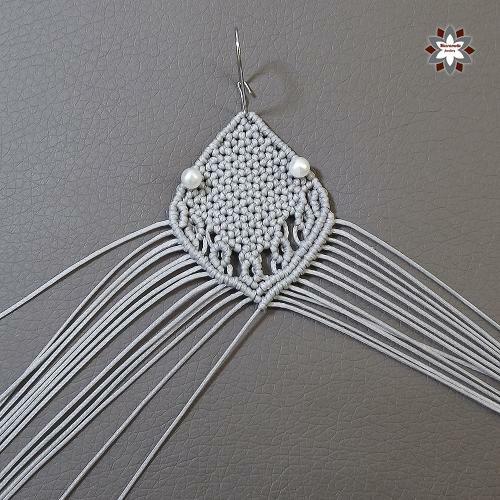 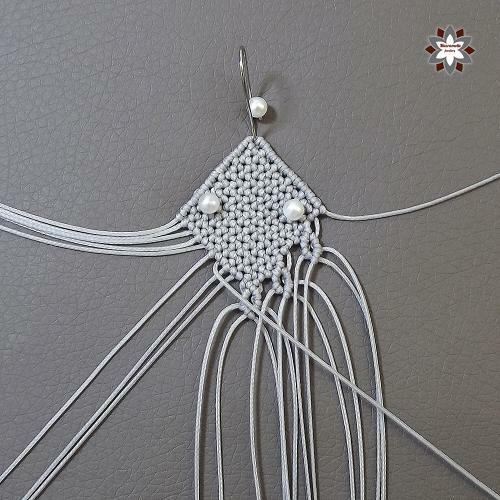 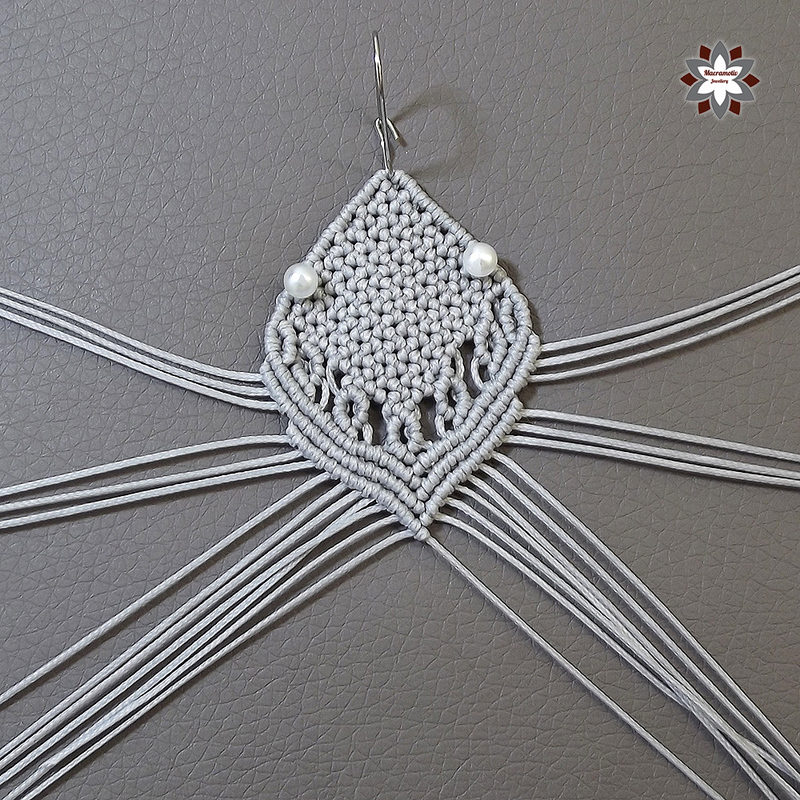 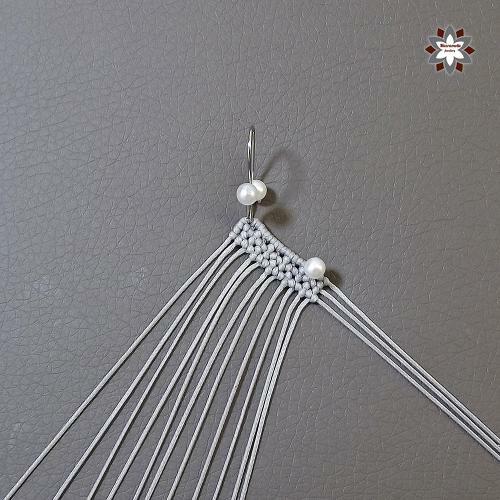 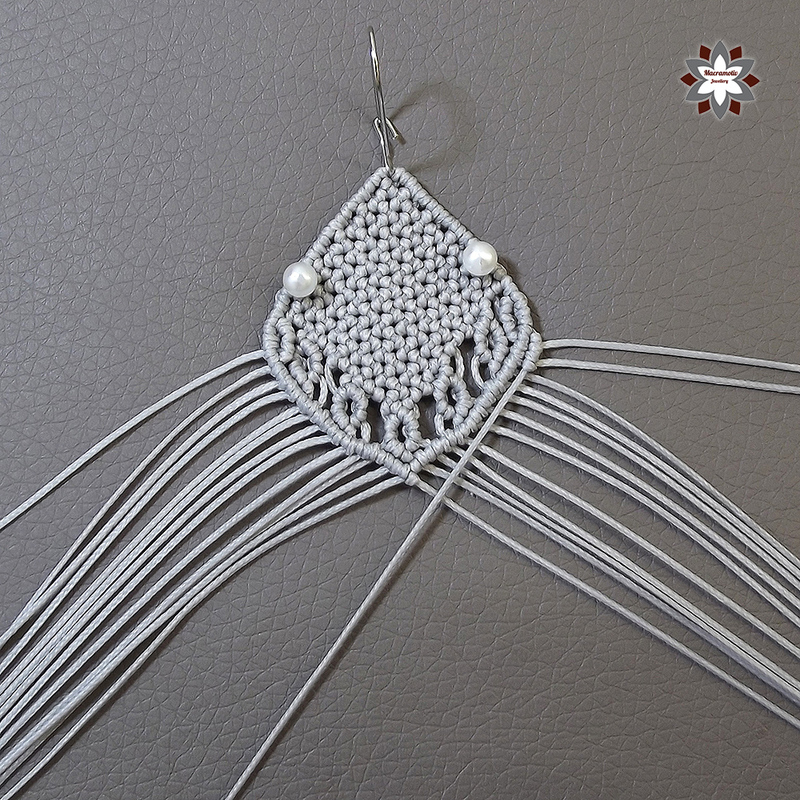 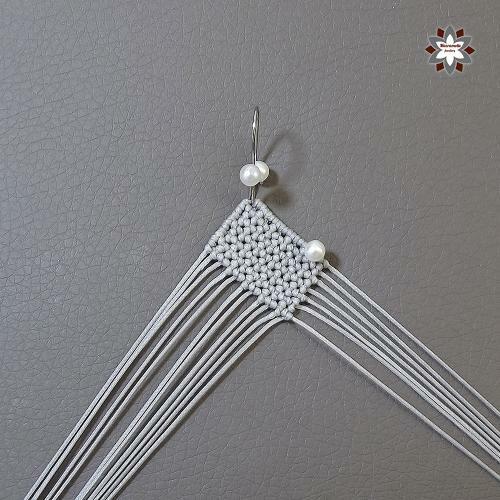 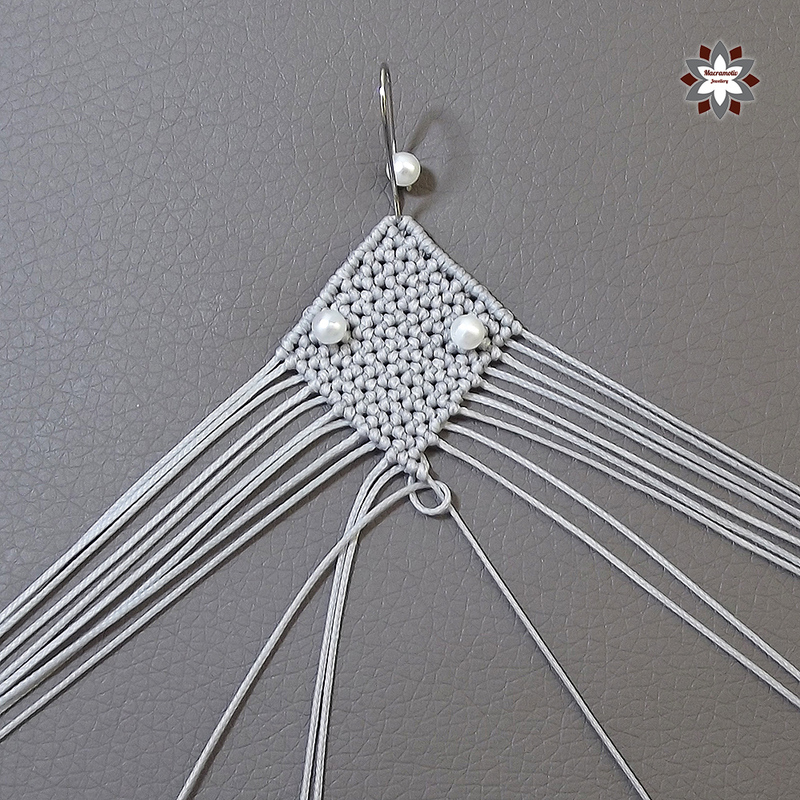 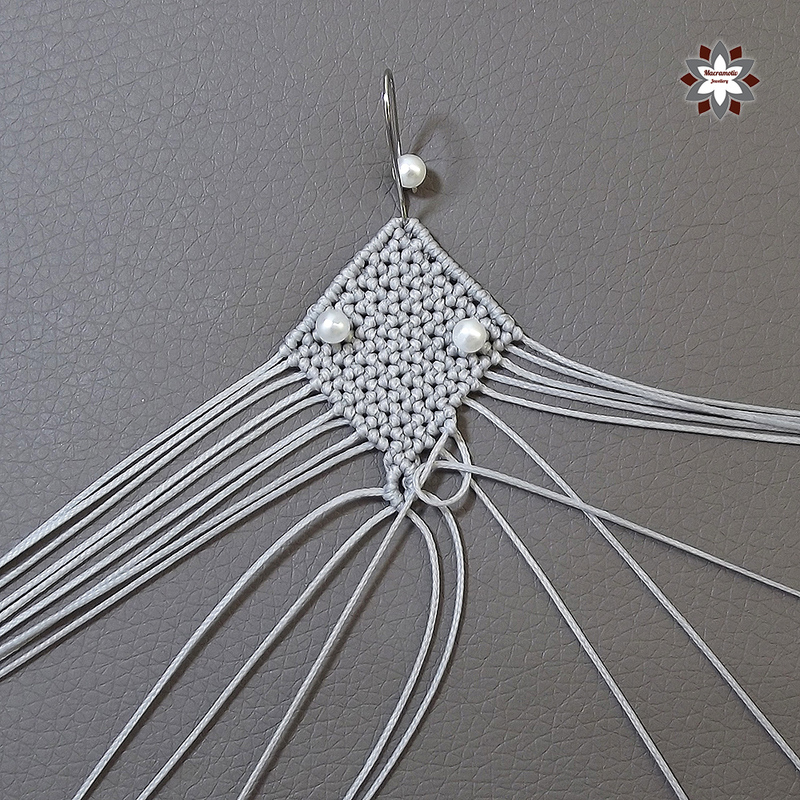 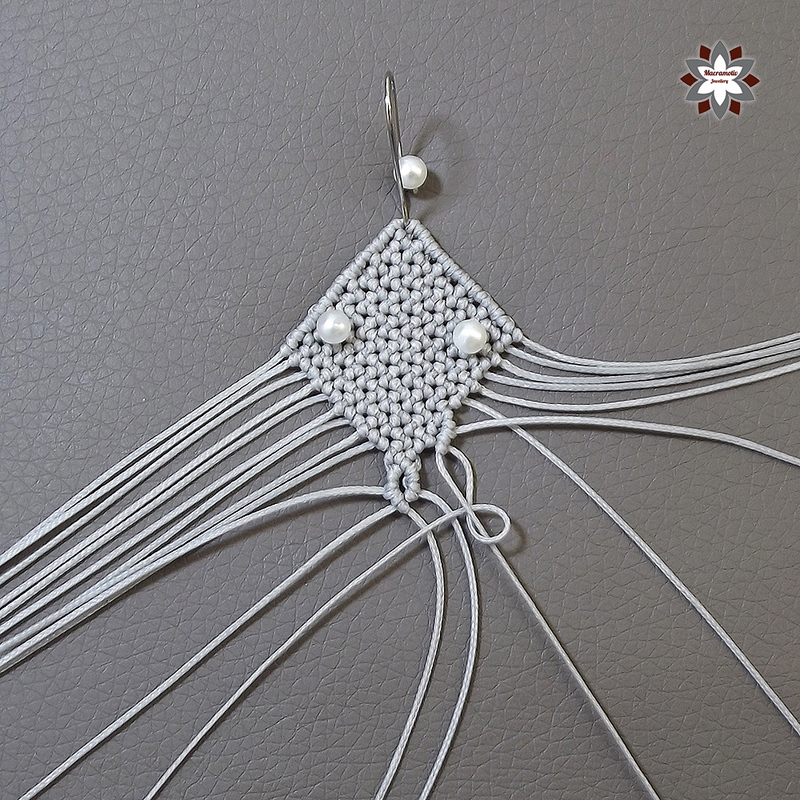 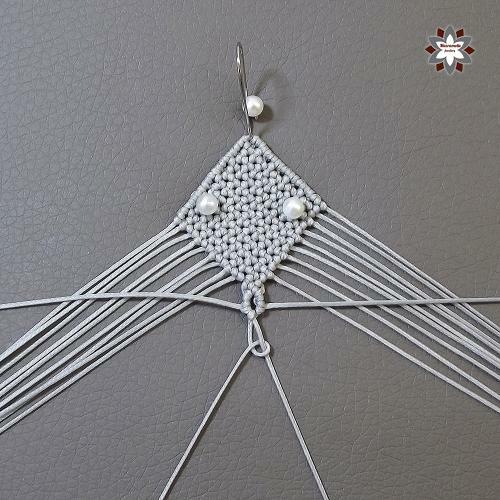 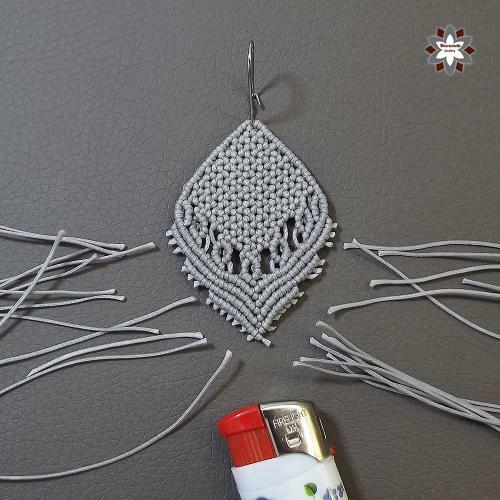 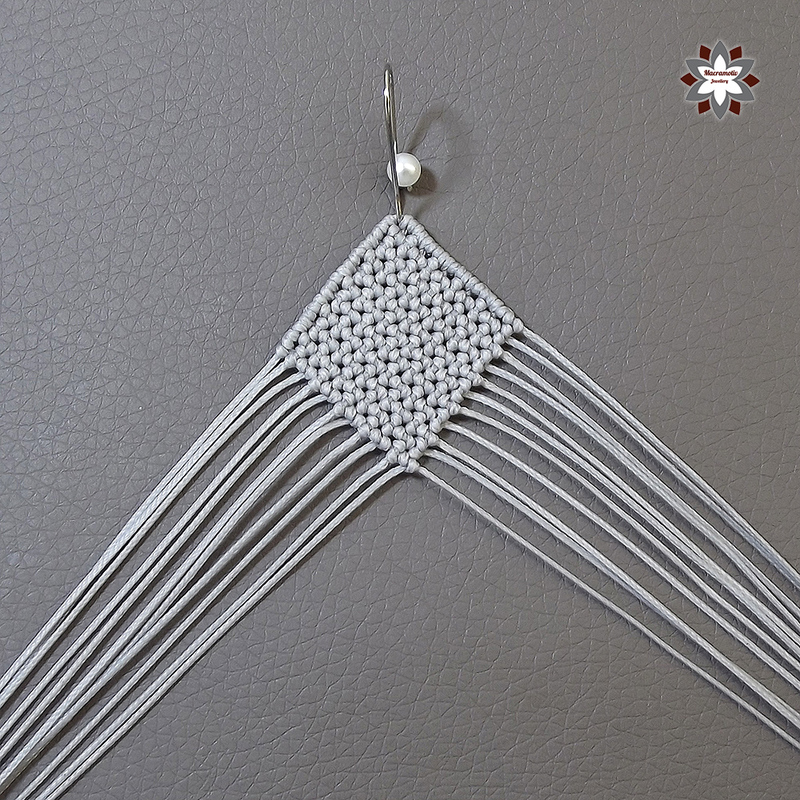 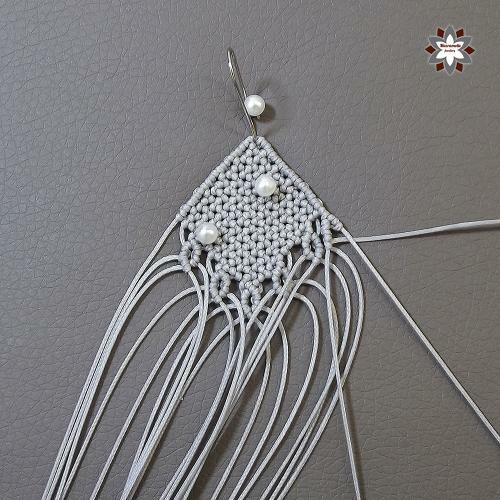 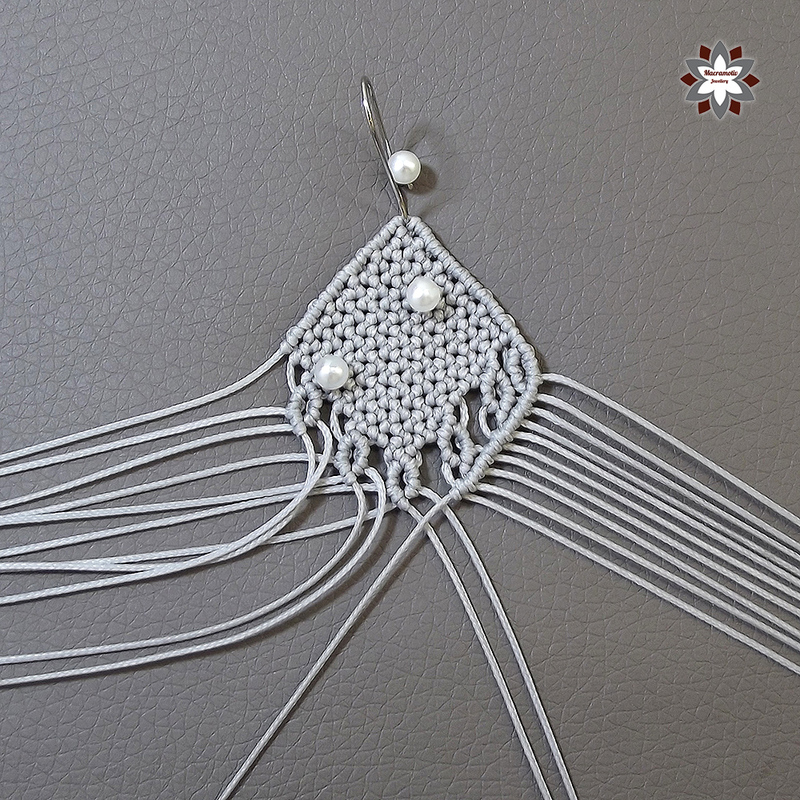 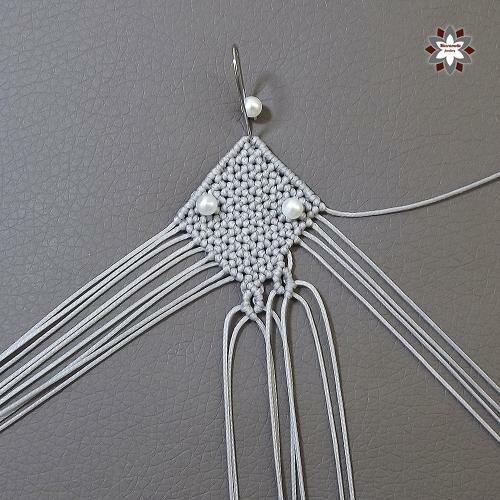 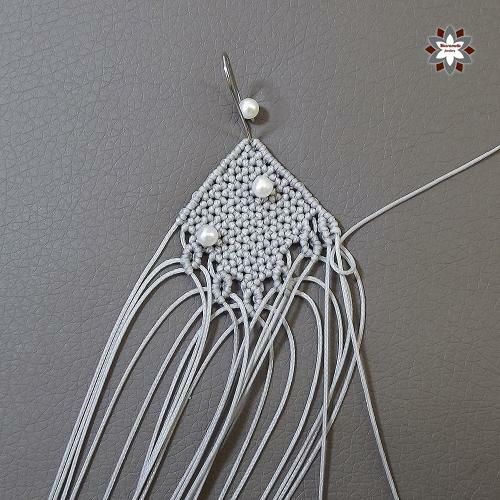 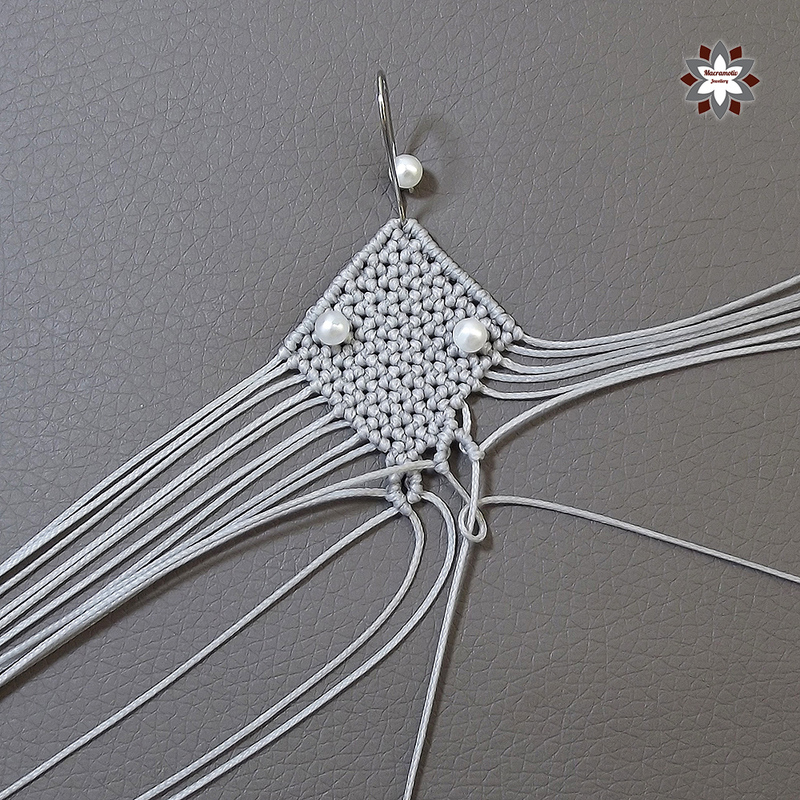 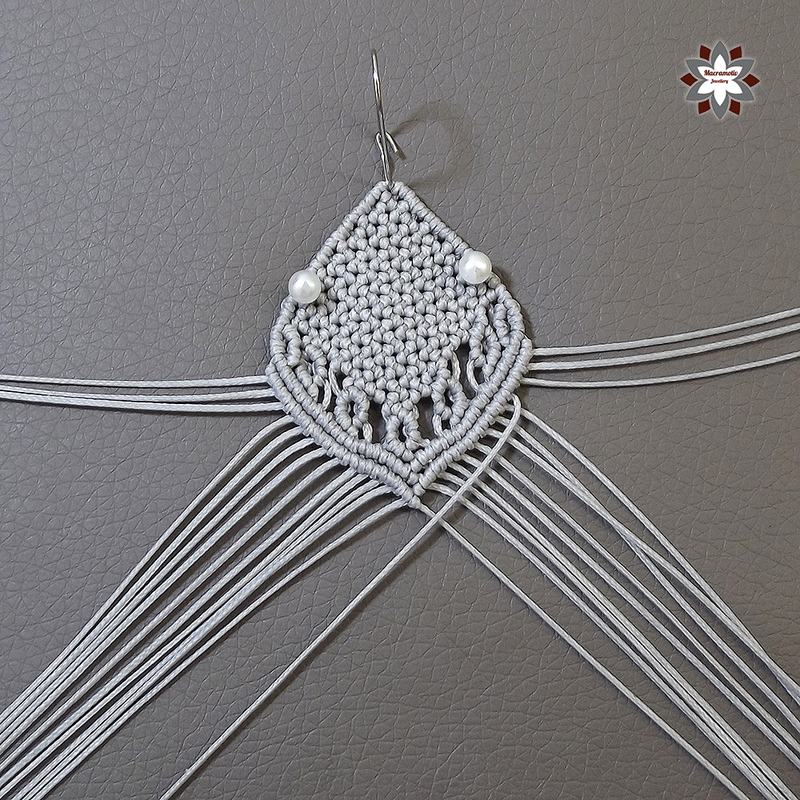 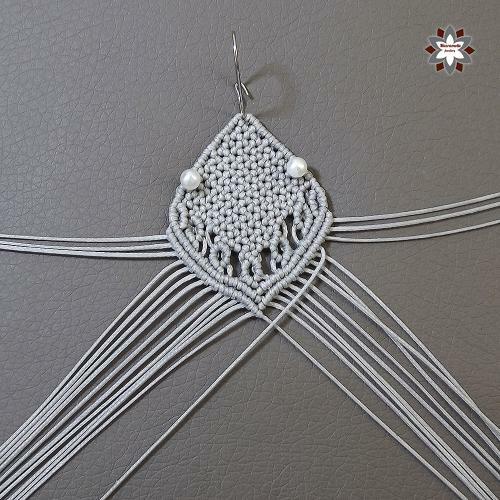 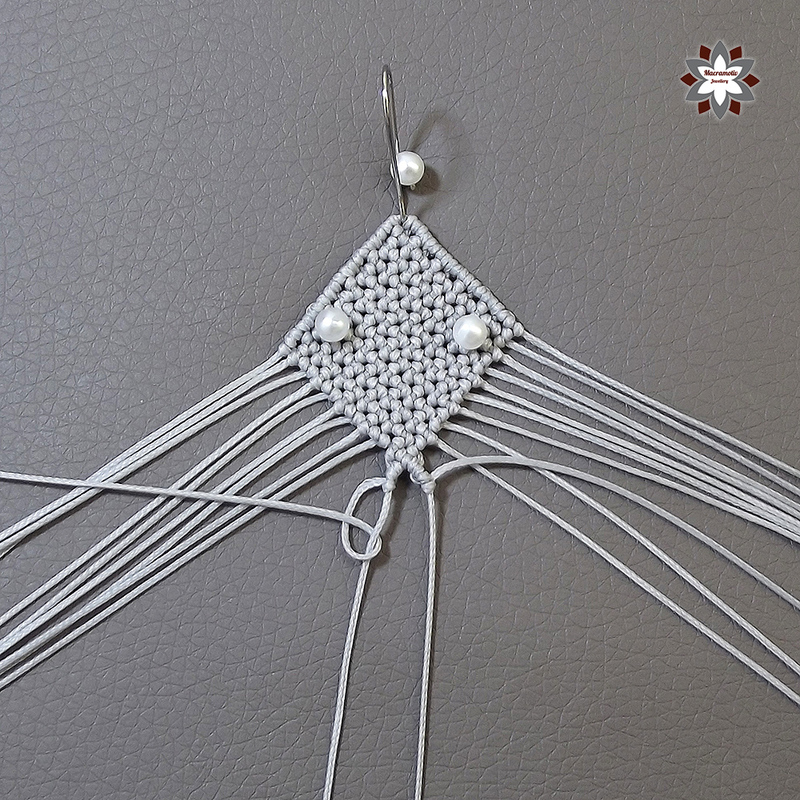 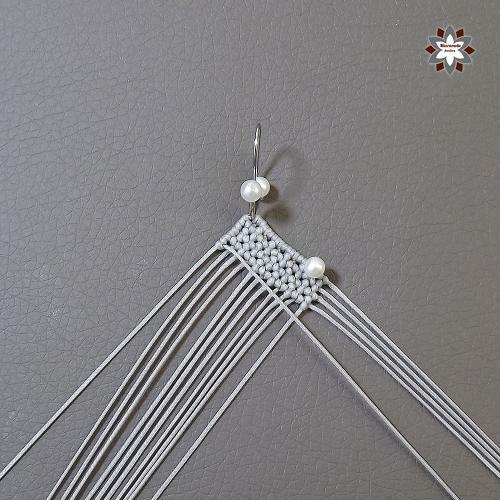 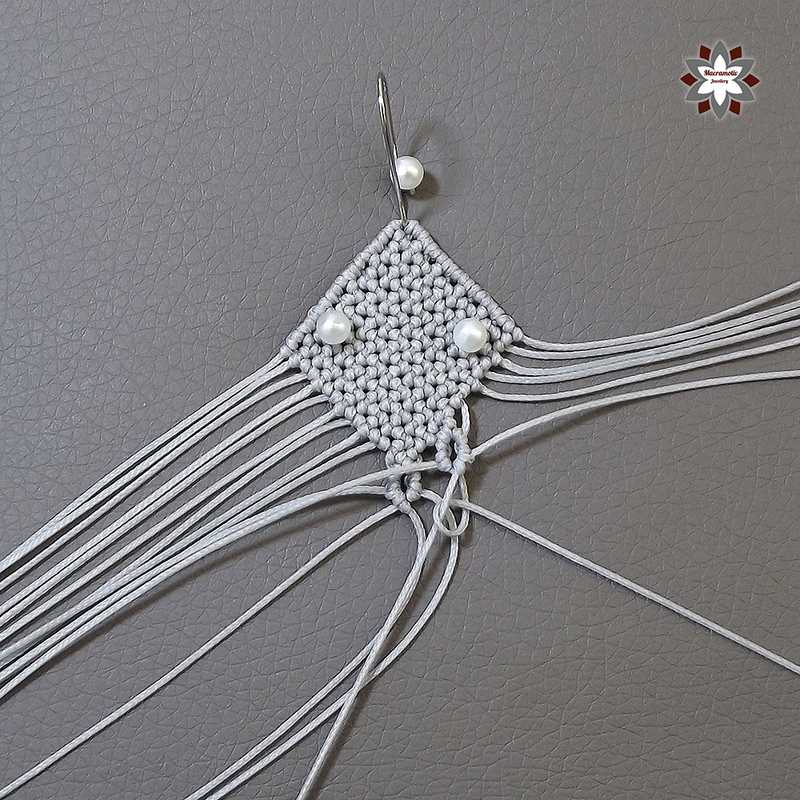 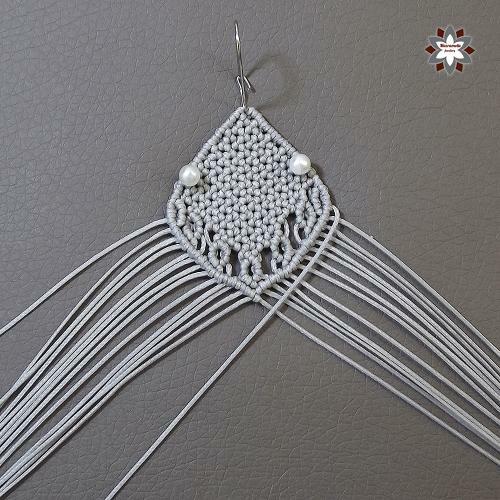 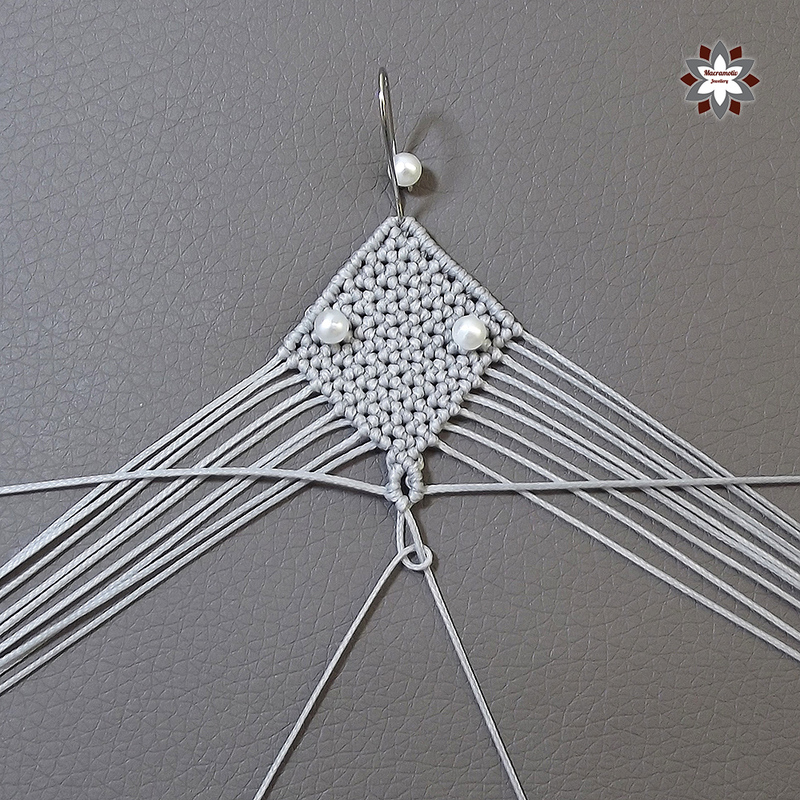 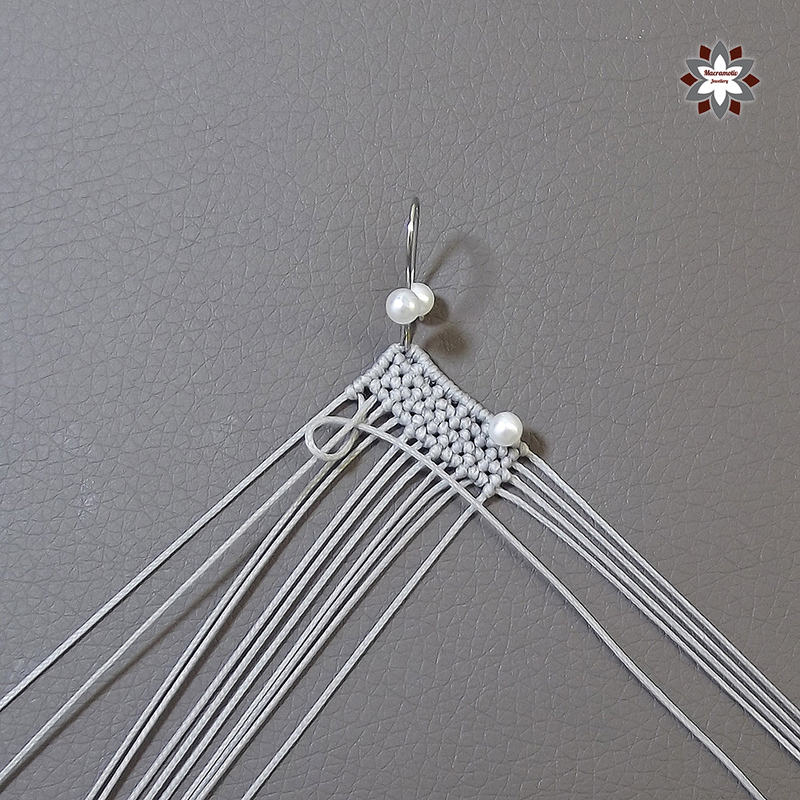 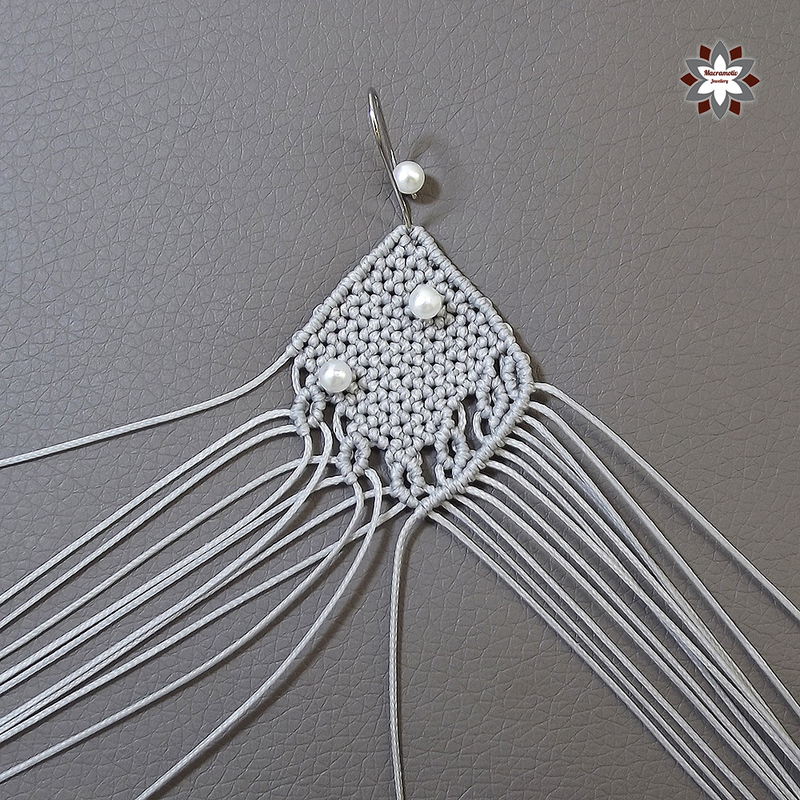 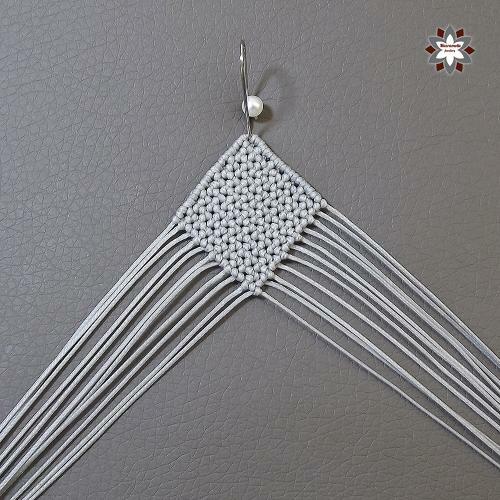 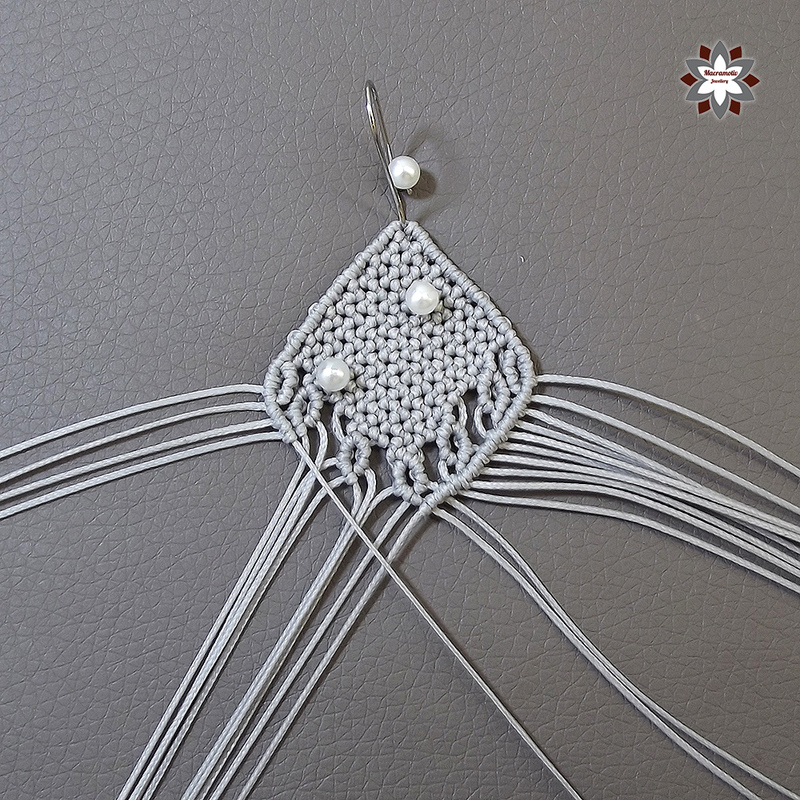 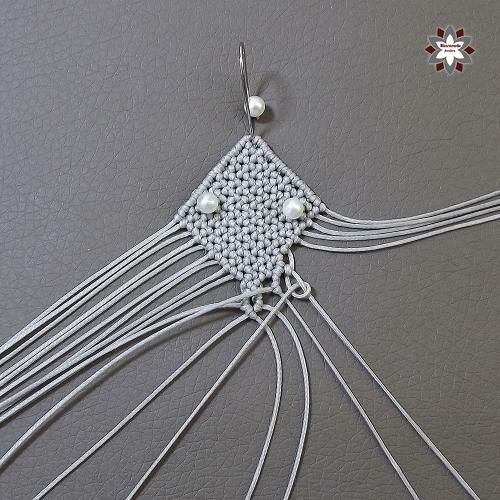 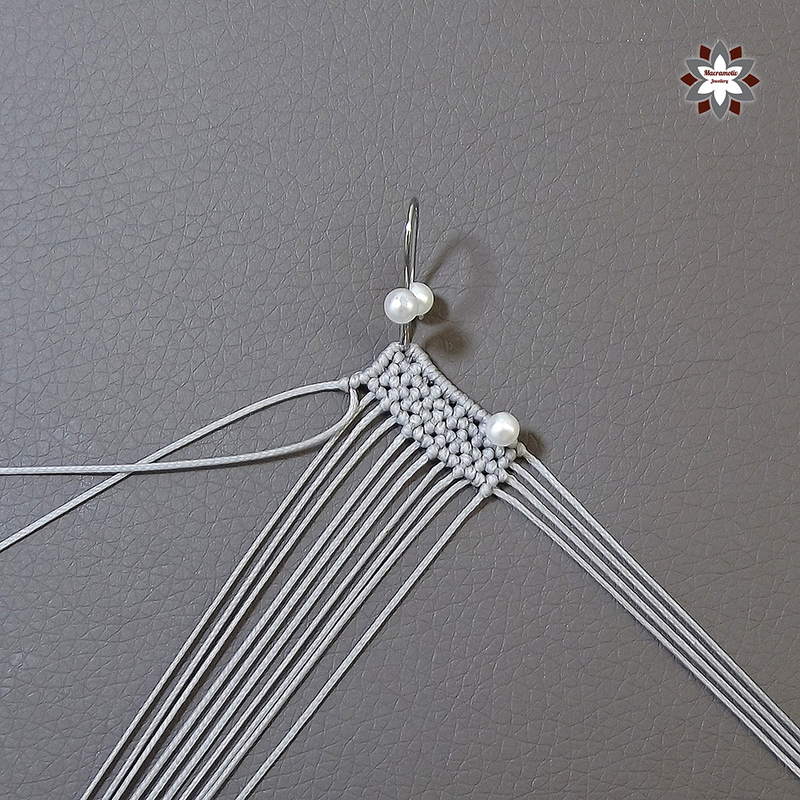 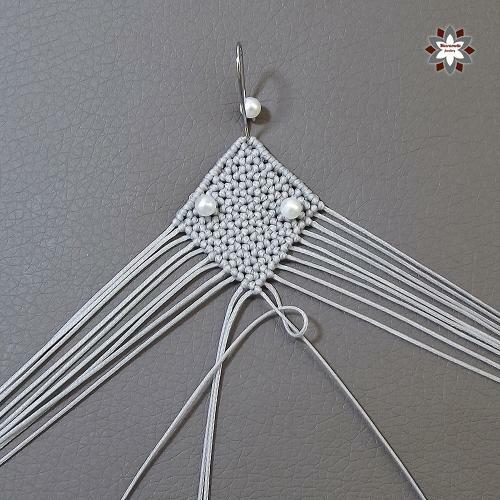 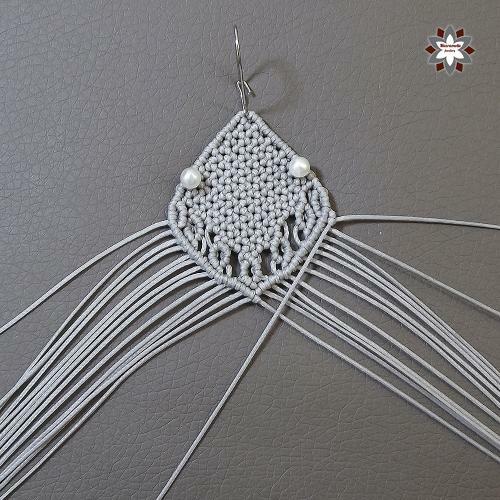 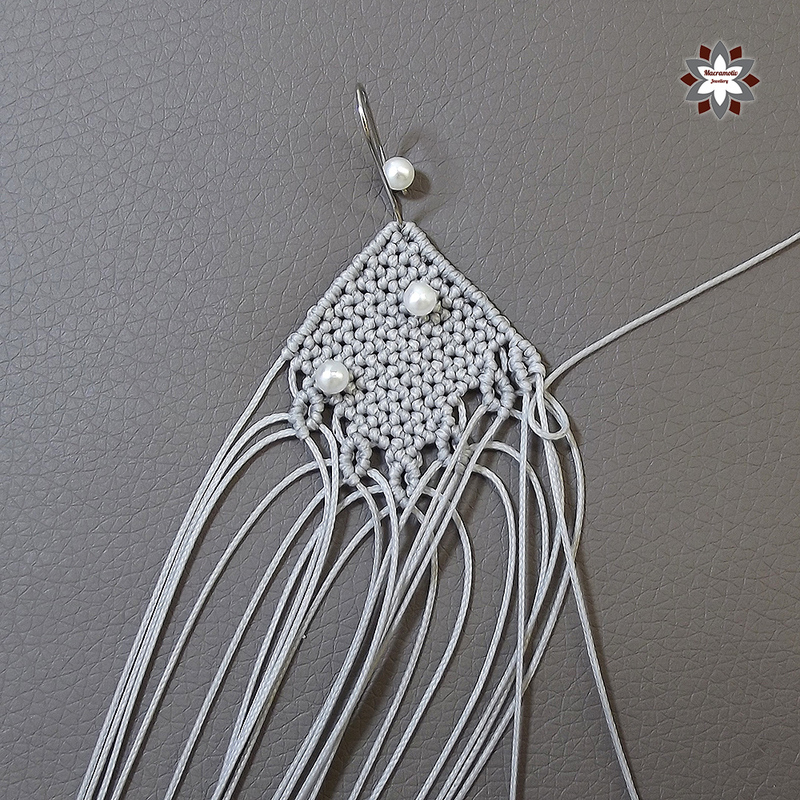 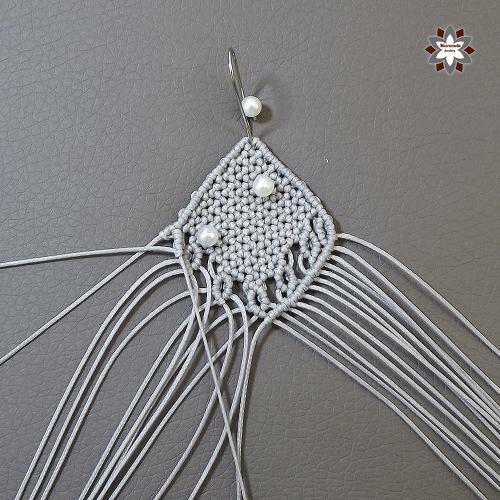 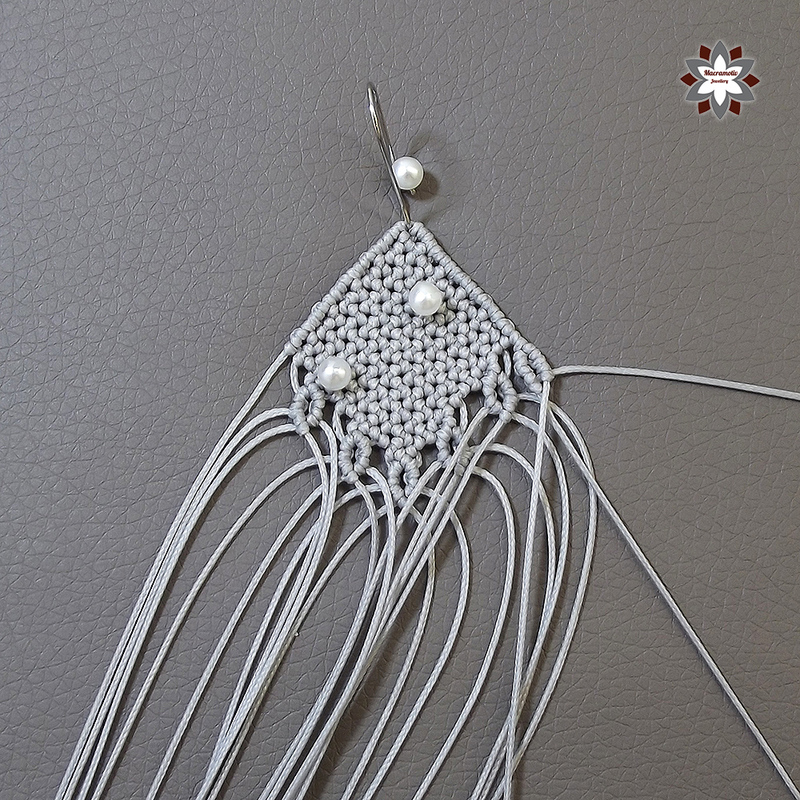 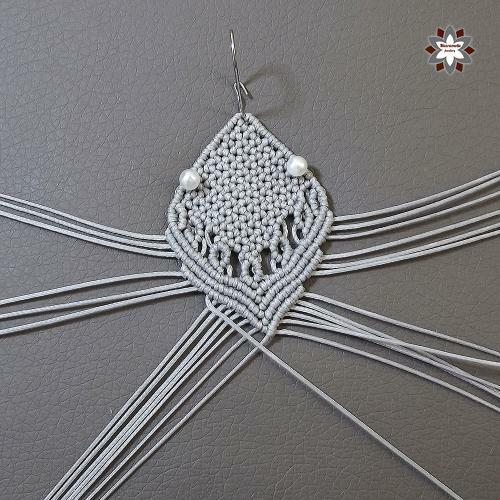 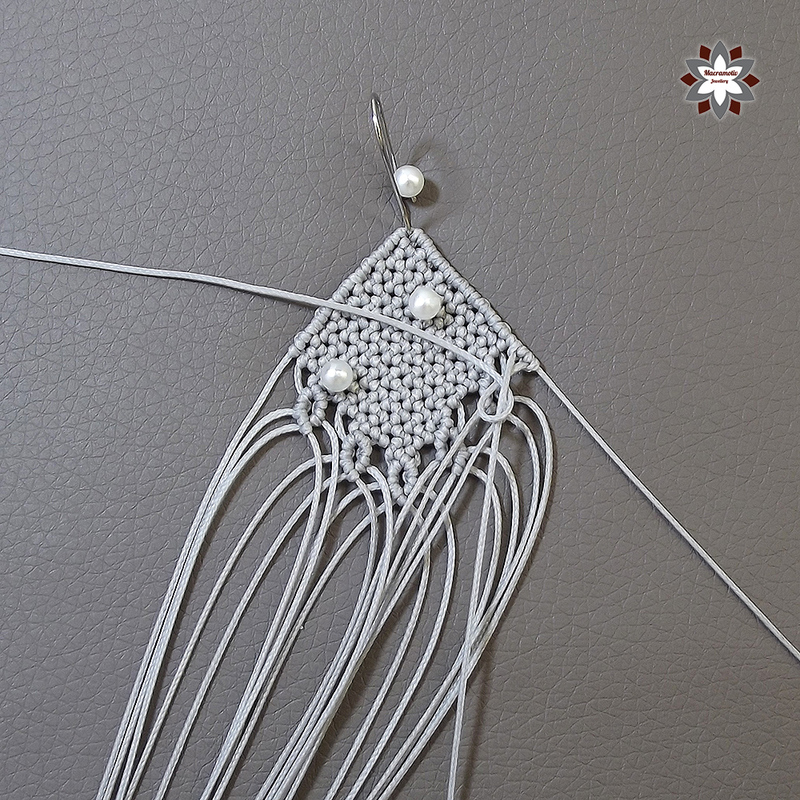 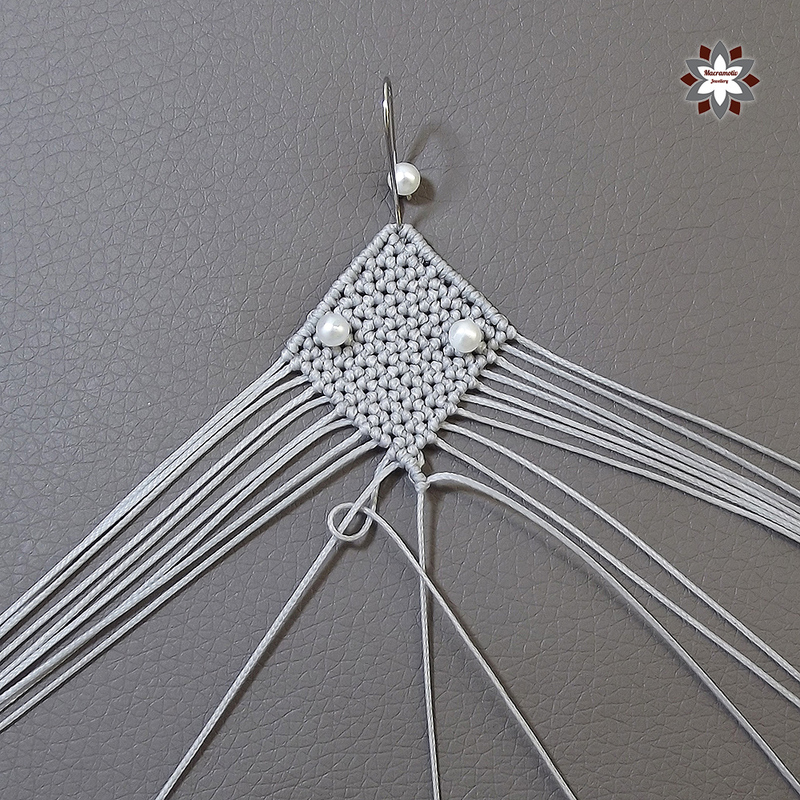 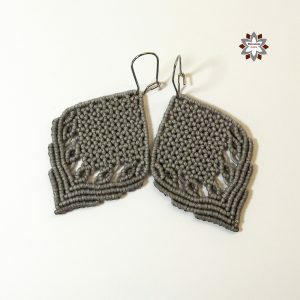 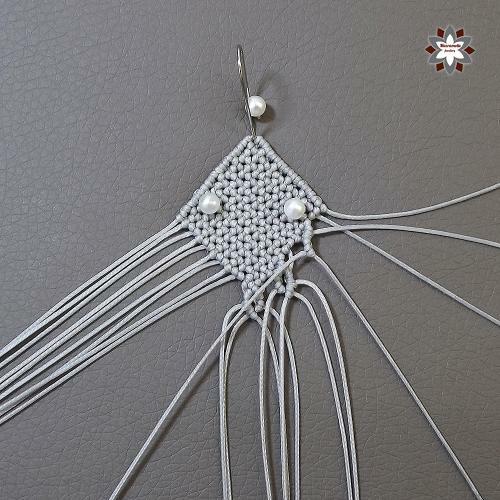 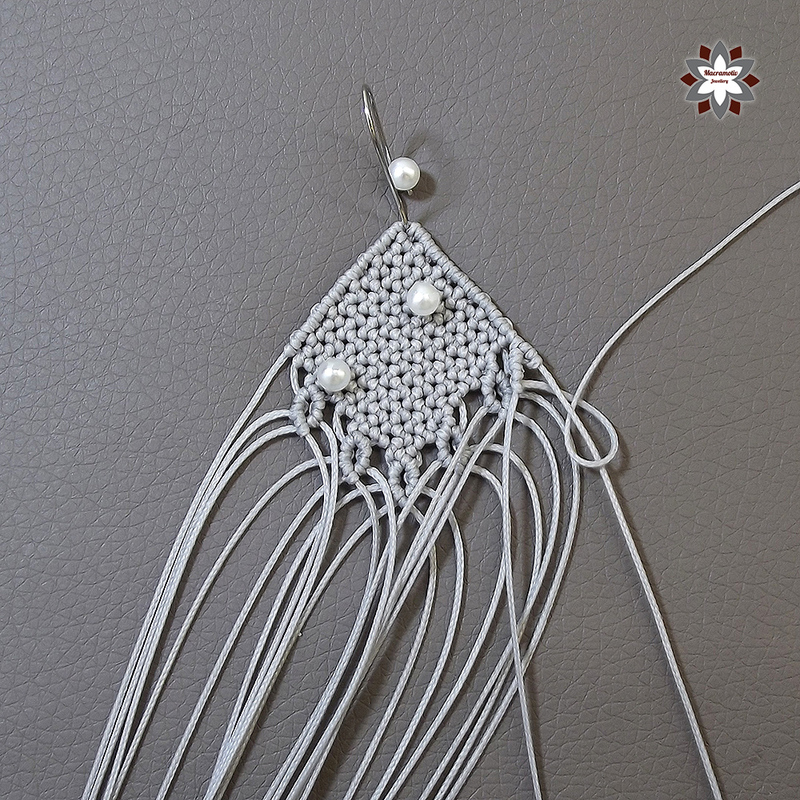 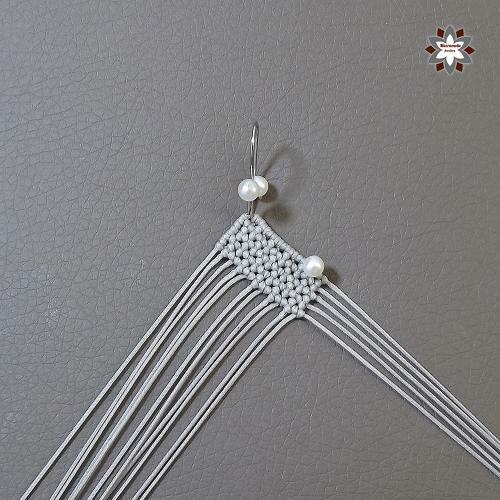 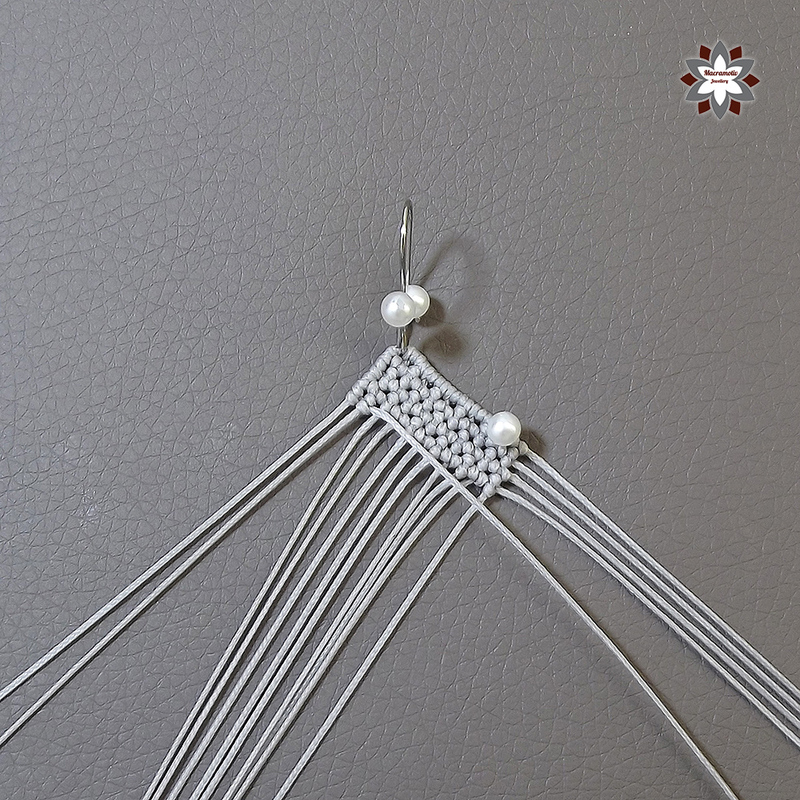 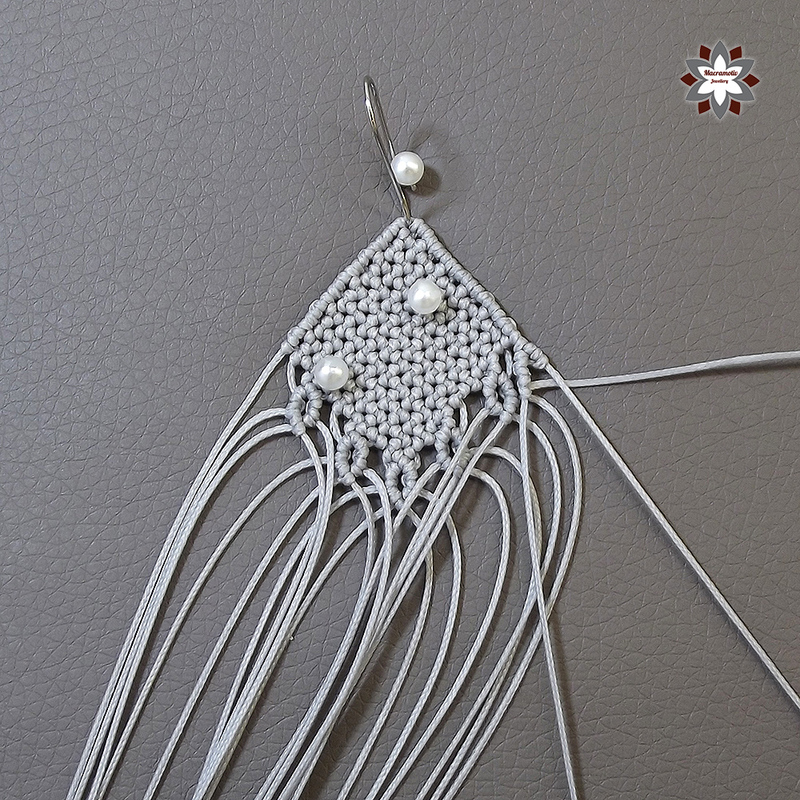 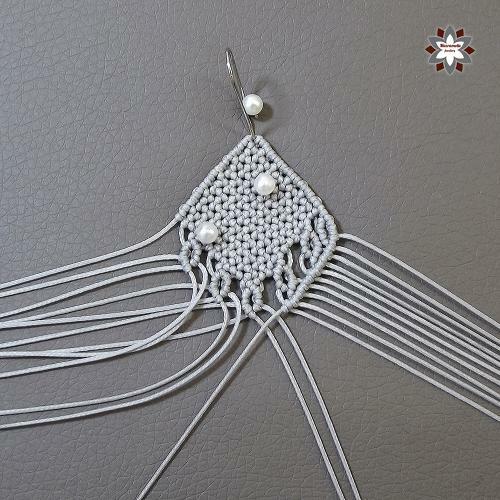 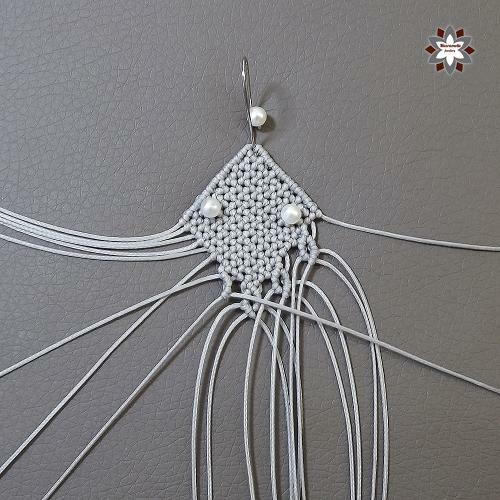 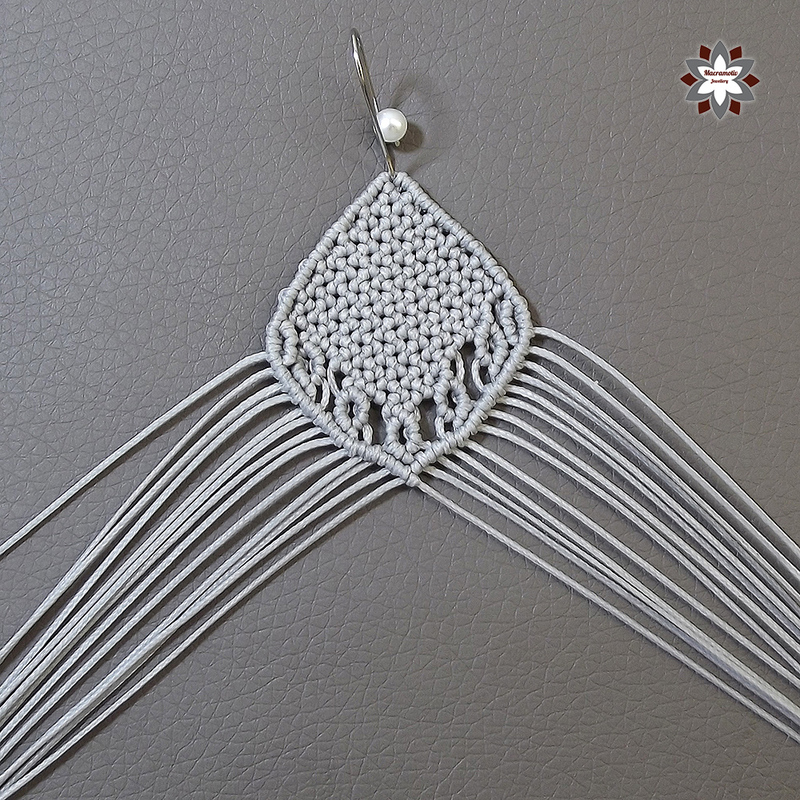 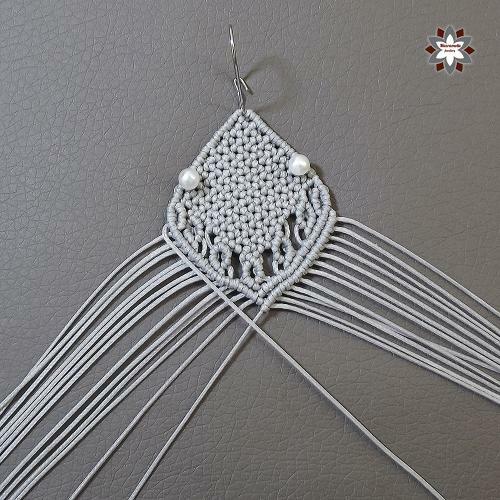 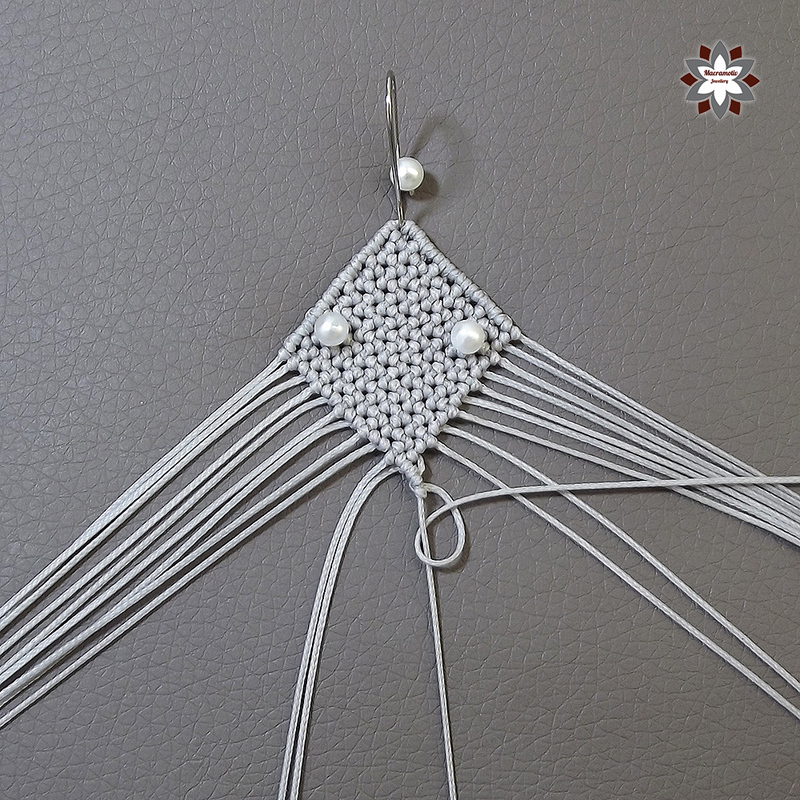 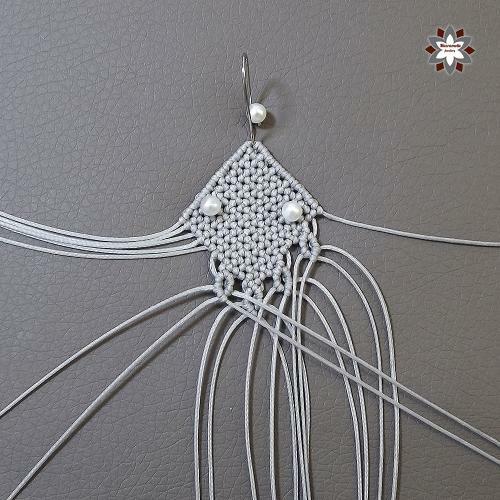 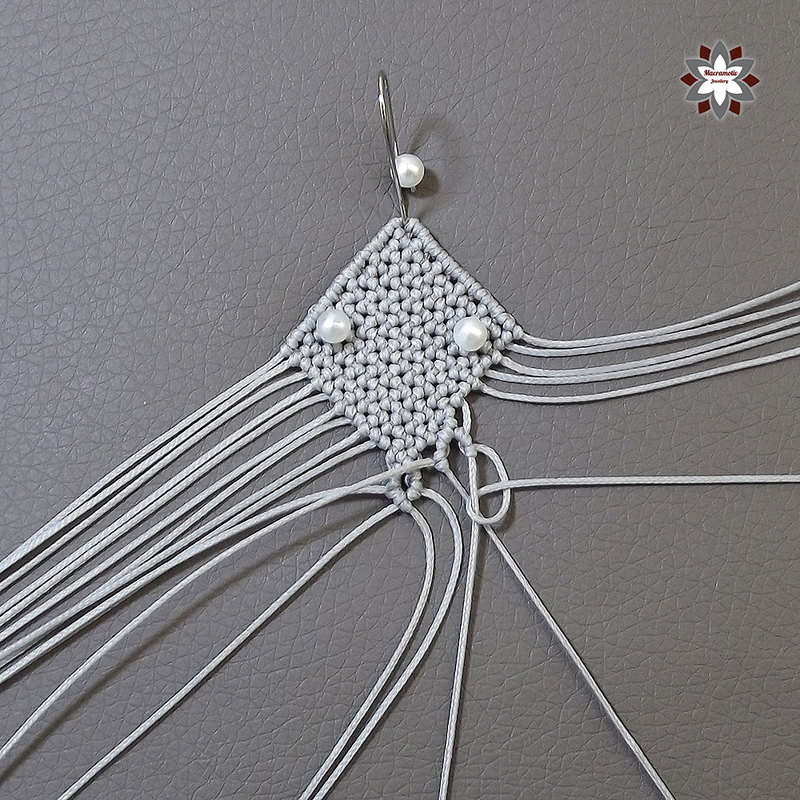 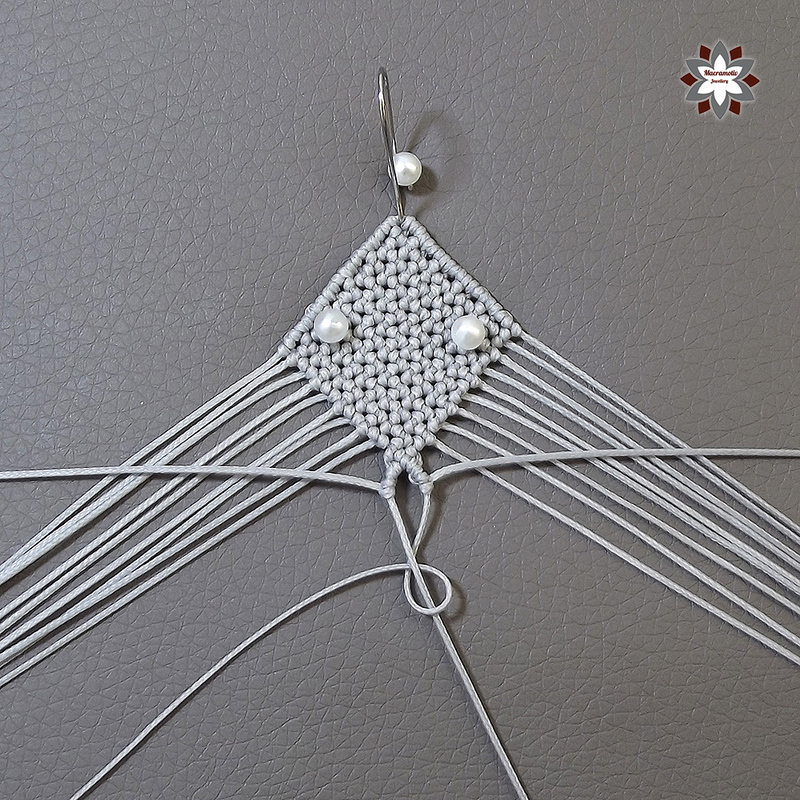 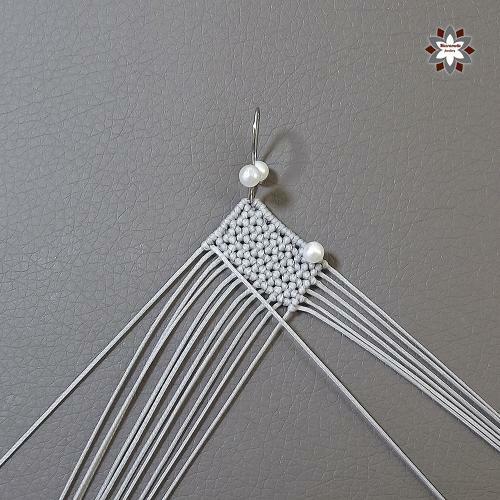 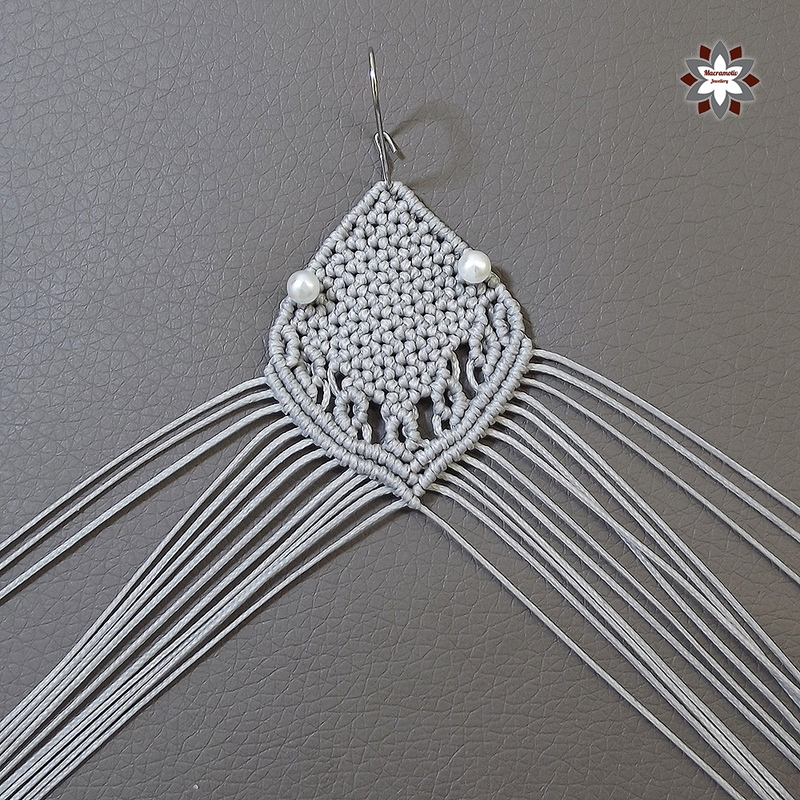 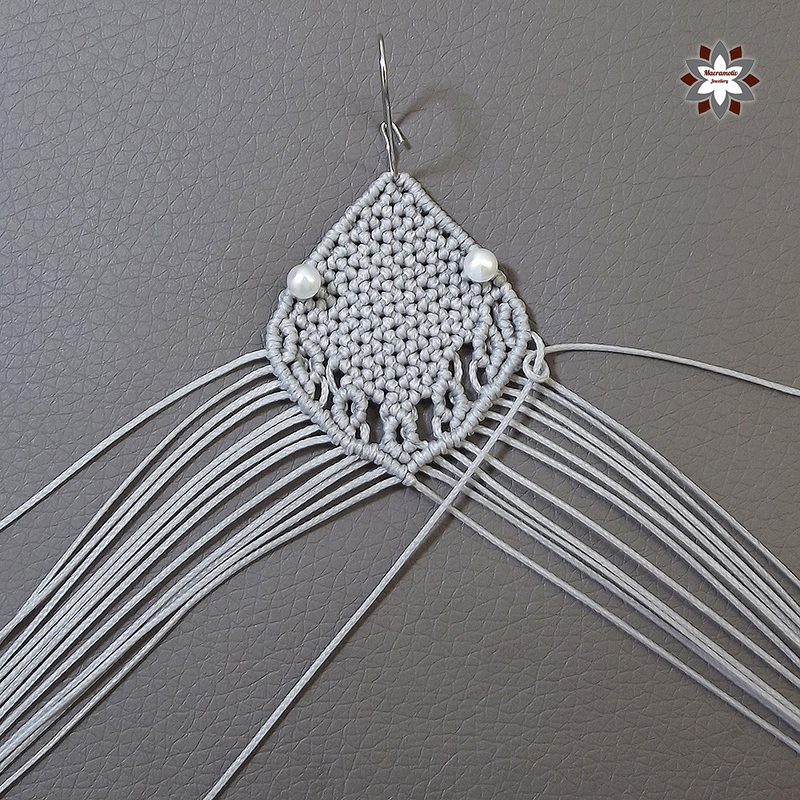 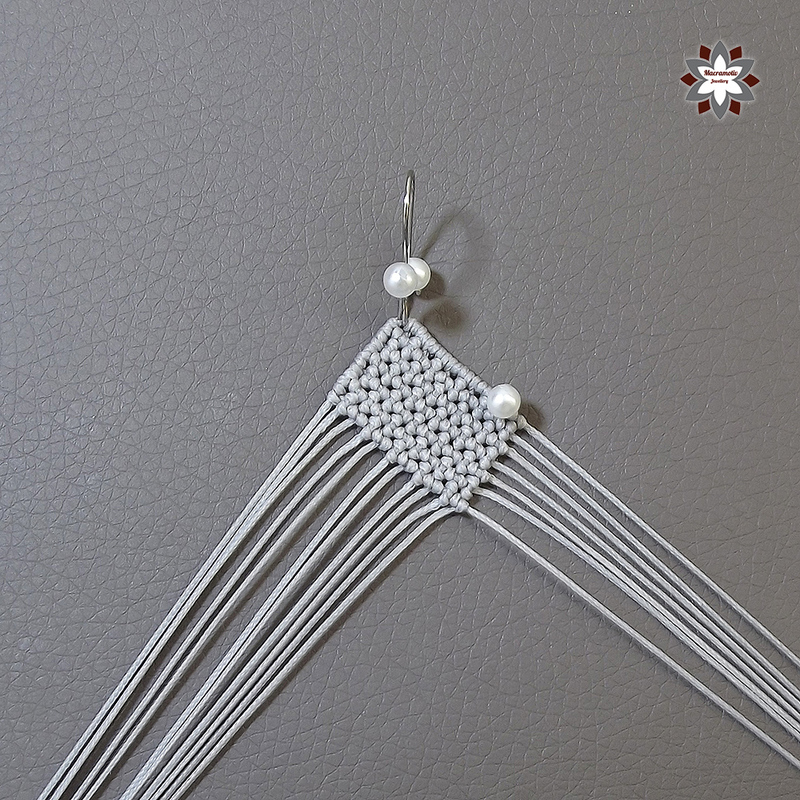 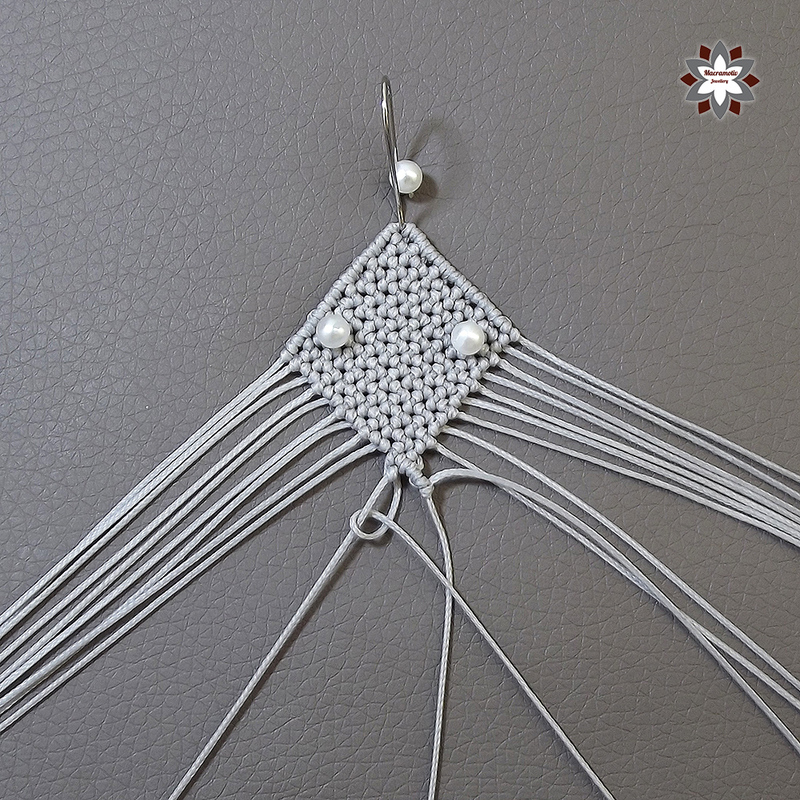 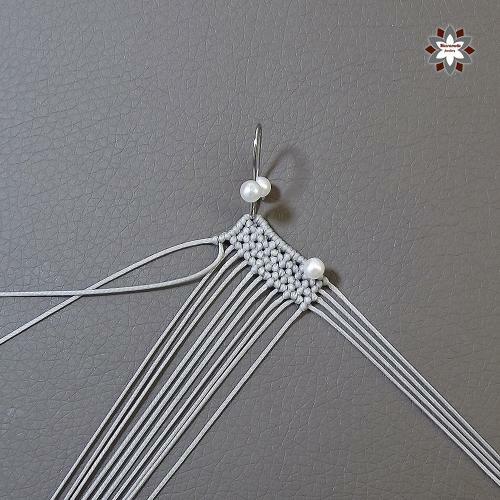 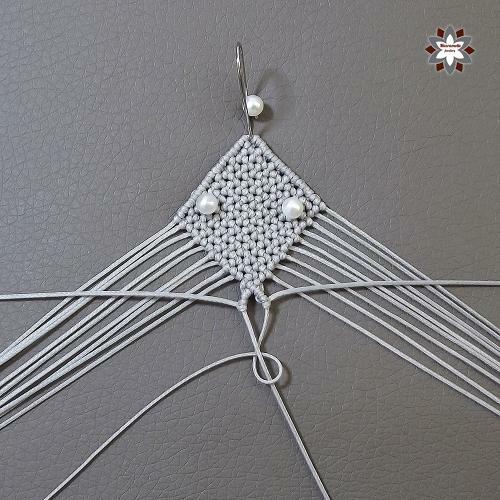 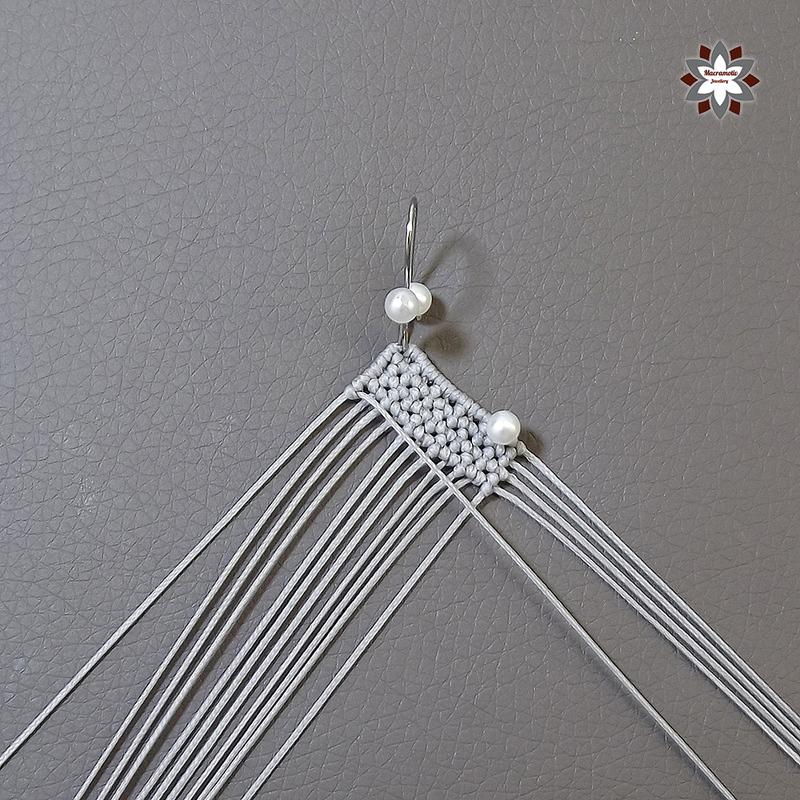 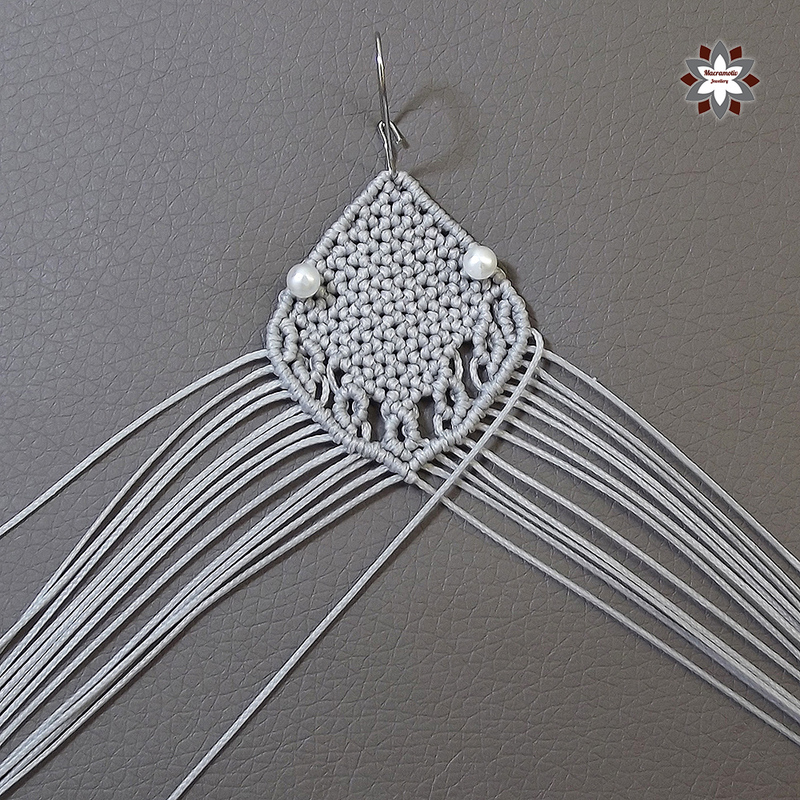 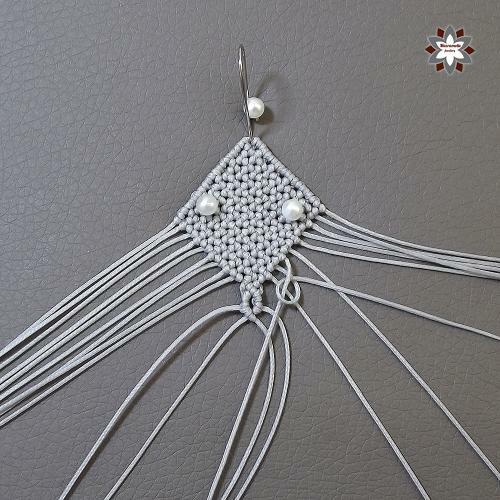 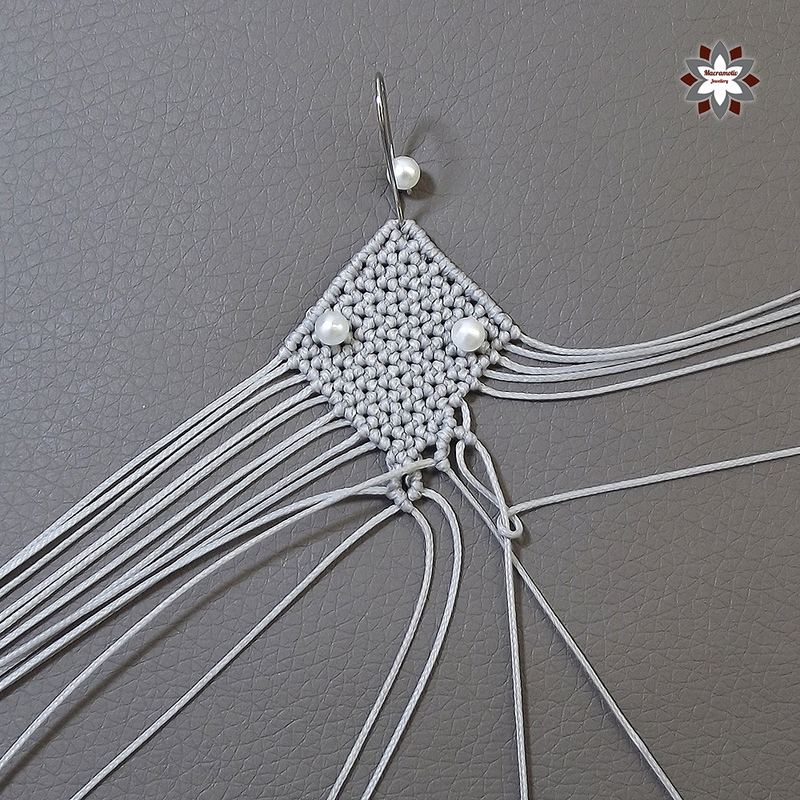 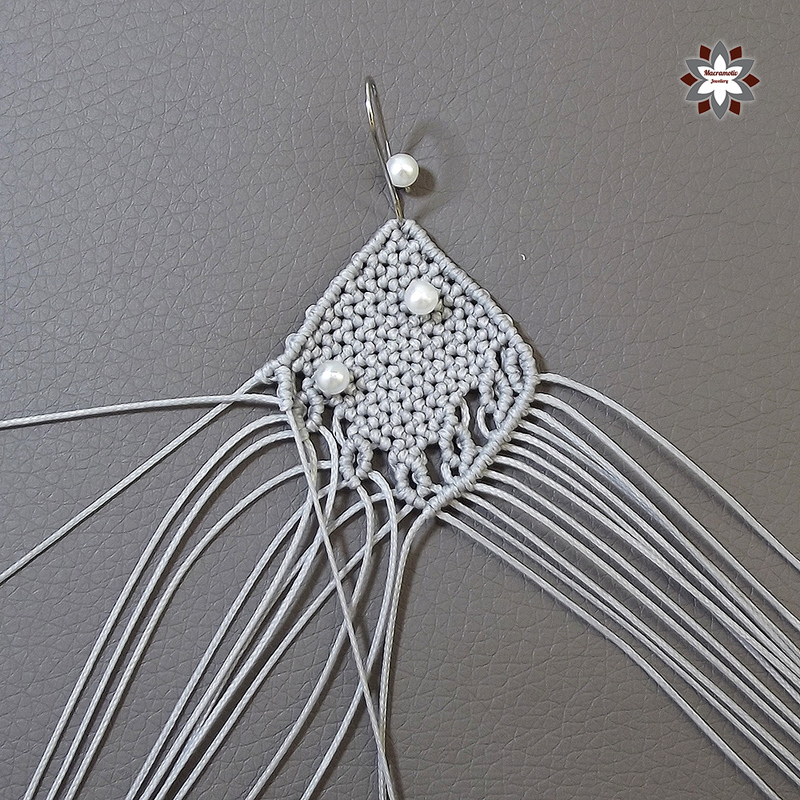 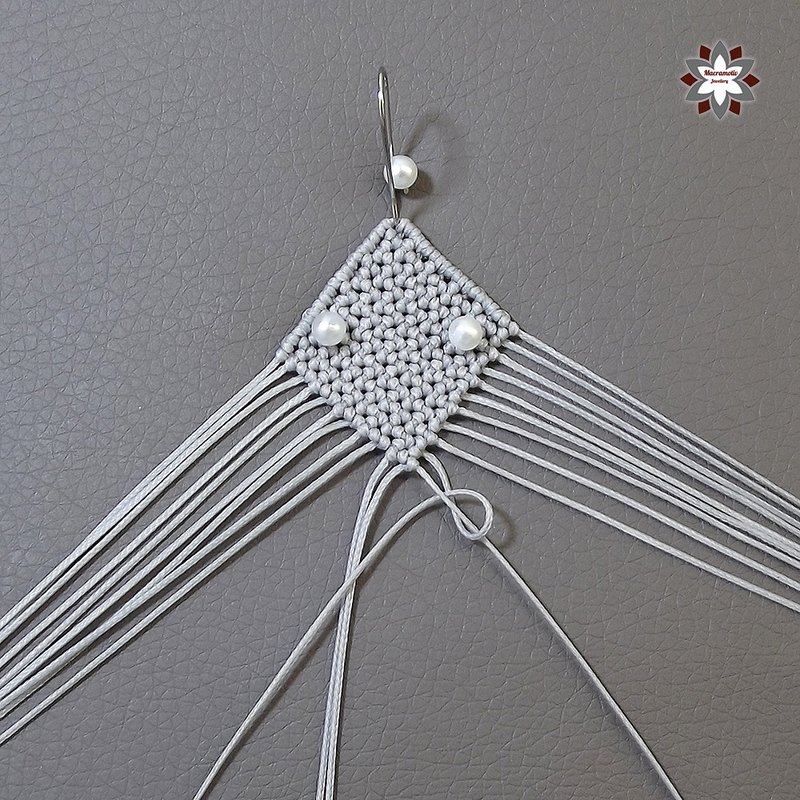 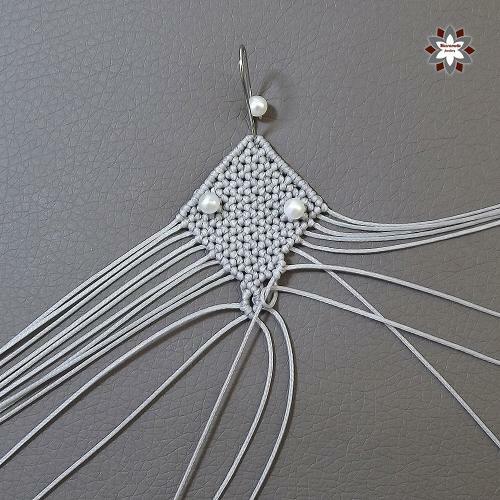 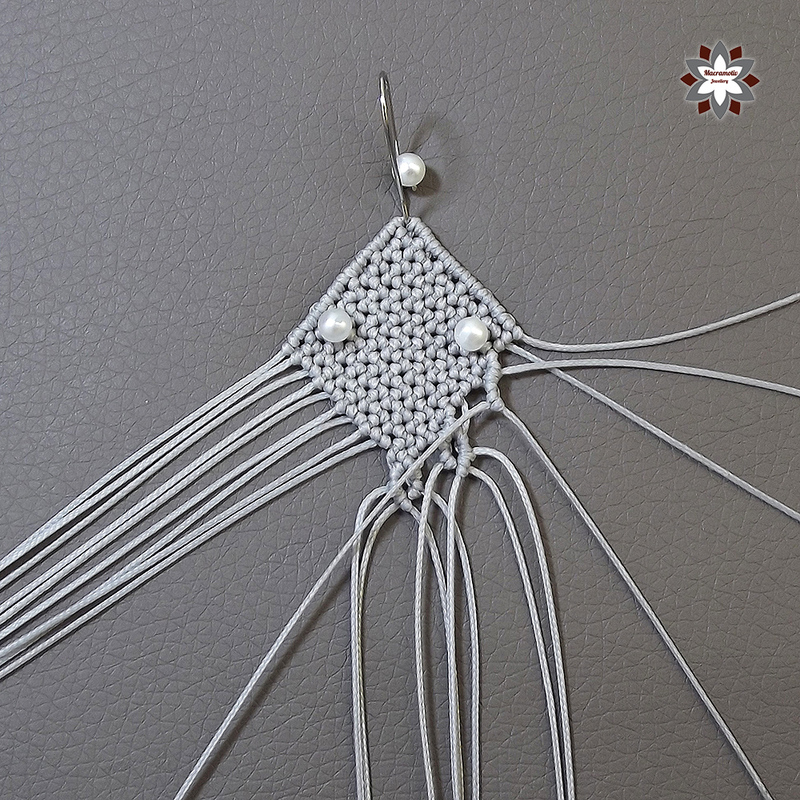 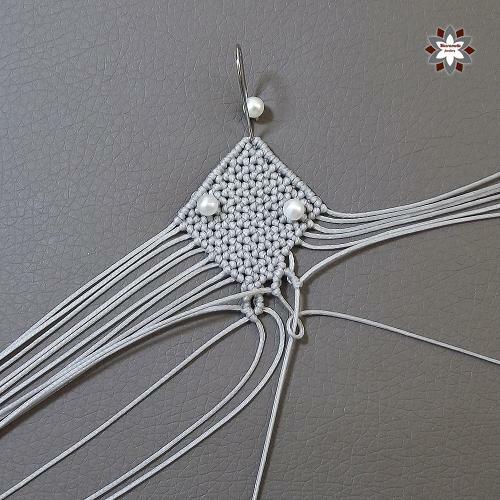 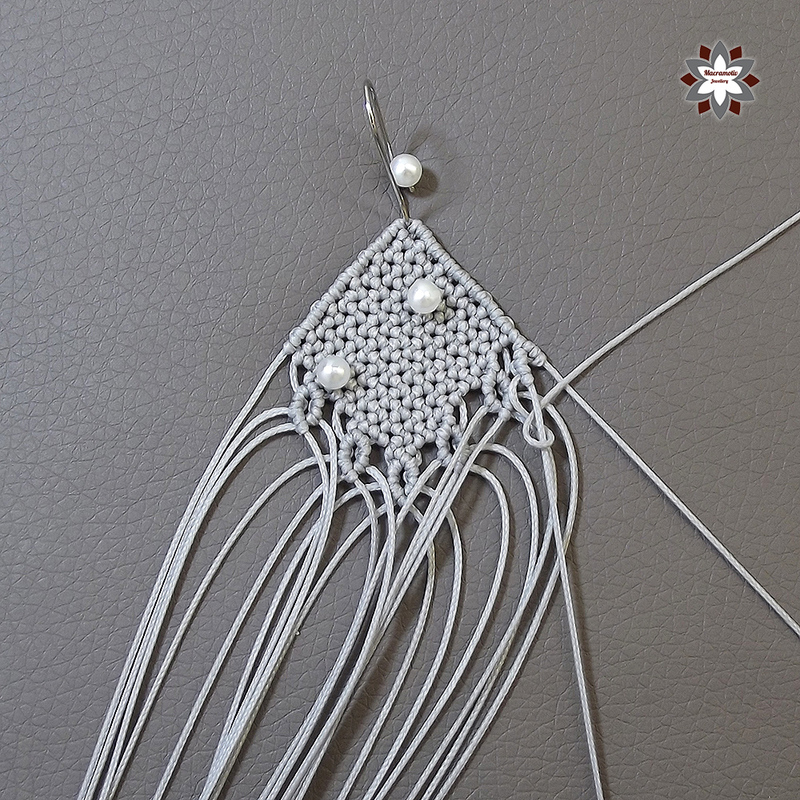 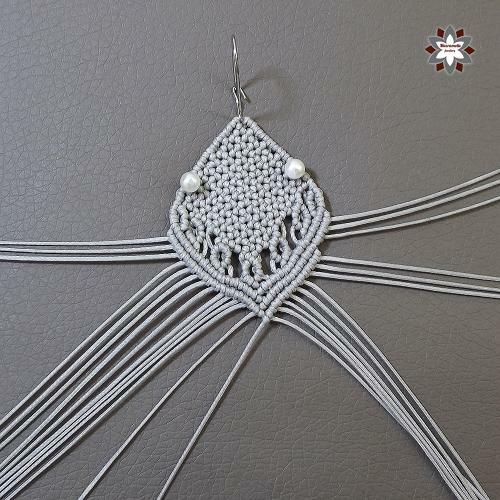 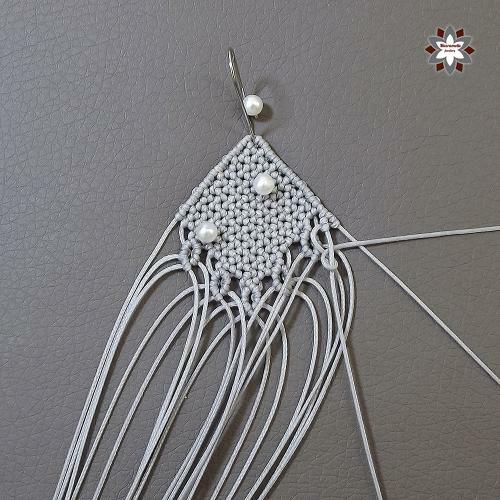 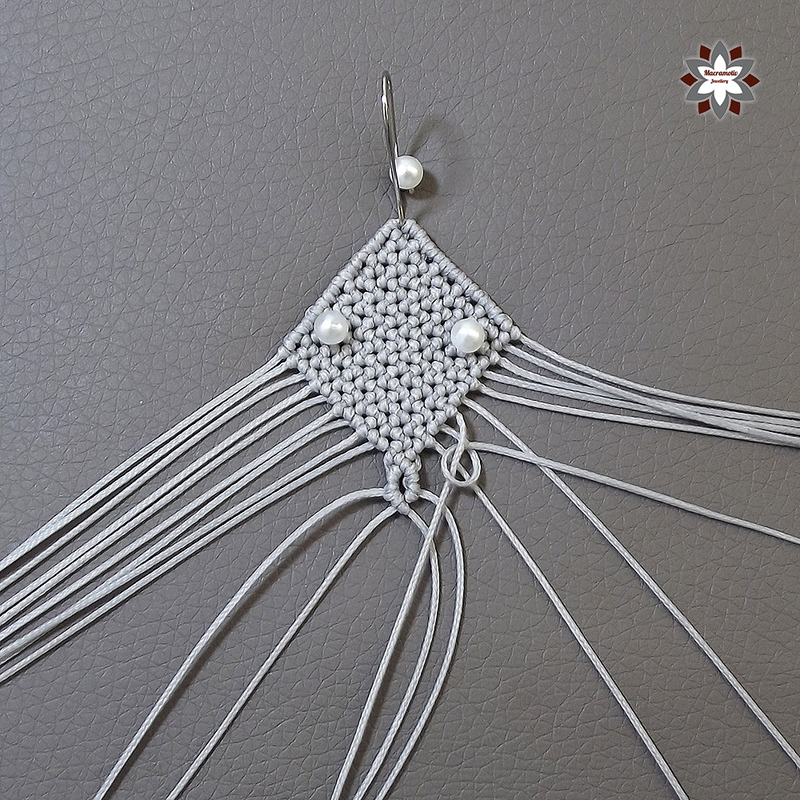 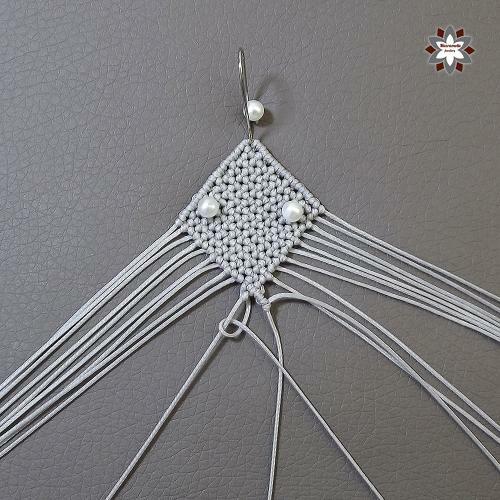 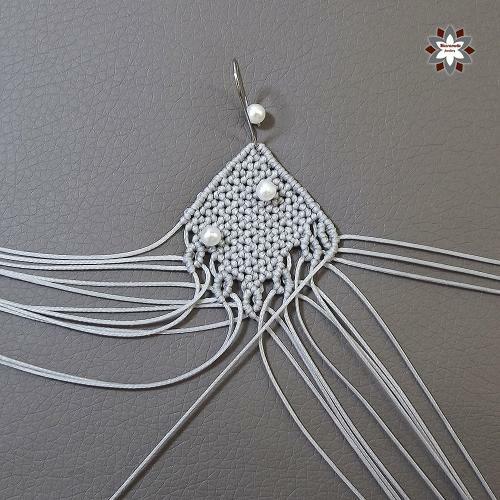 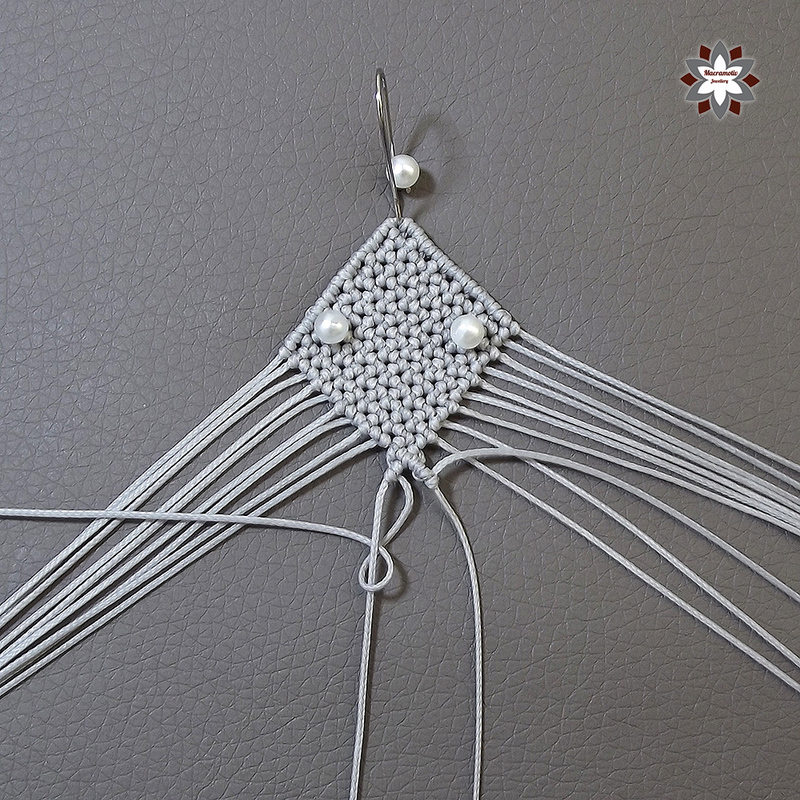 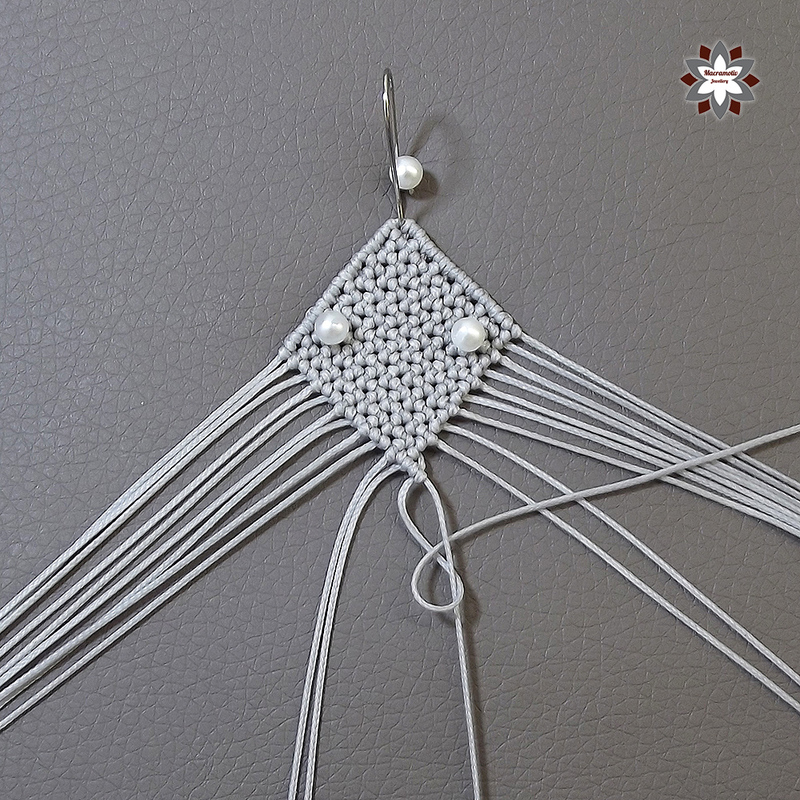 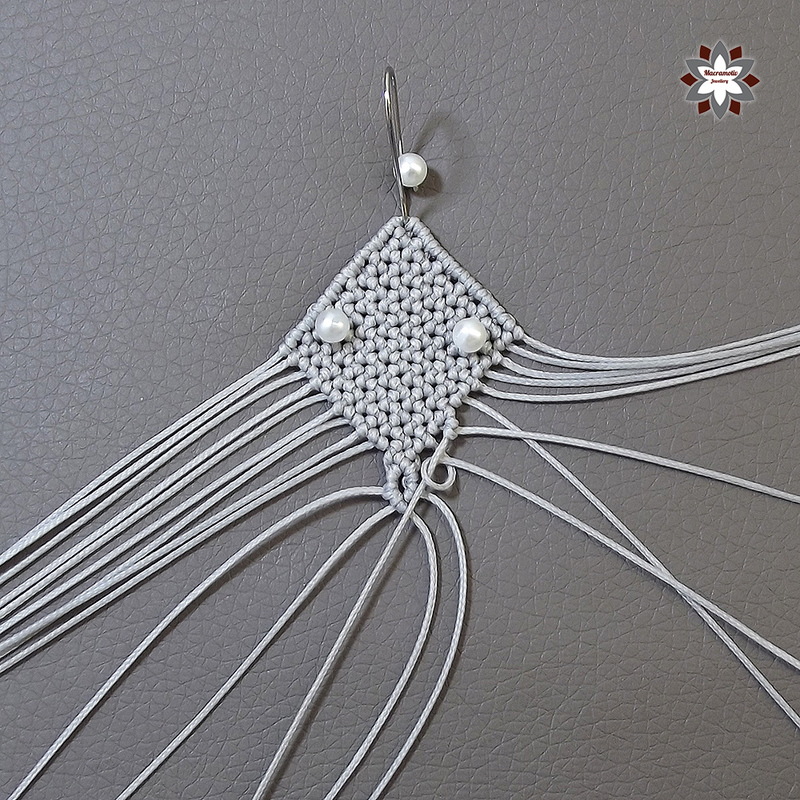 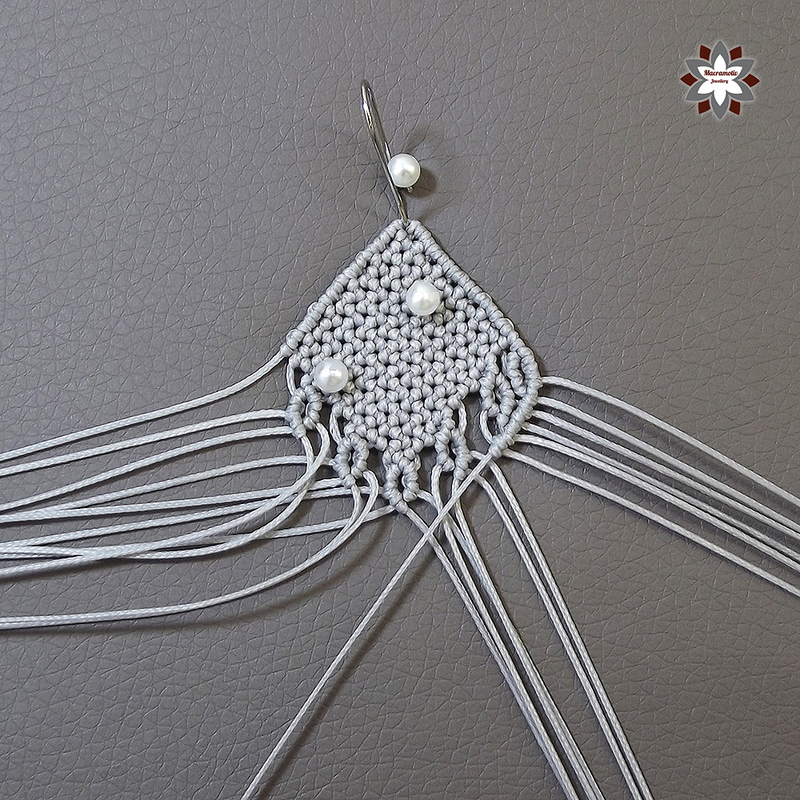 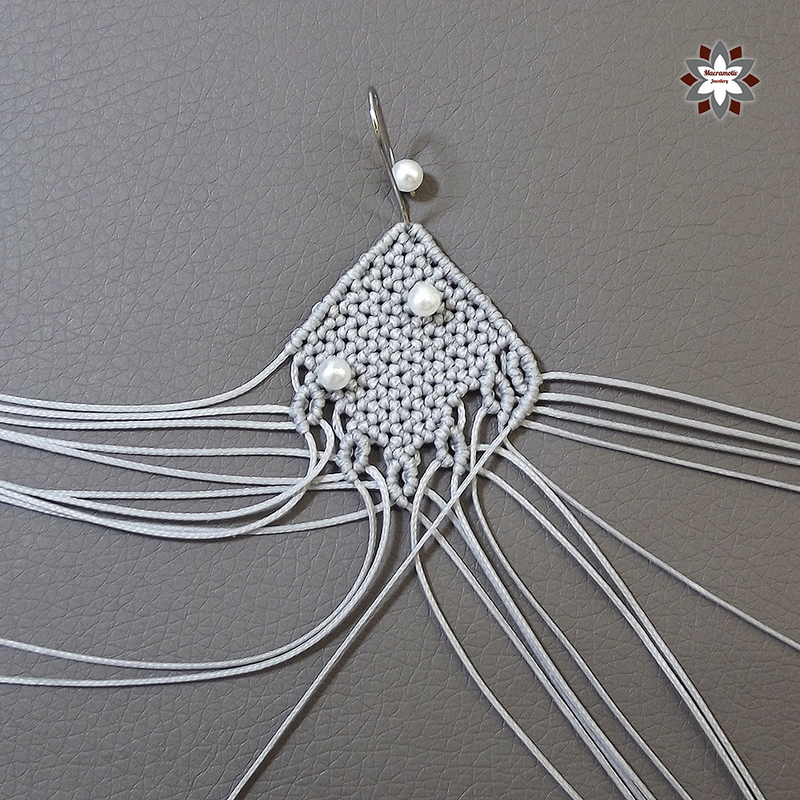 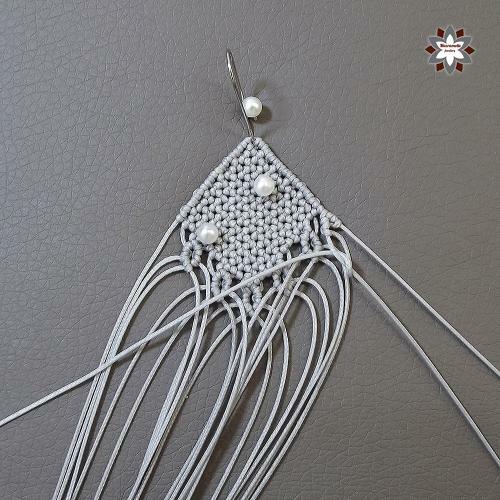 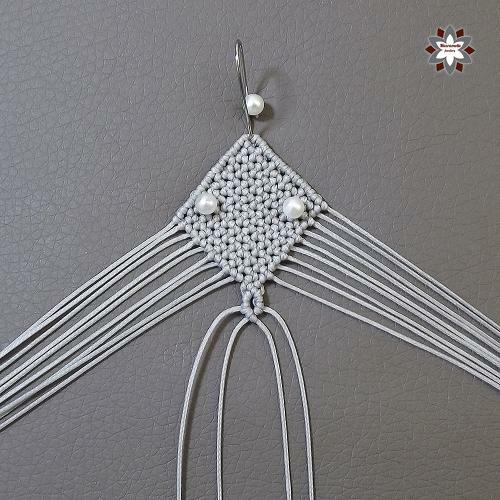 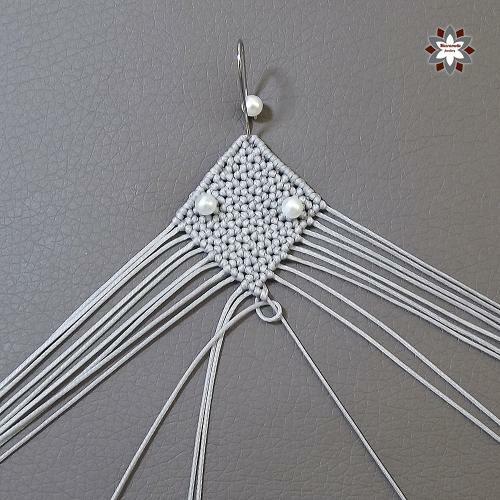 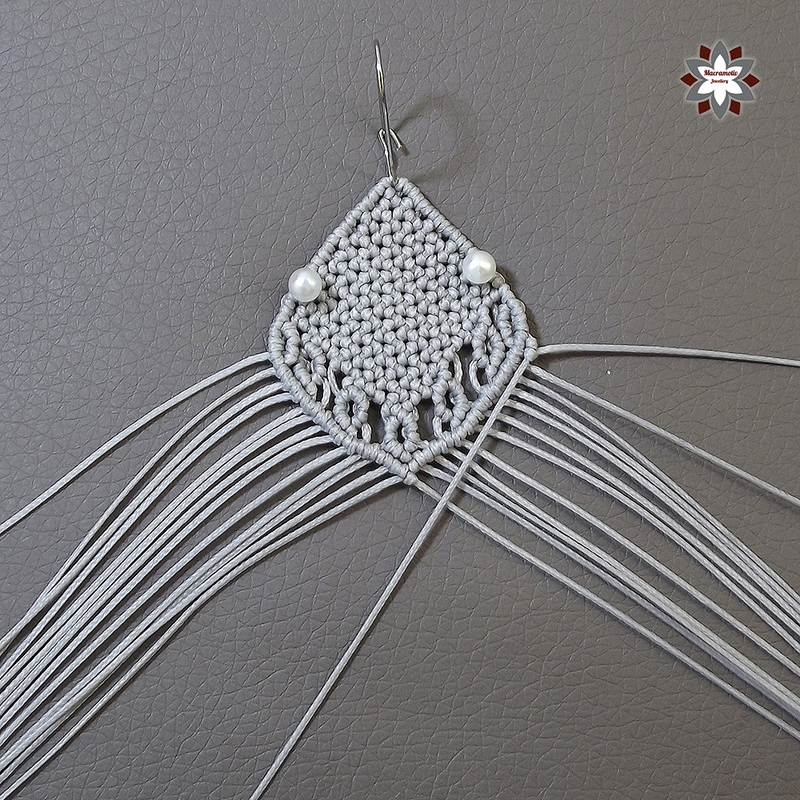 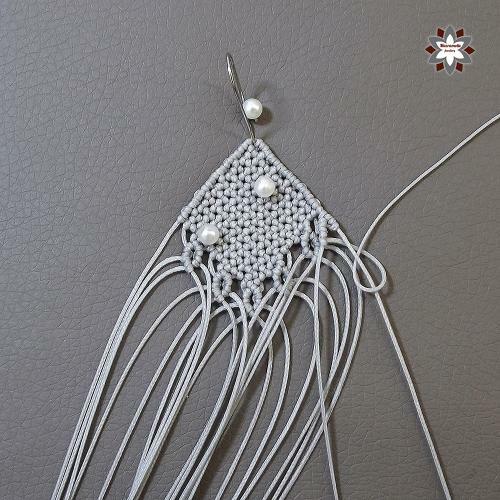 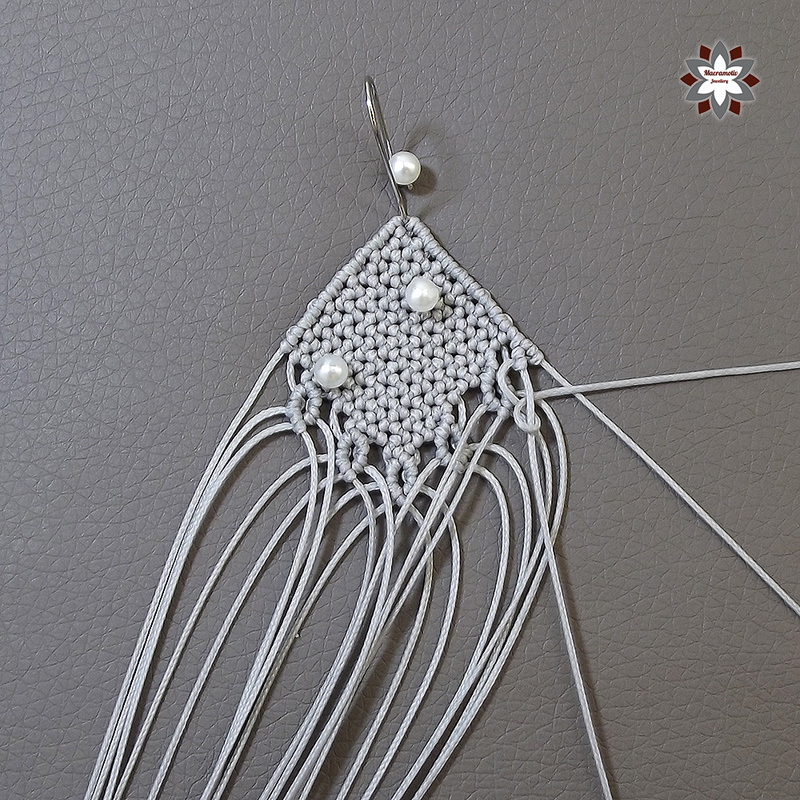 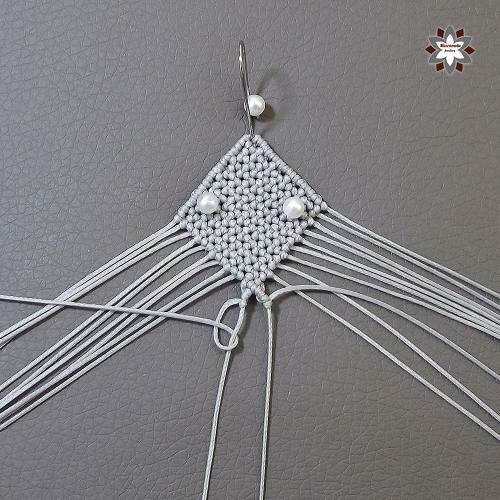 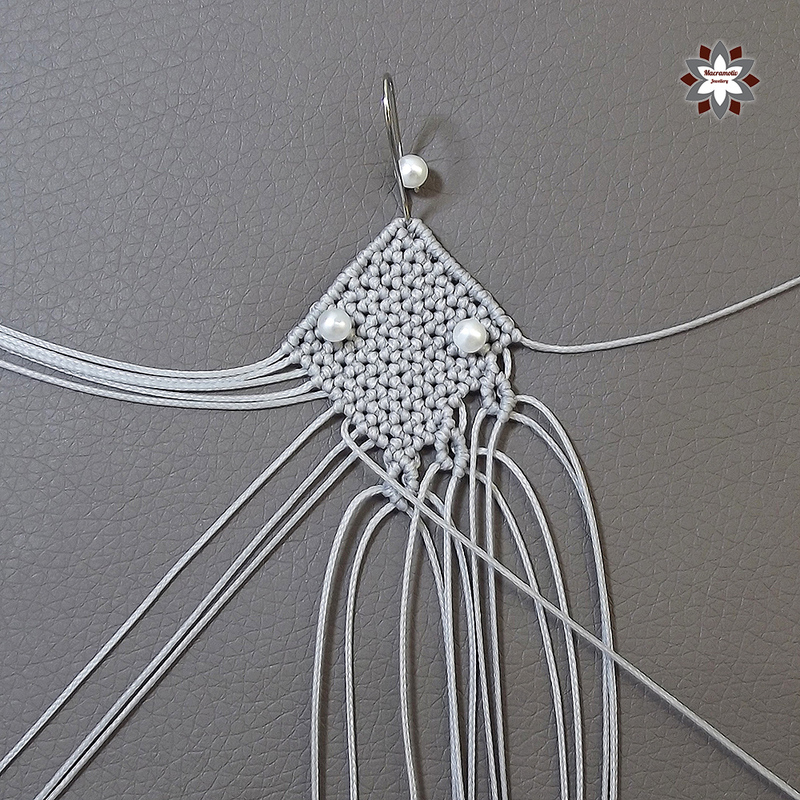 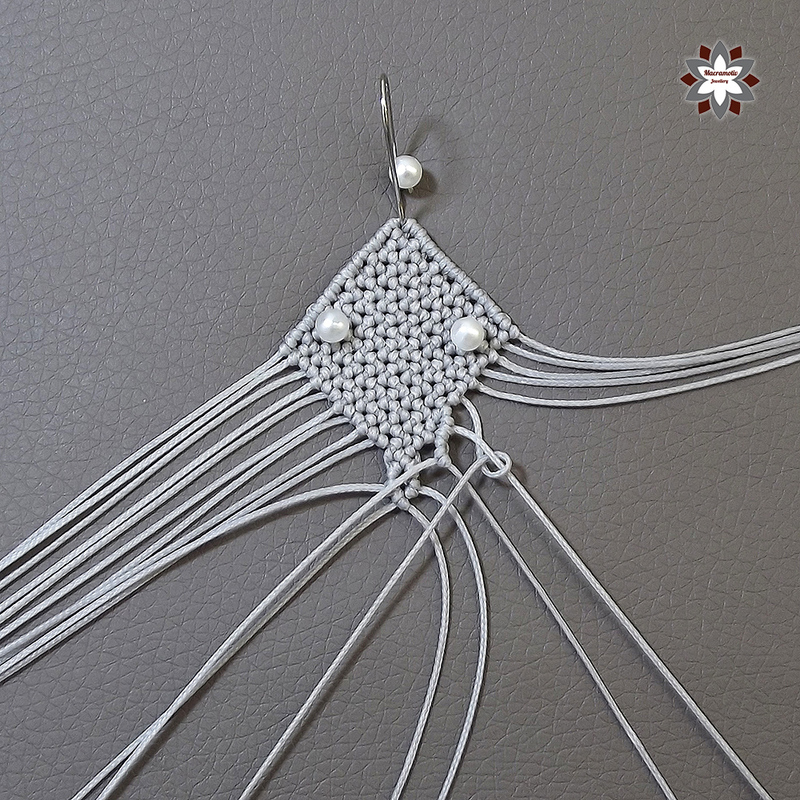 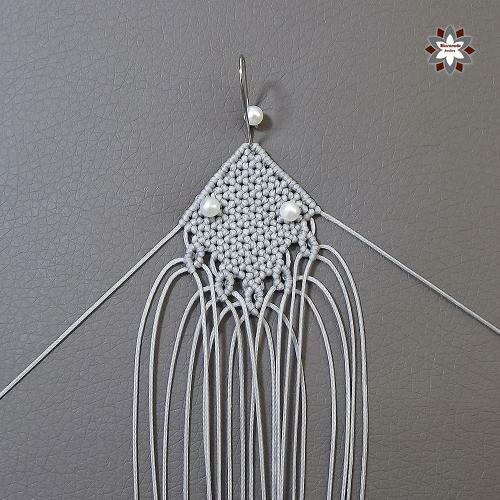 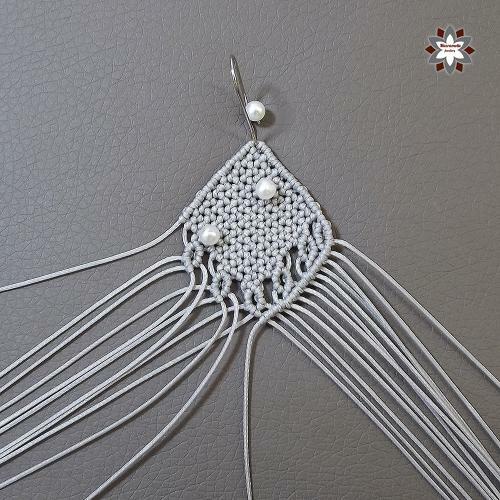 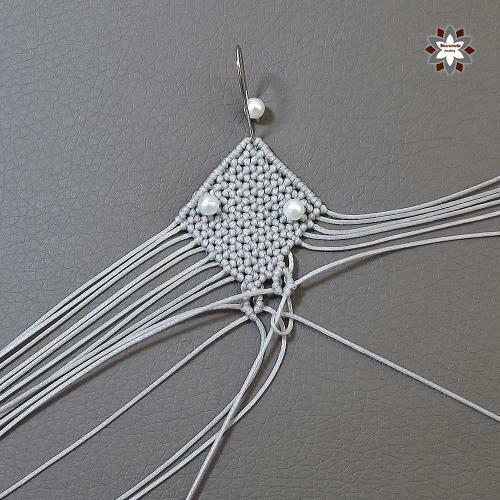 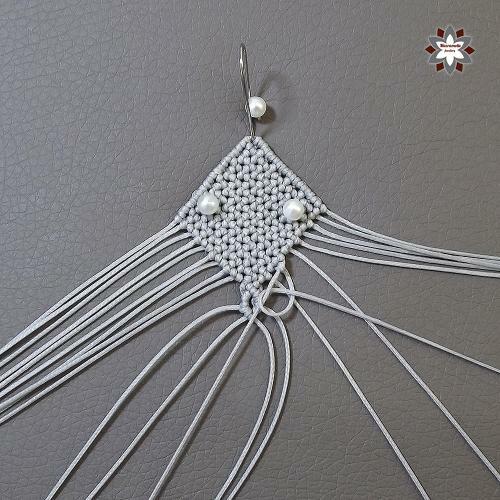 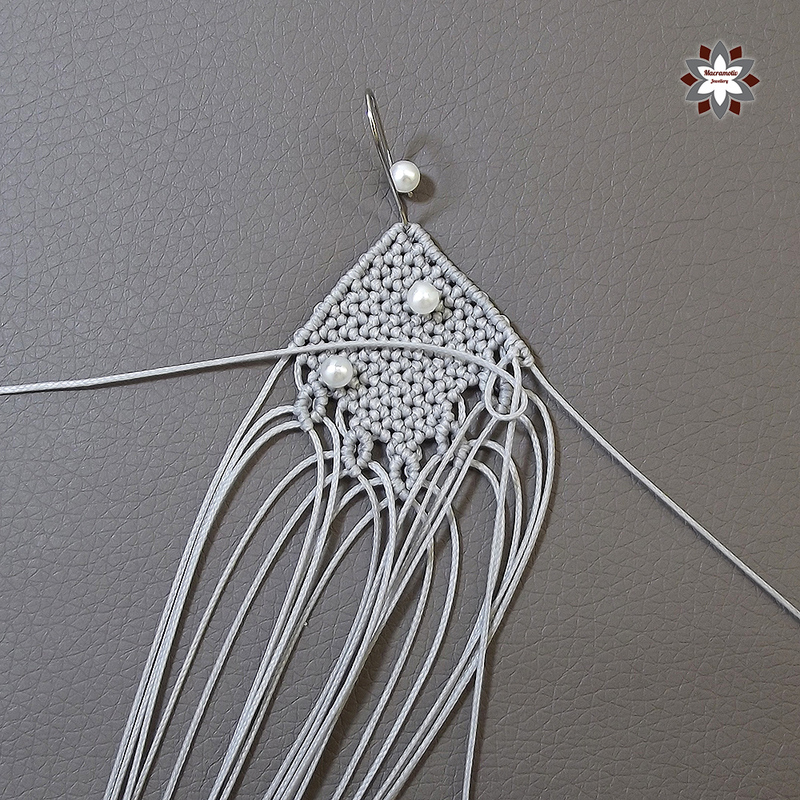 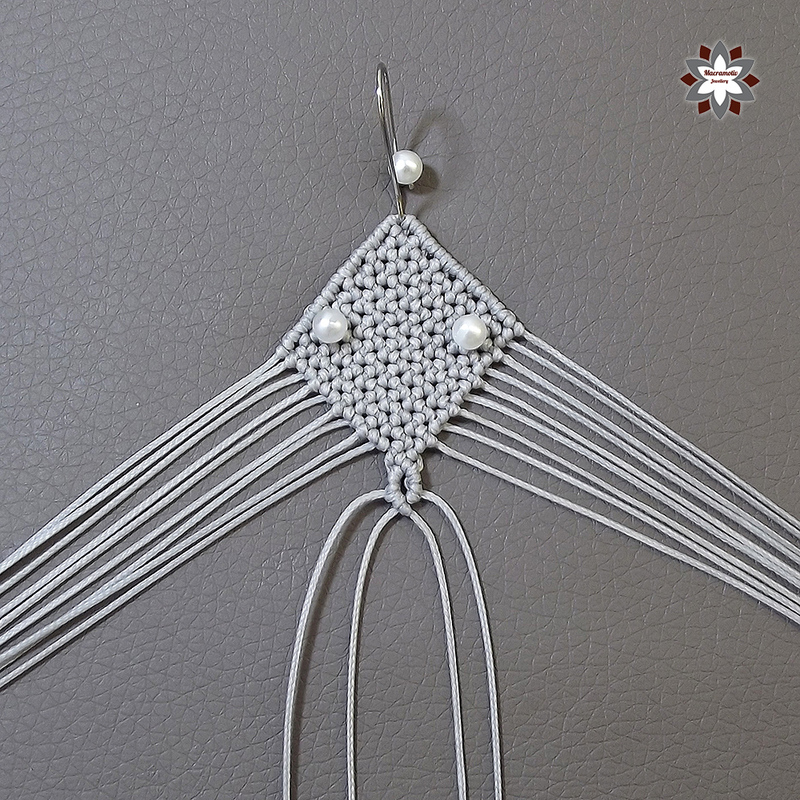 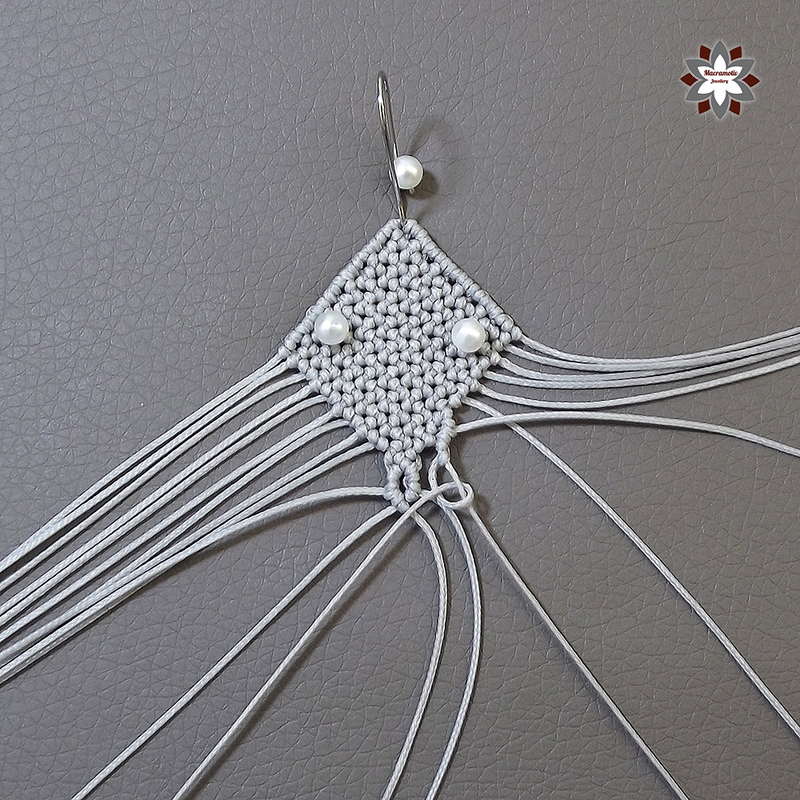 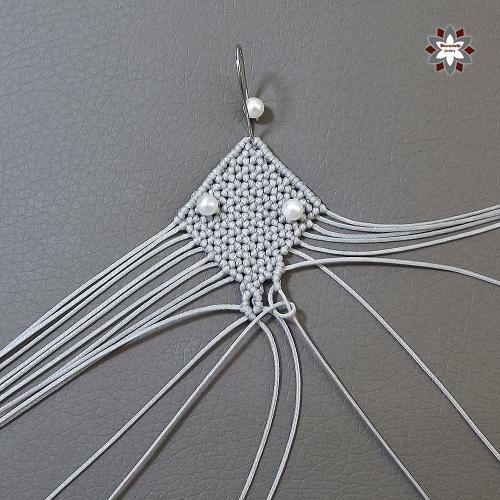 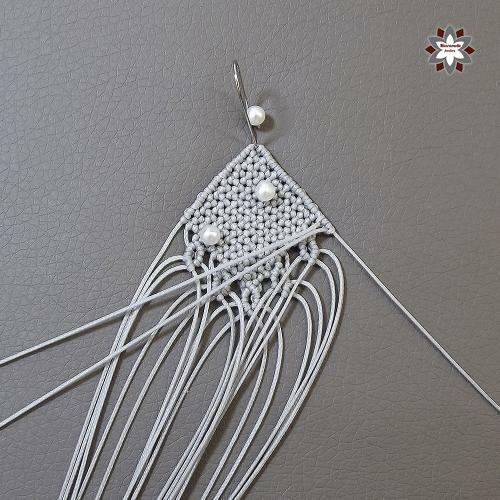 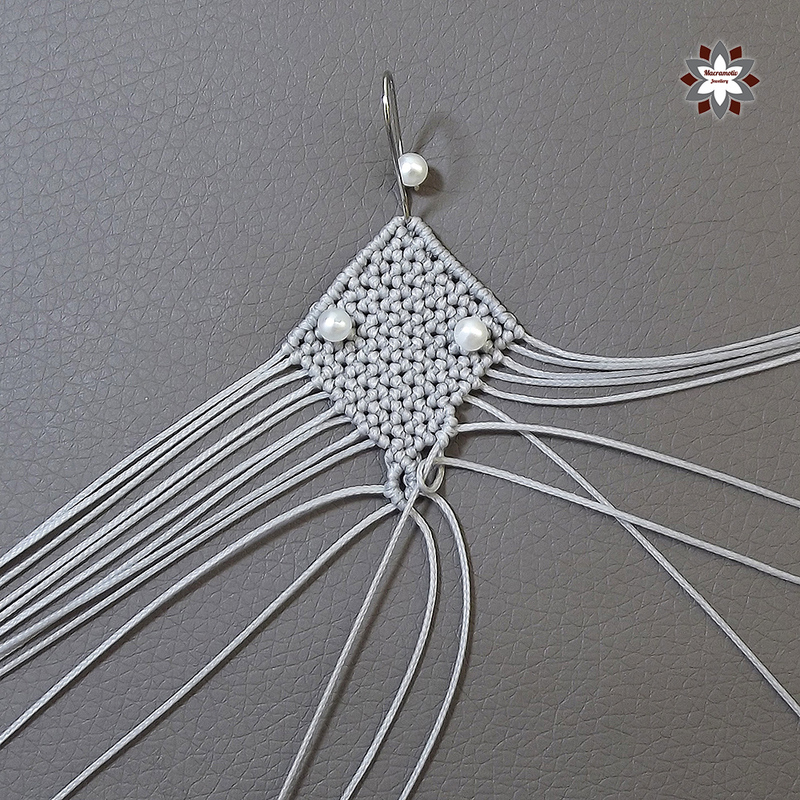 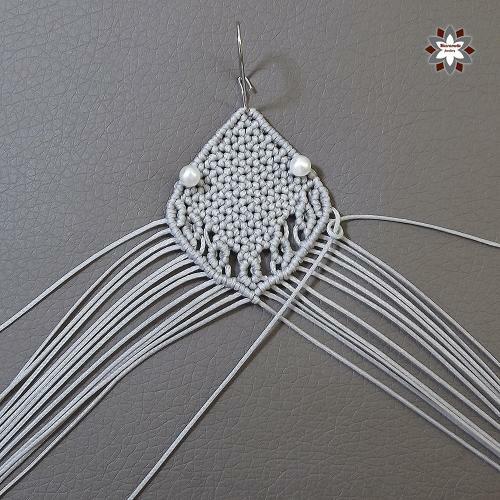 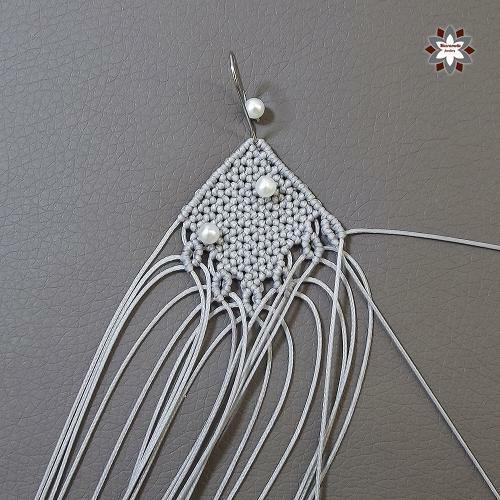 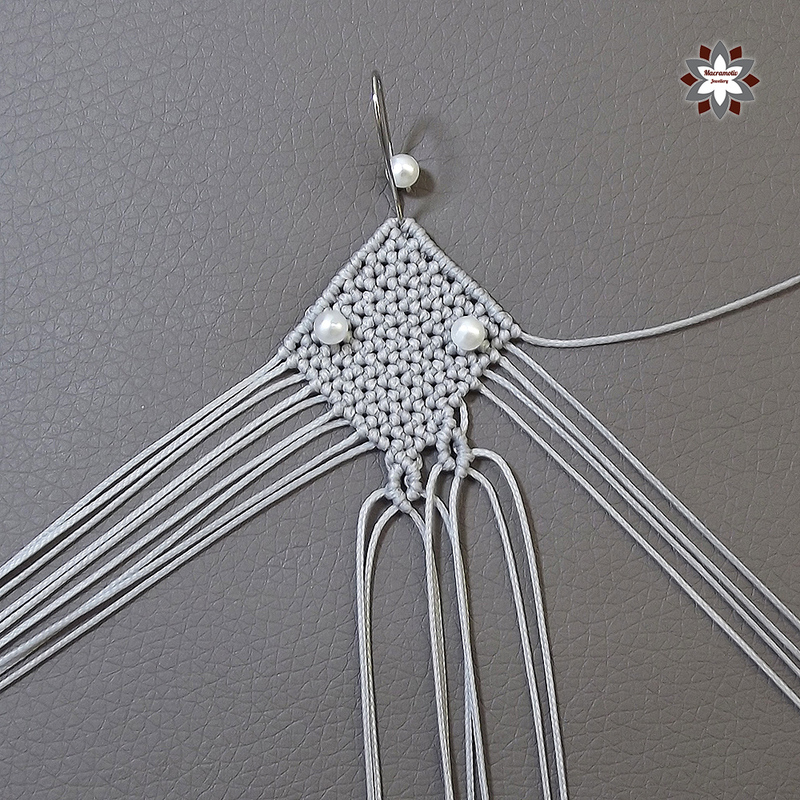 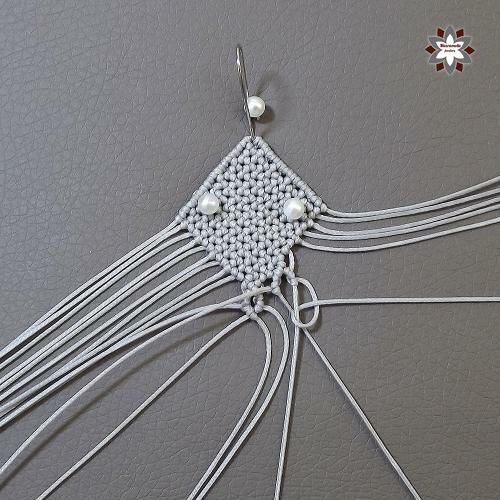 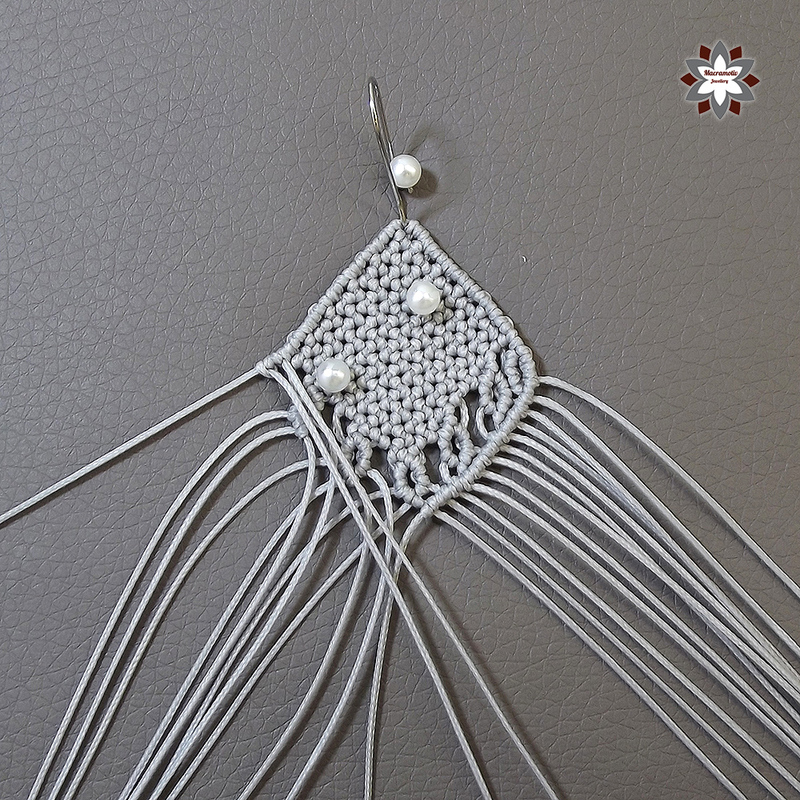 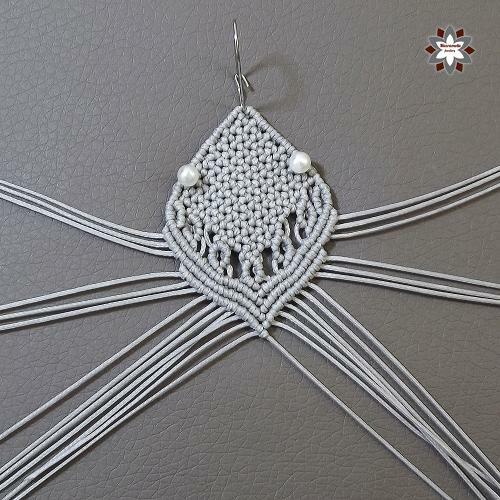 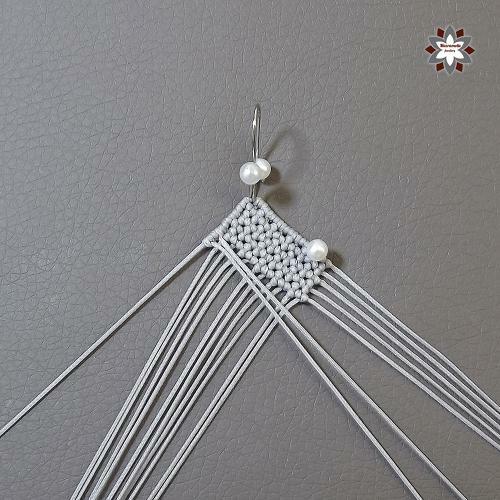 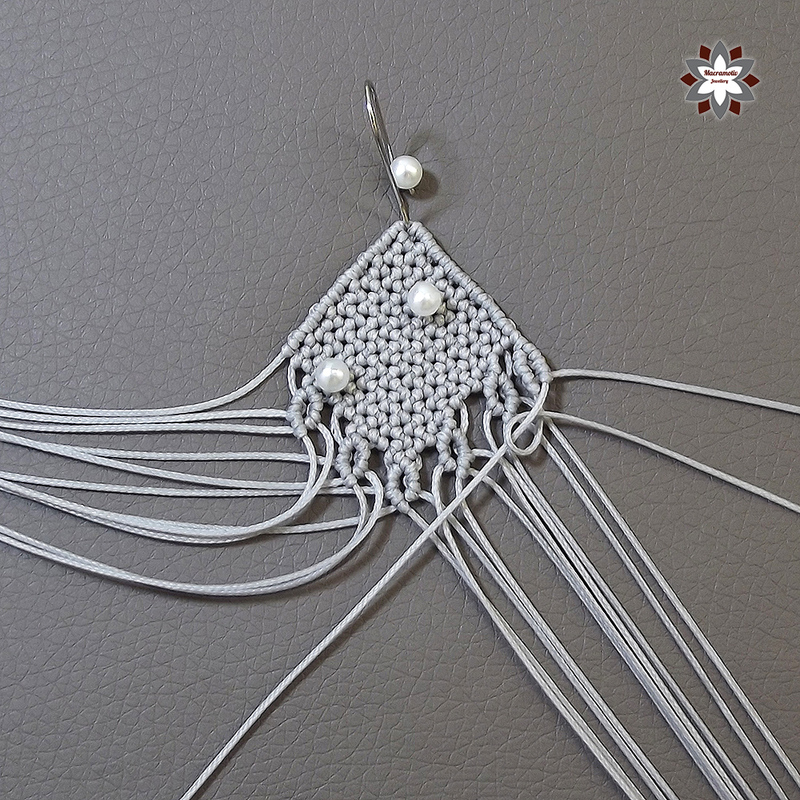 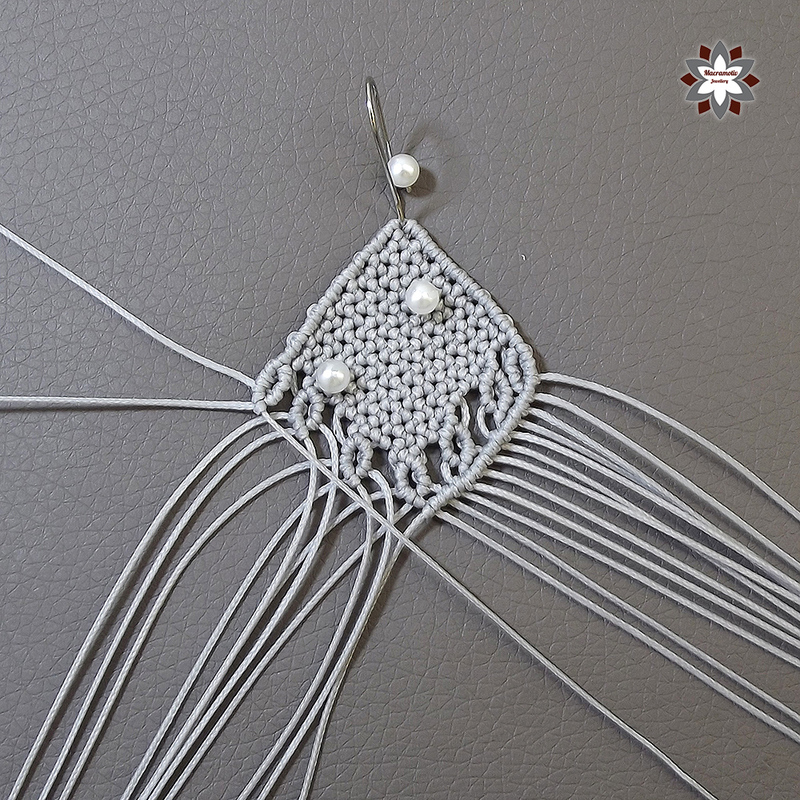 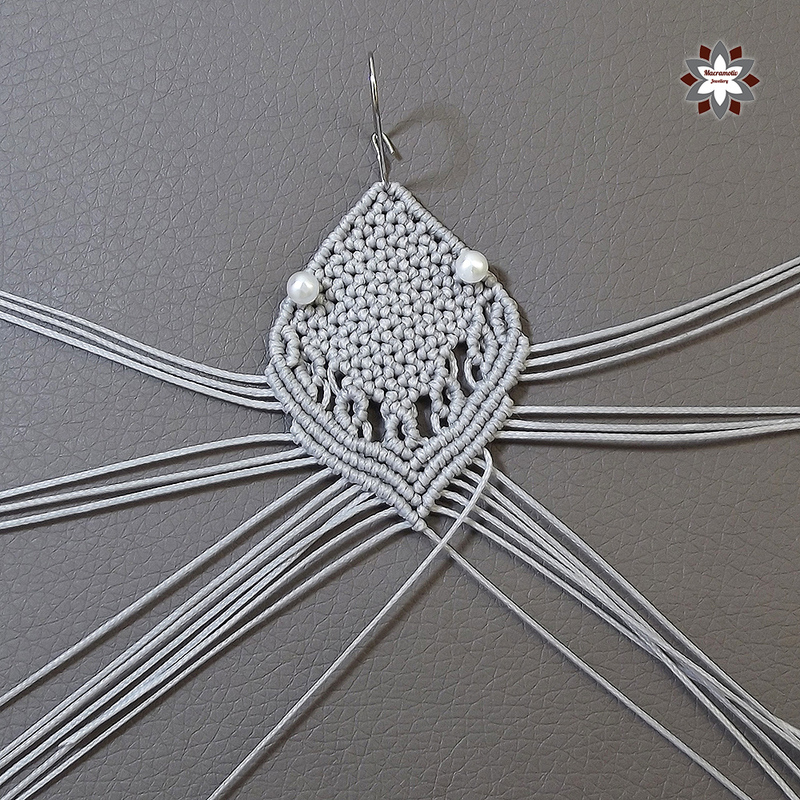 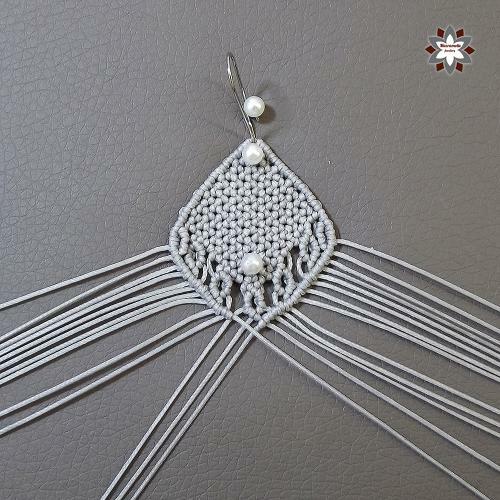 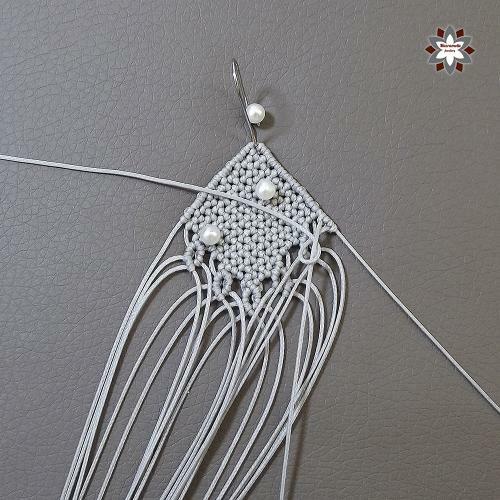 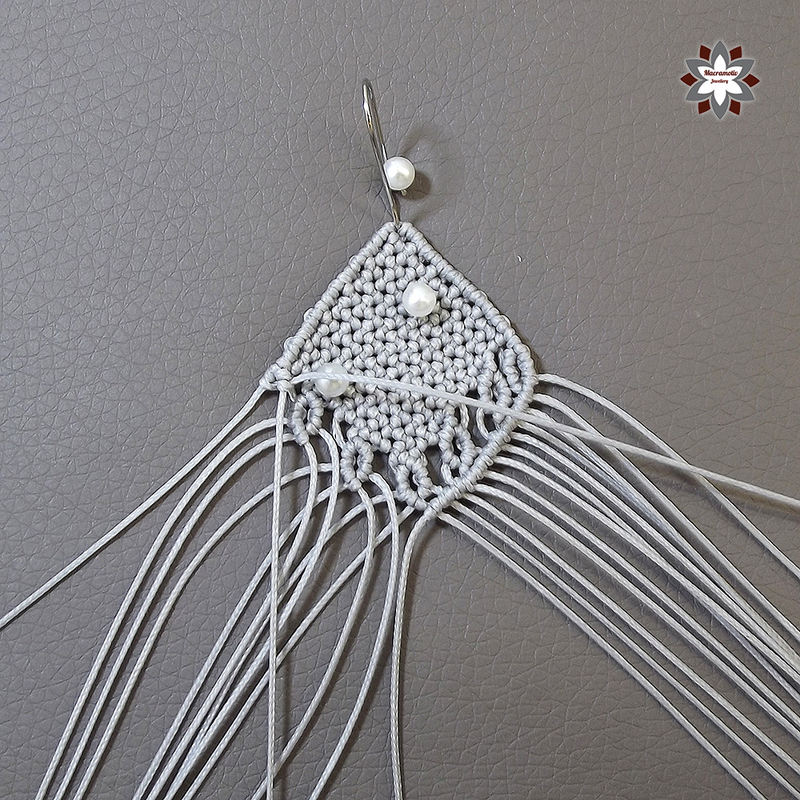 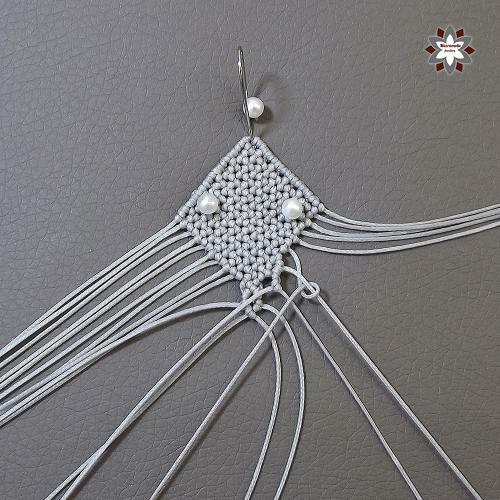 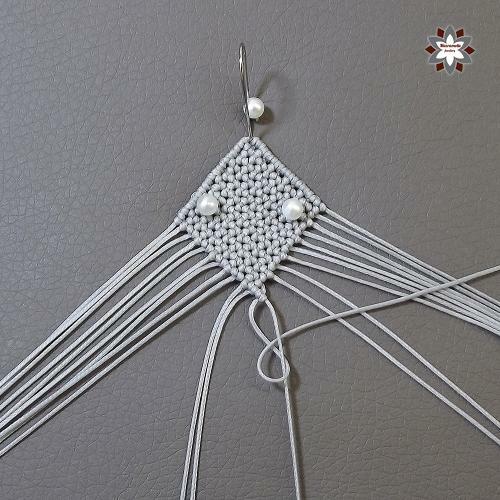 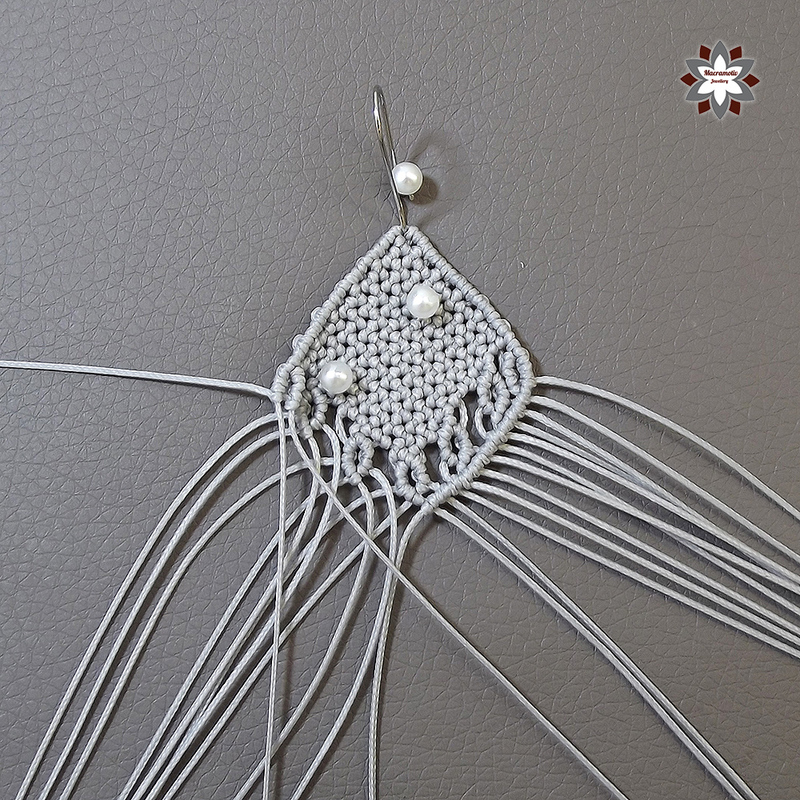 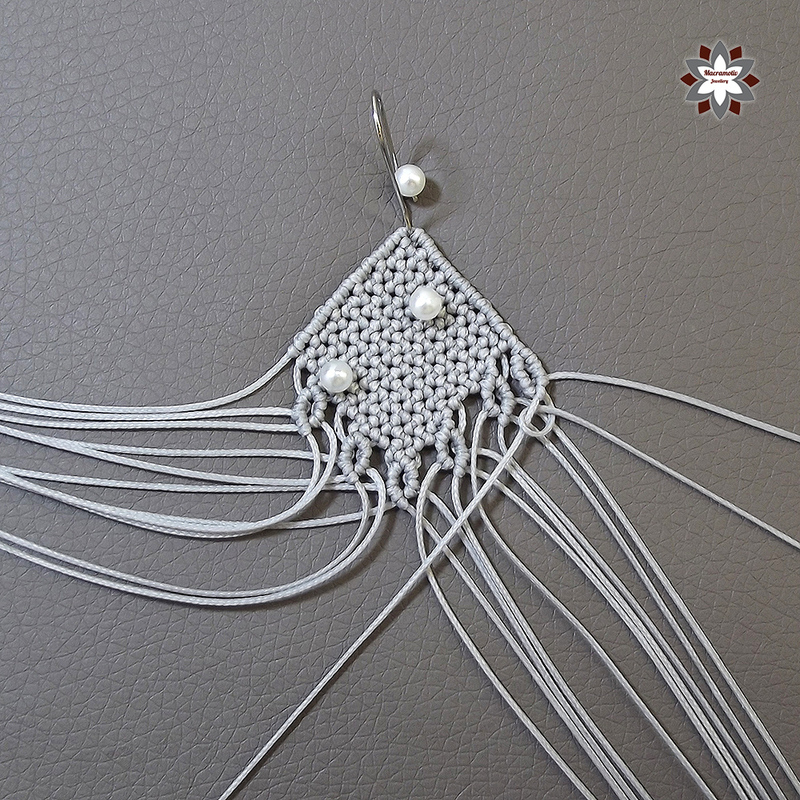 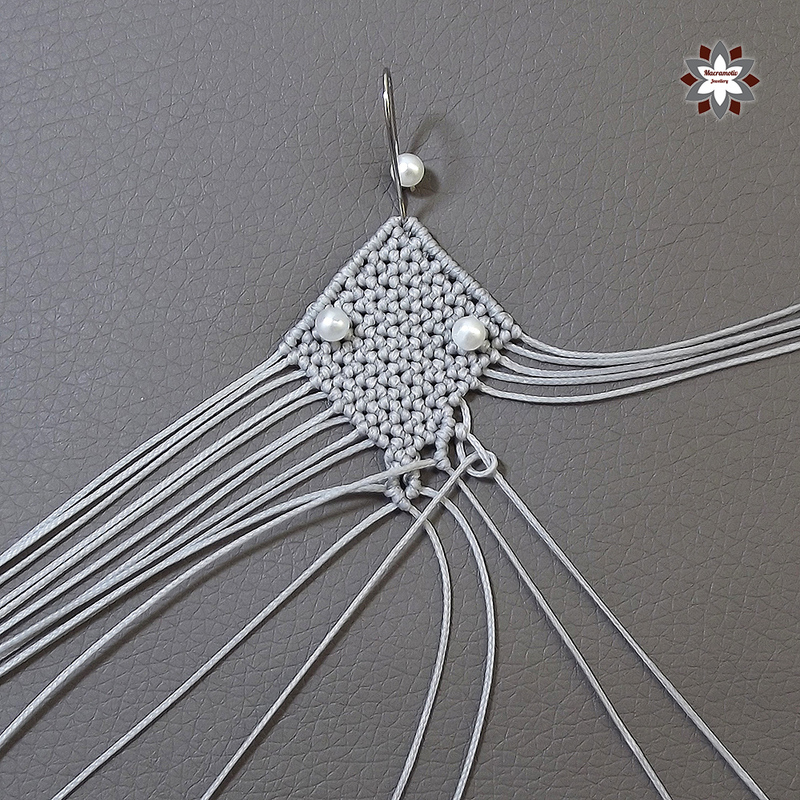 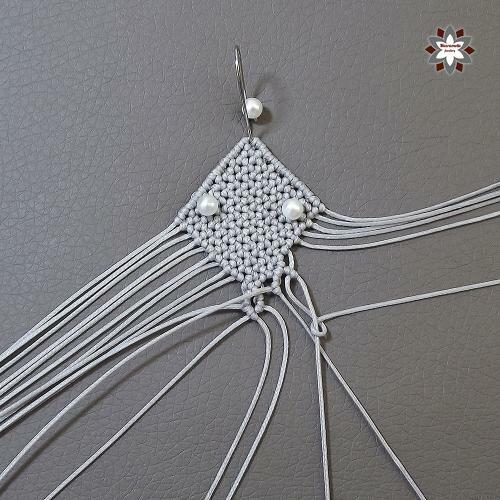 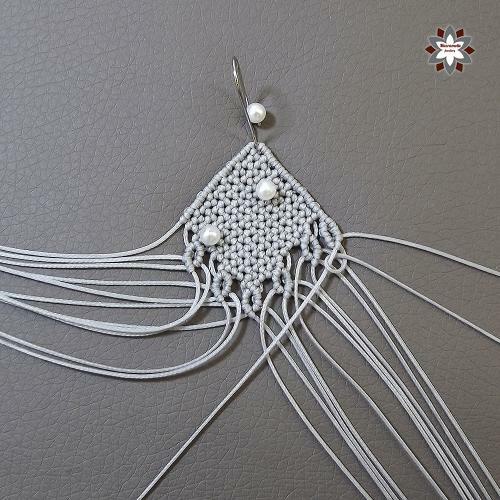 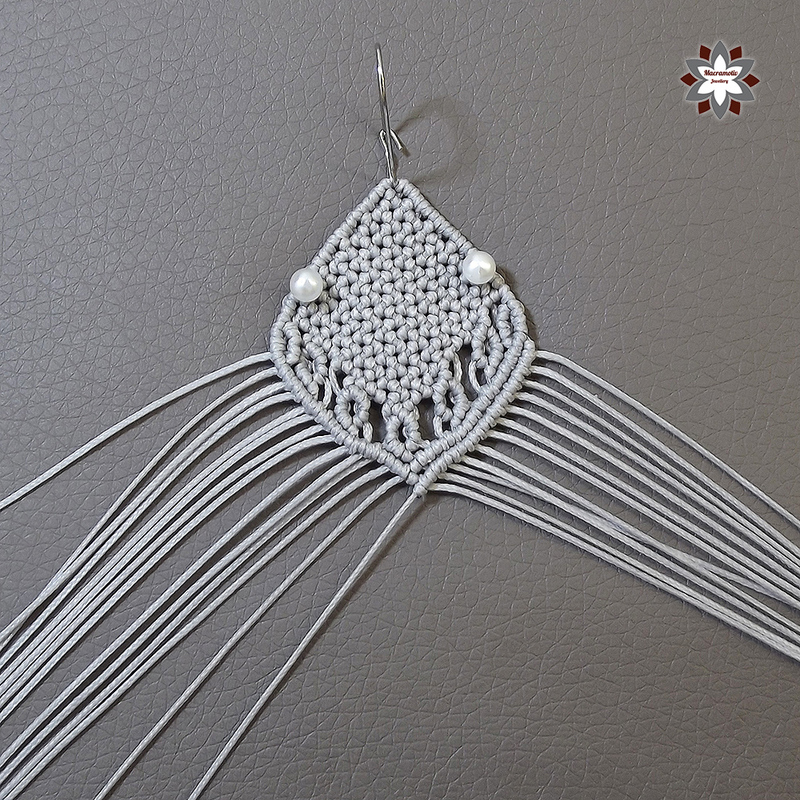 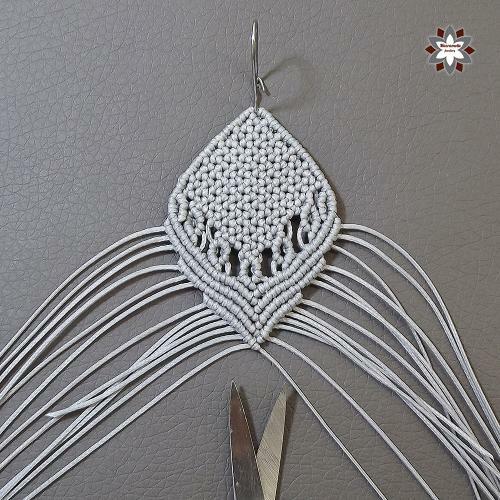 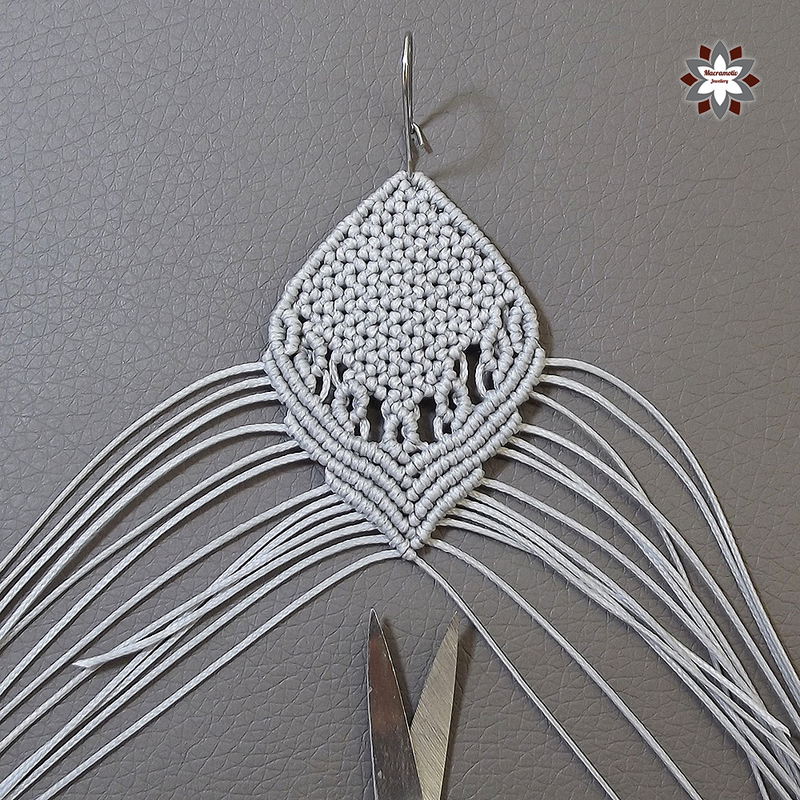 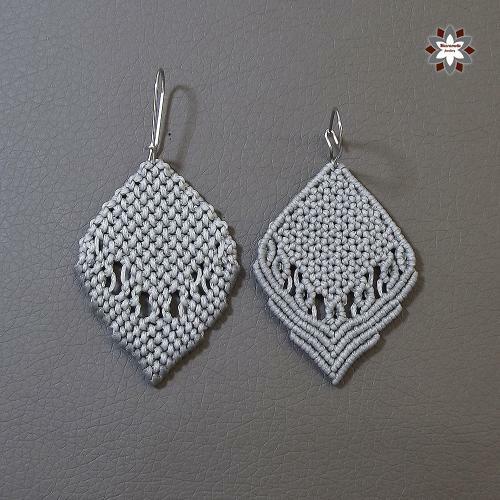 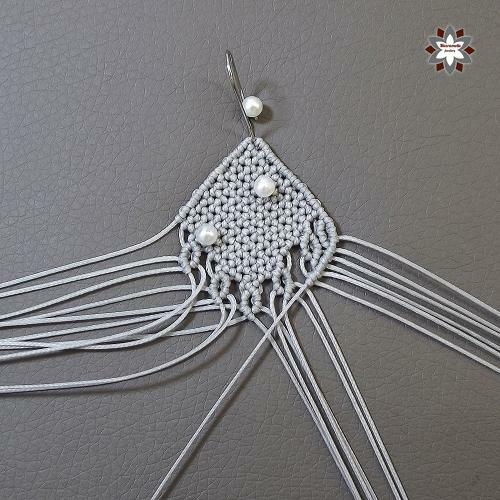 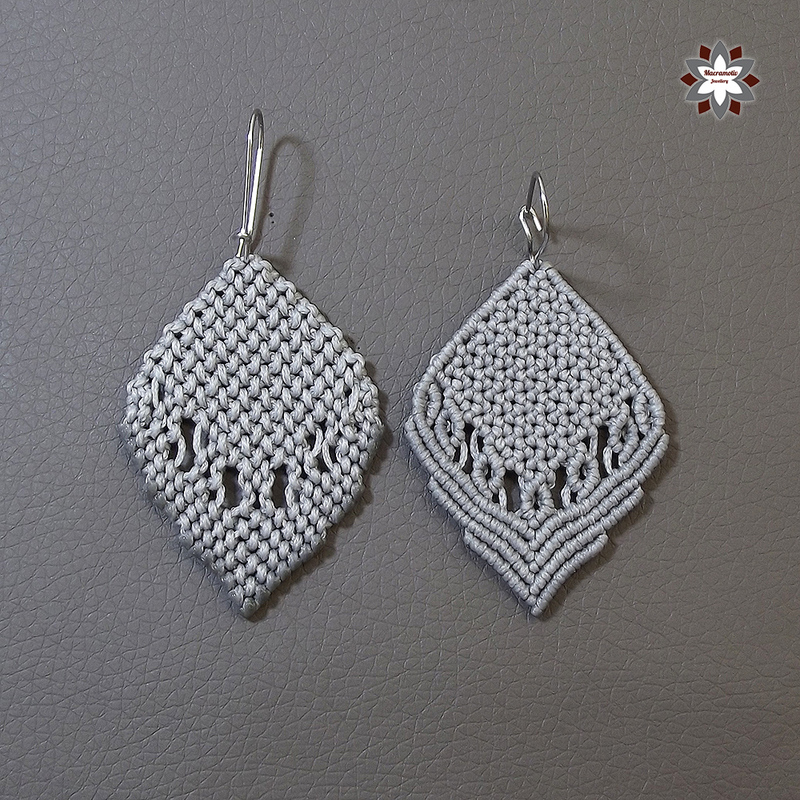 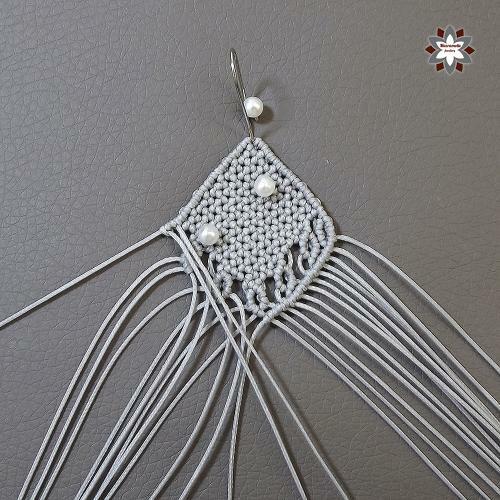 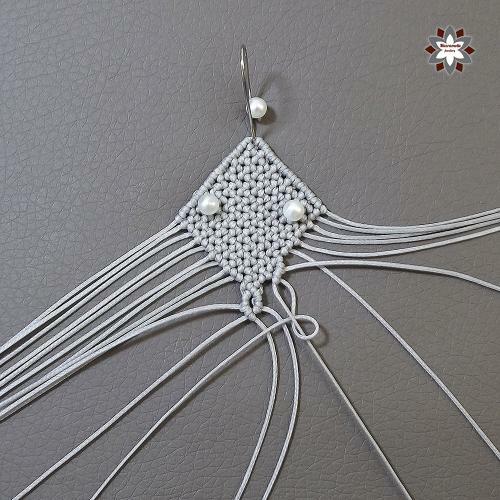 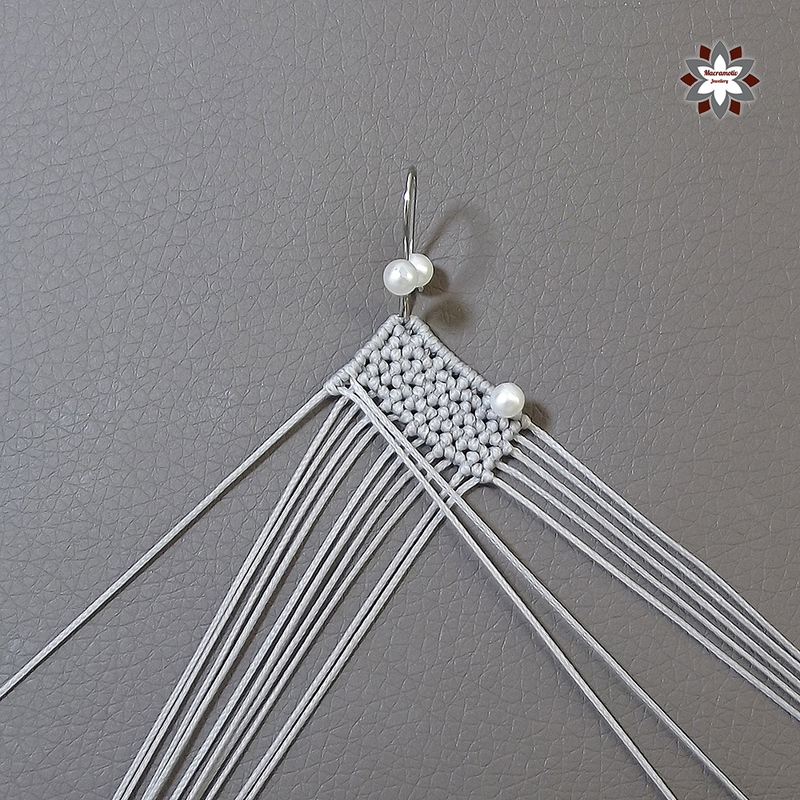 I am new to macramé (actually I was quite good at it at school but it is almost 30 years ago) and I really wanted to try out this project. 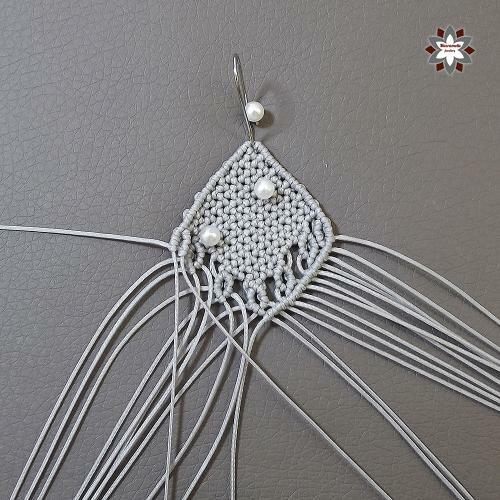 I started yesterday but I wasn’t happy with the result. 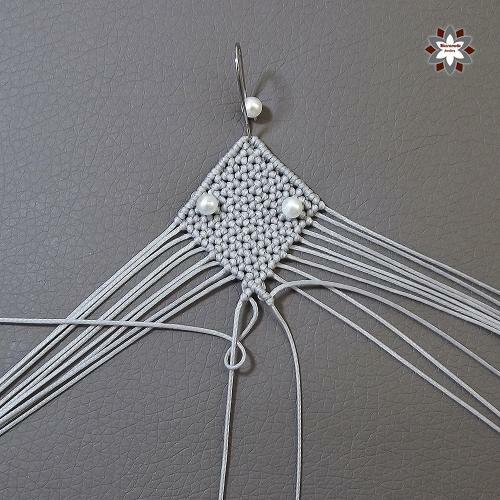 I gave up and looked at the project today morning with a fresh eye and saw what was the mistake I had made. 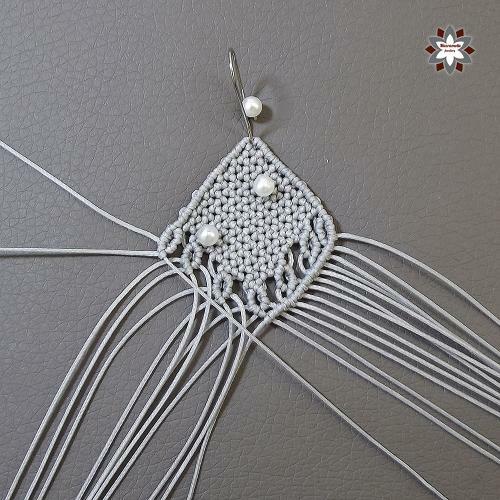 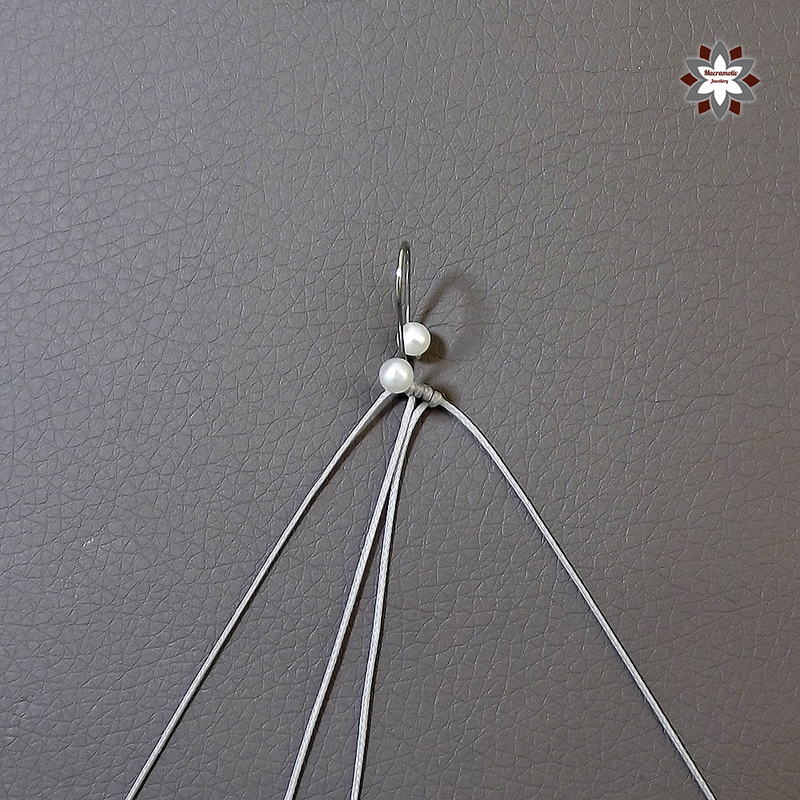 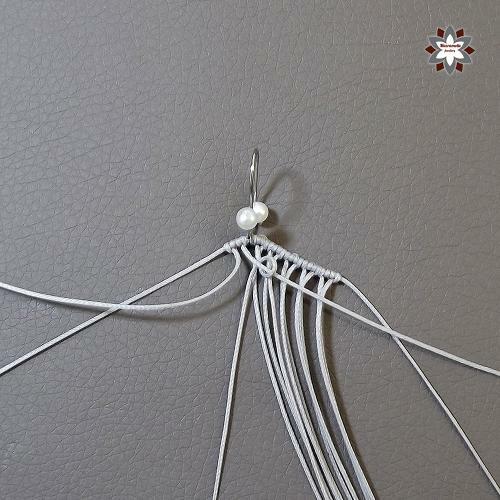 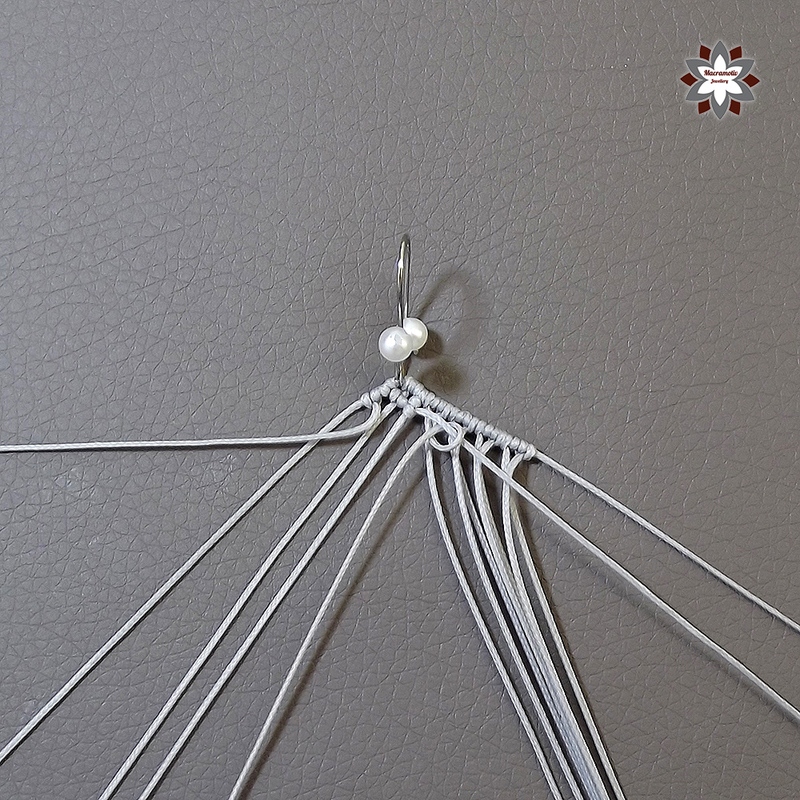 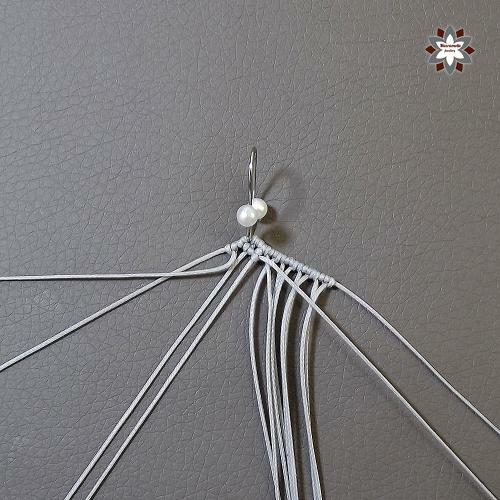 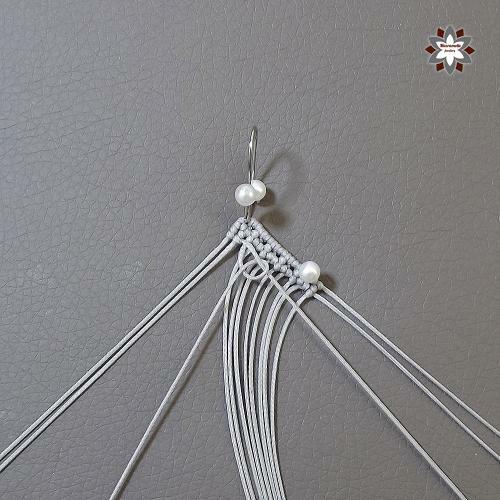 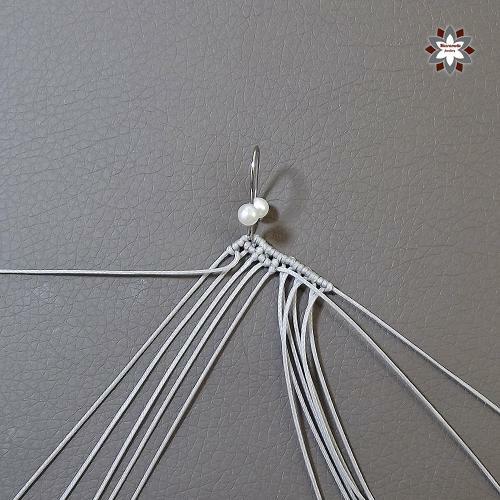 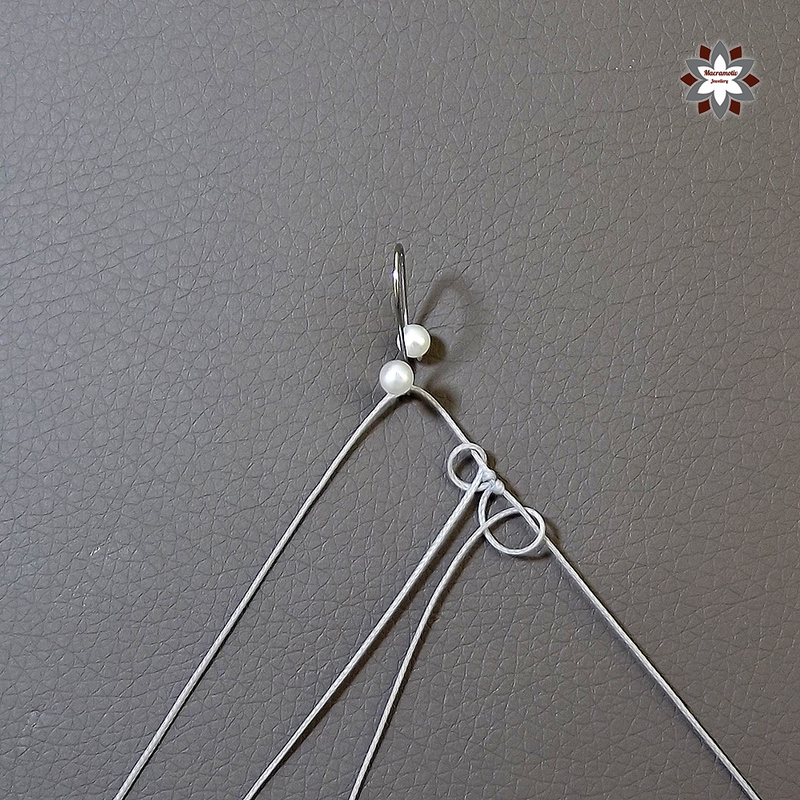 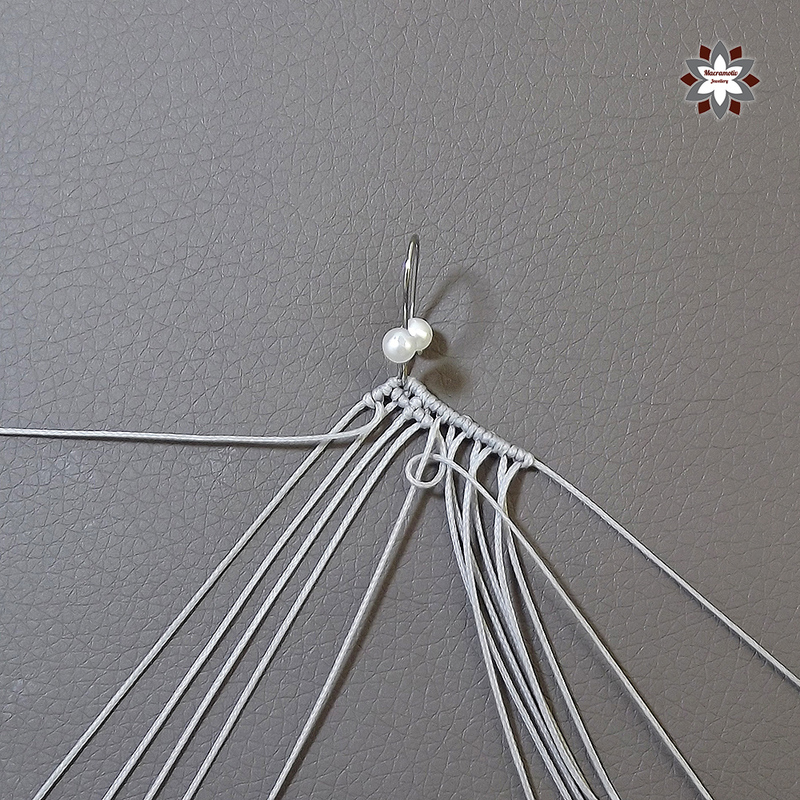 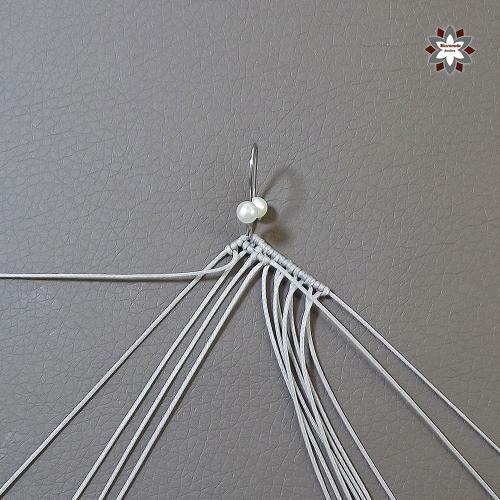 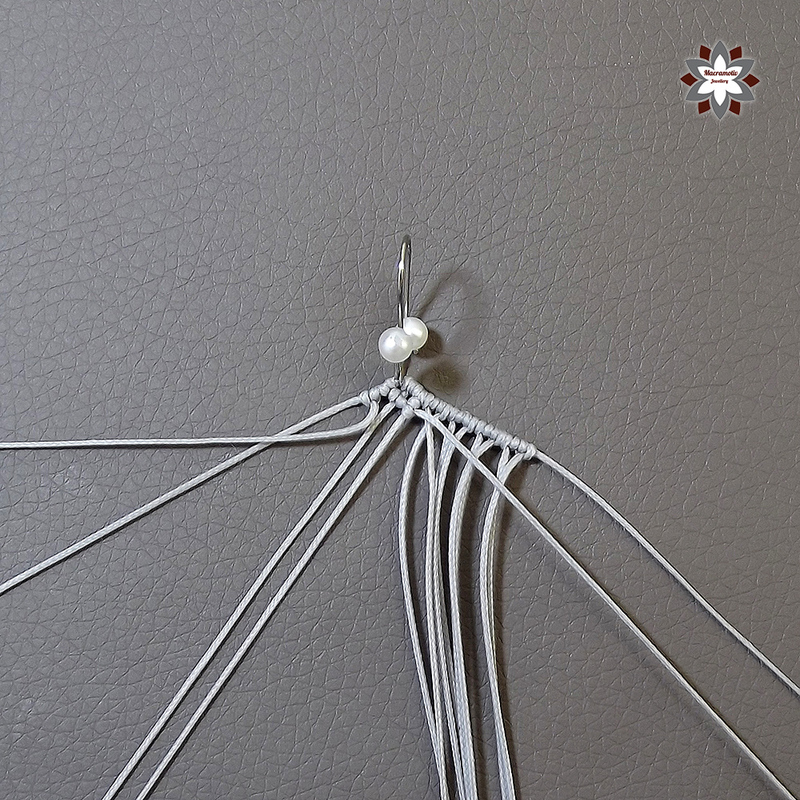 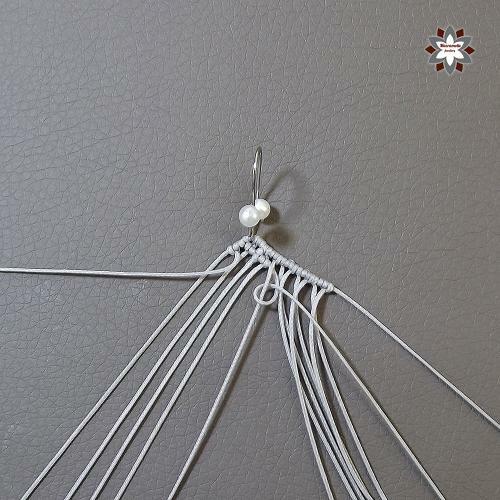 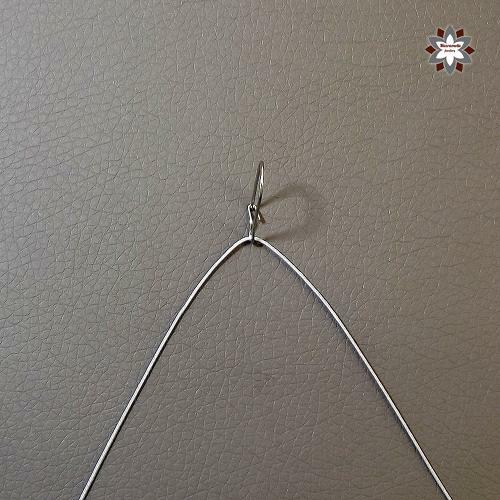 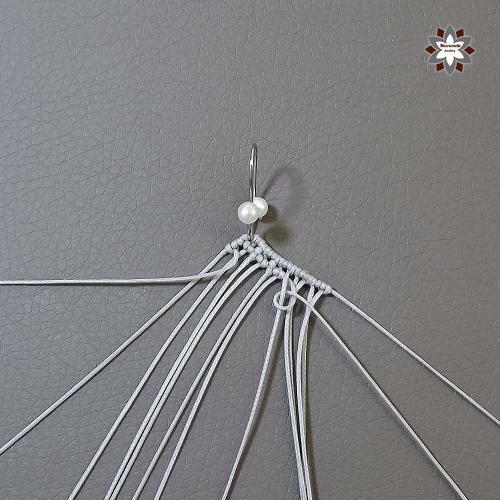 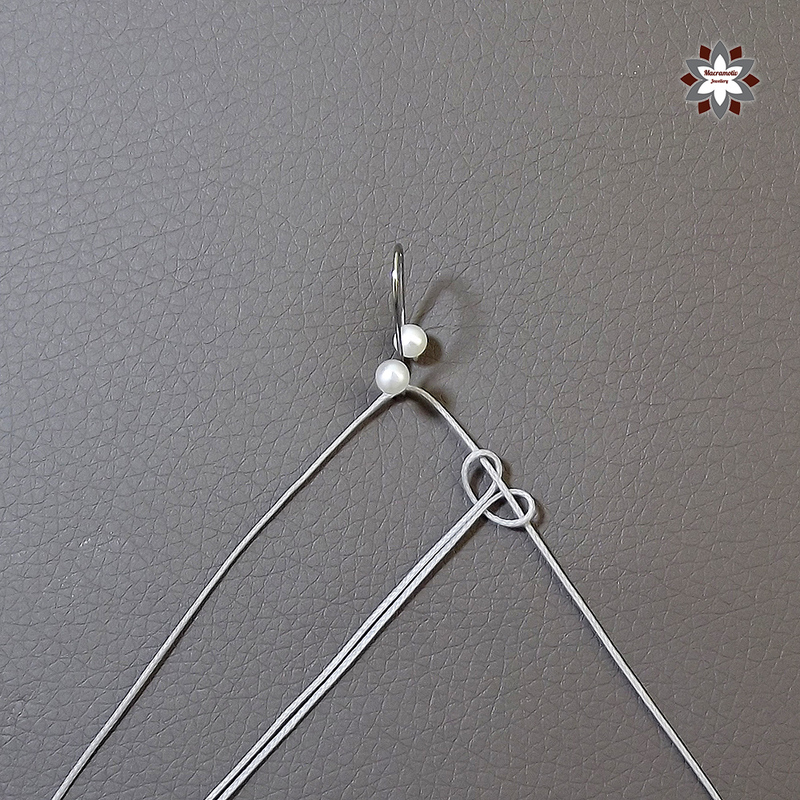 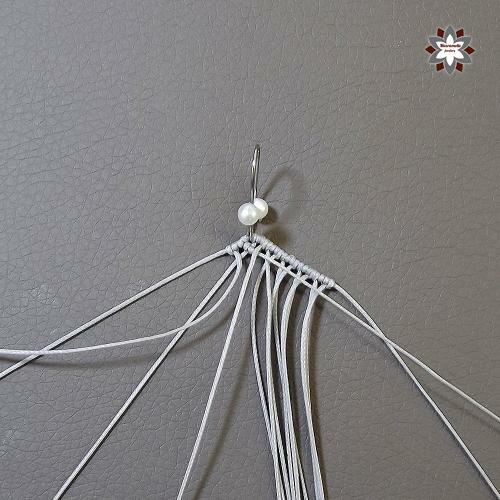 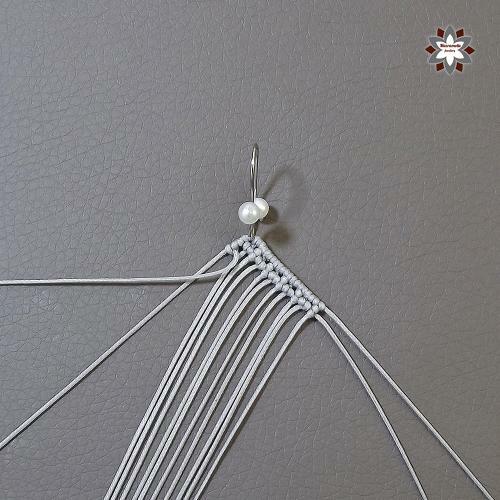 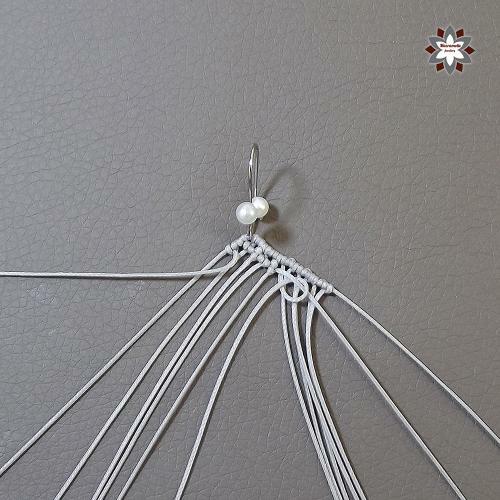 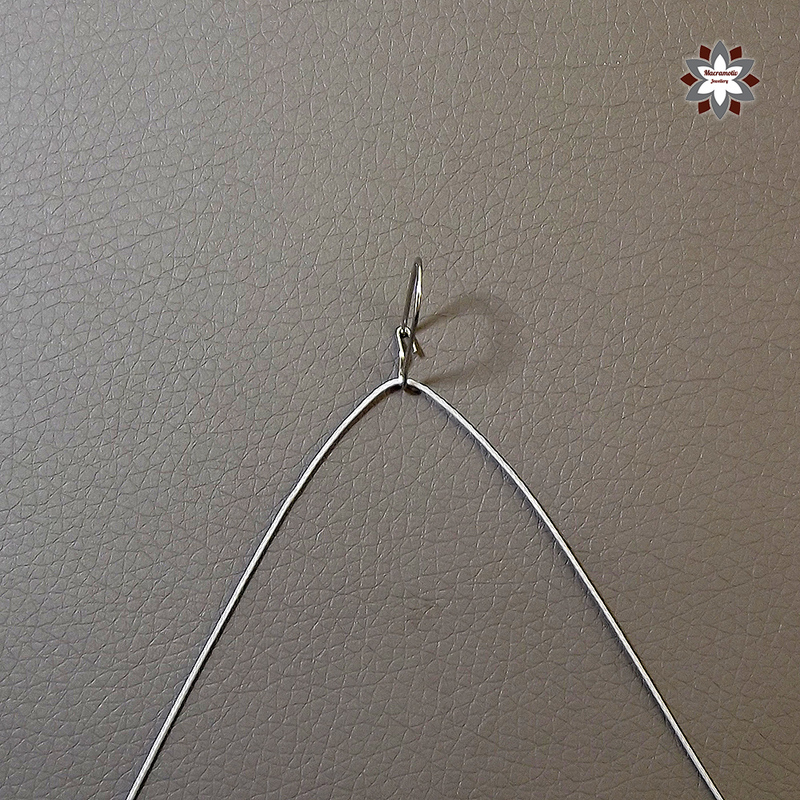 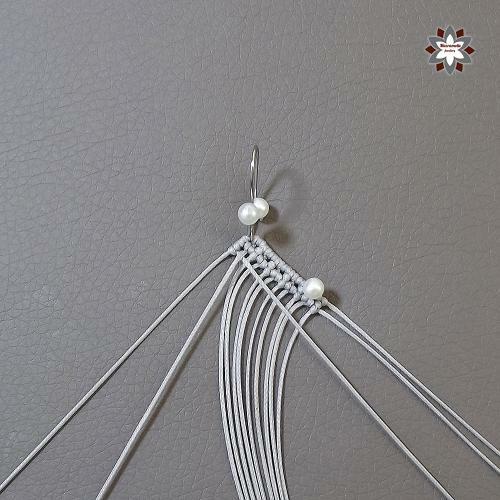 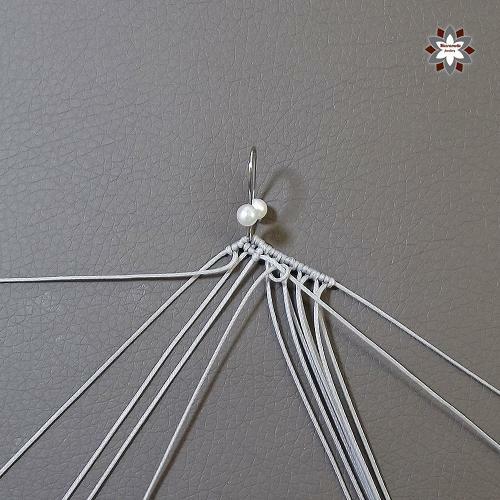 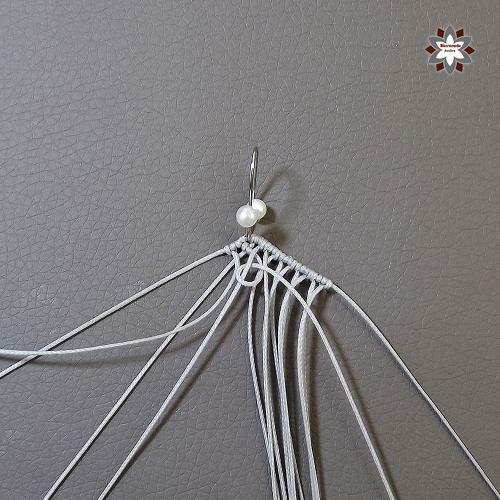 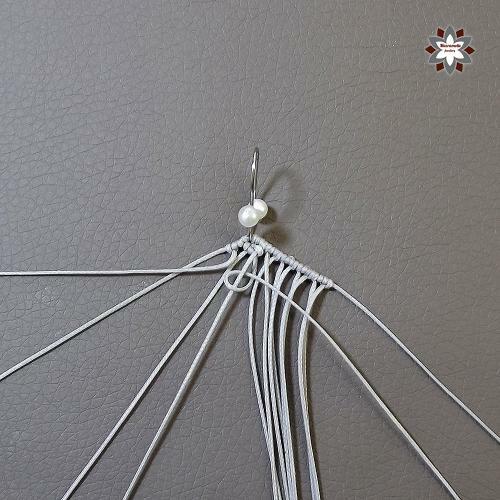 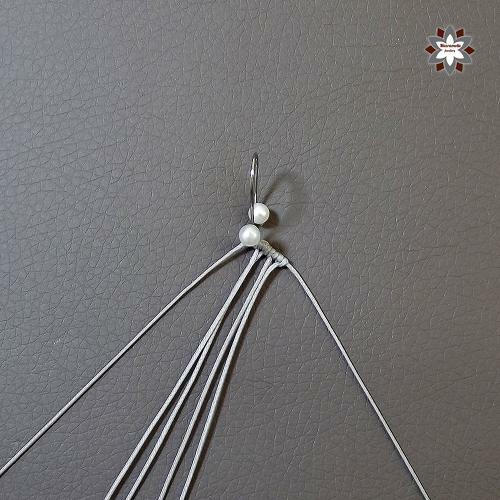 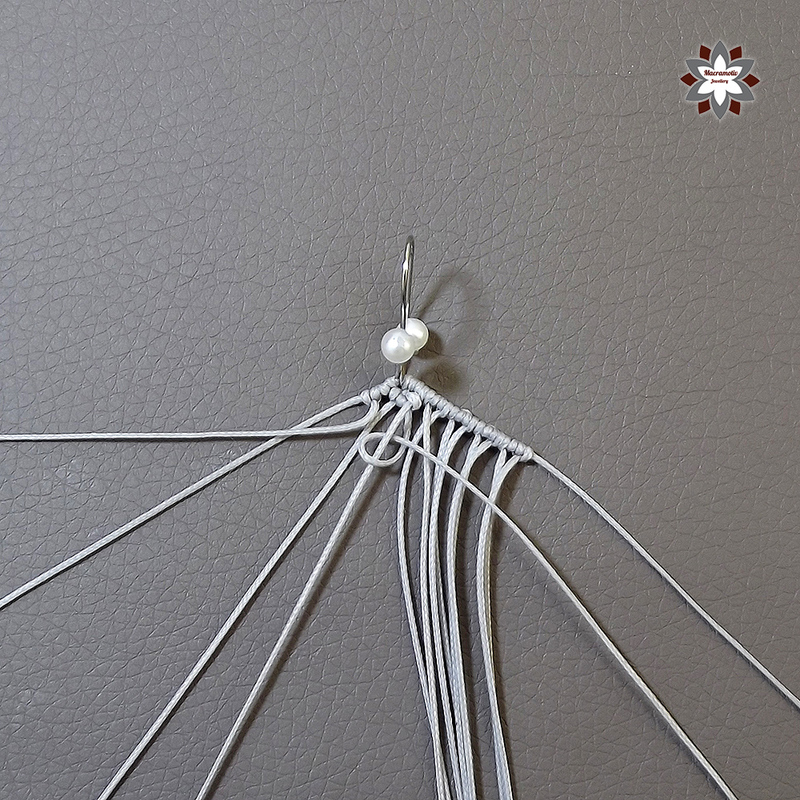 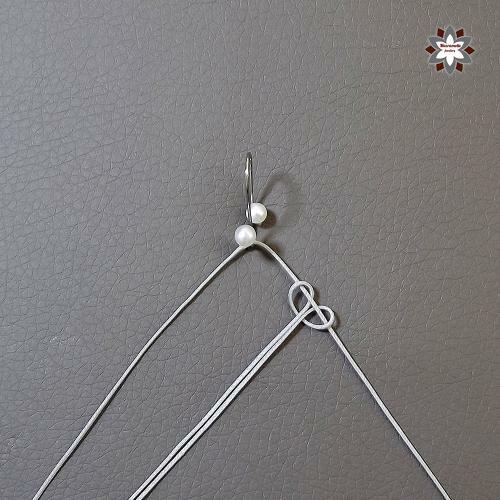 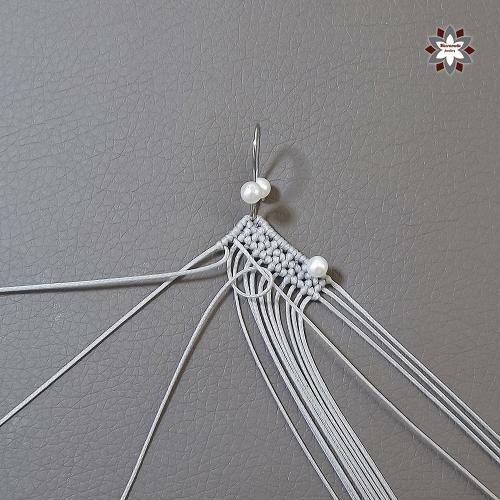 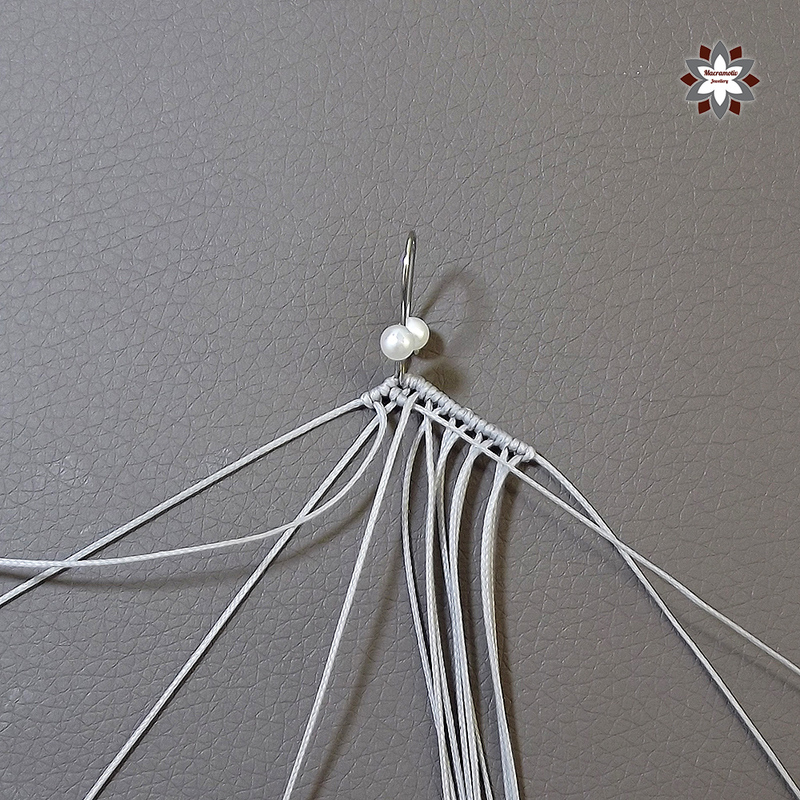 To help the other people, I would like to say (maybe obvious to the others, but somehow I didn’t see it): MAKE SURE THAT YOU MAKE 2 KNOTS ON EACH CORD (which is the total of 20 nots in each line).